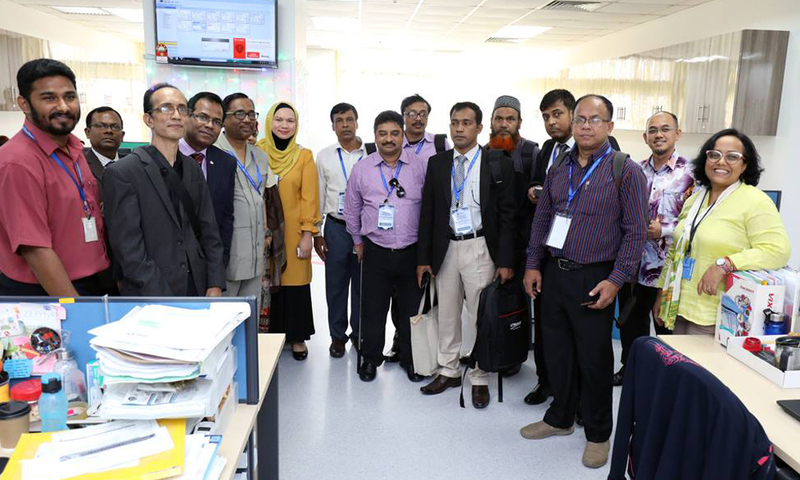 The purpose of this visit was to obtain the information and expertise of the UMMC in the Total Hospital Information System. 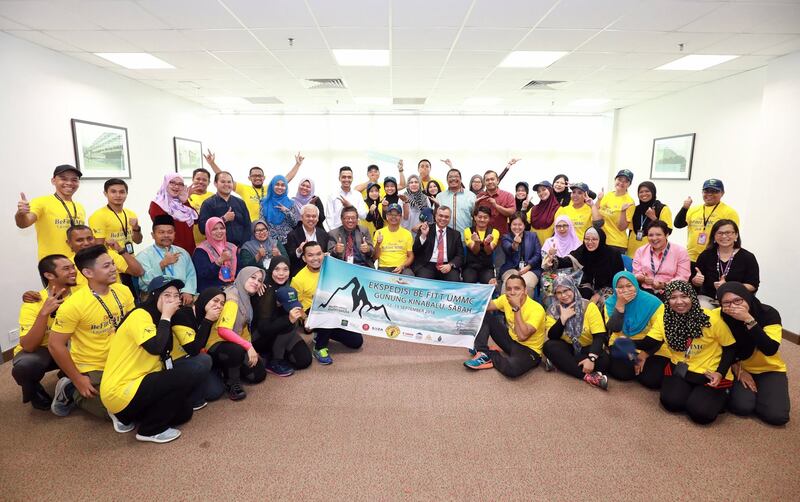 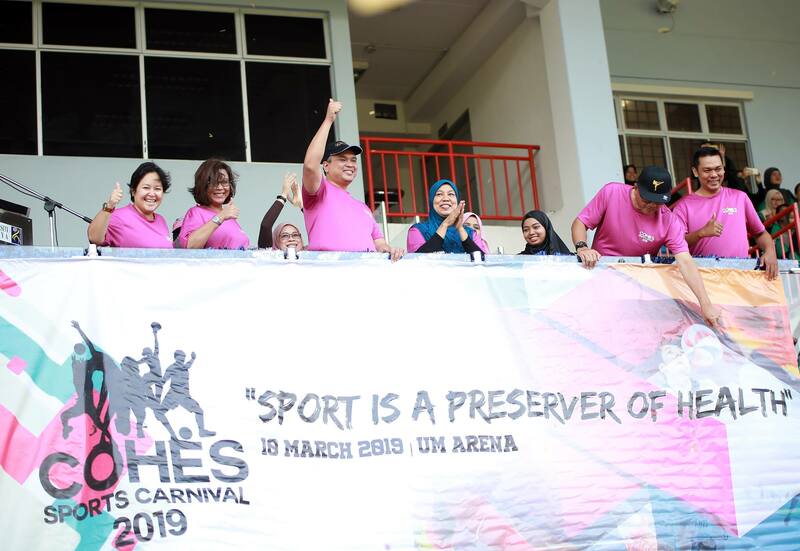 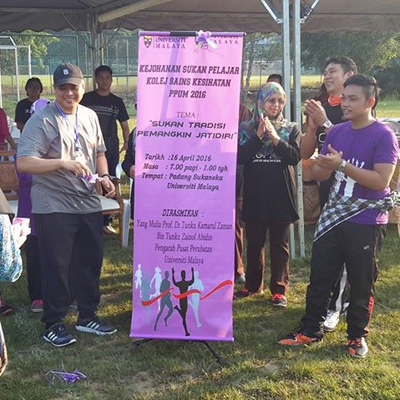 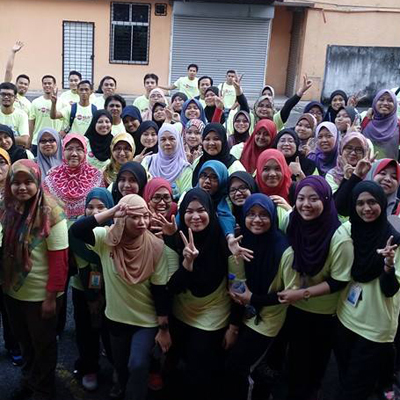 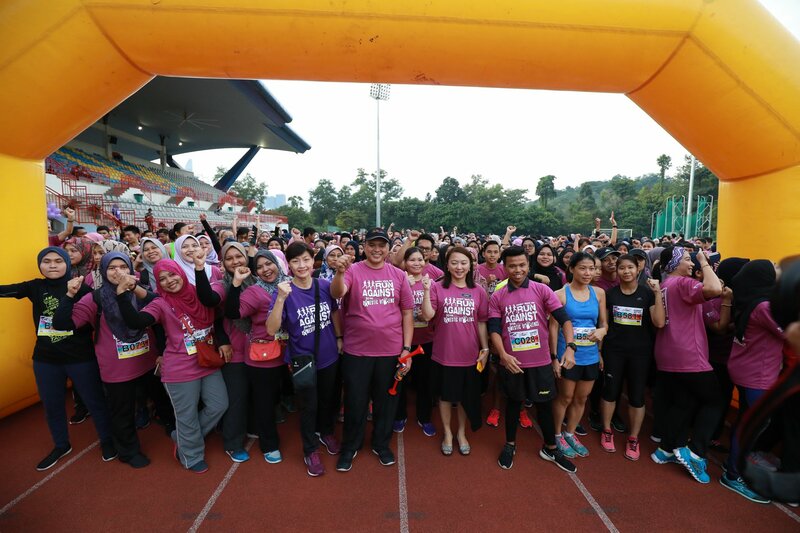 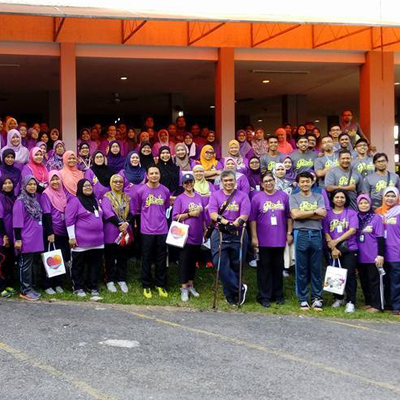 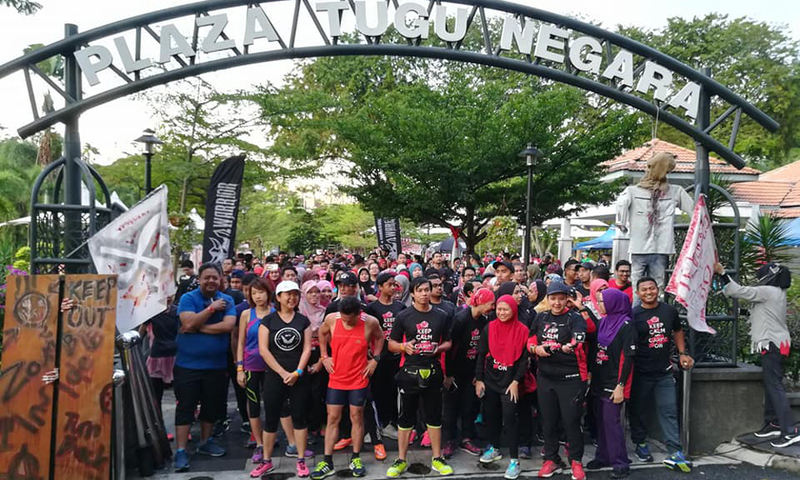 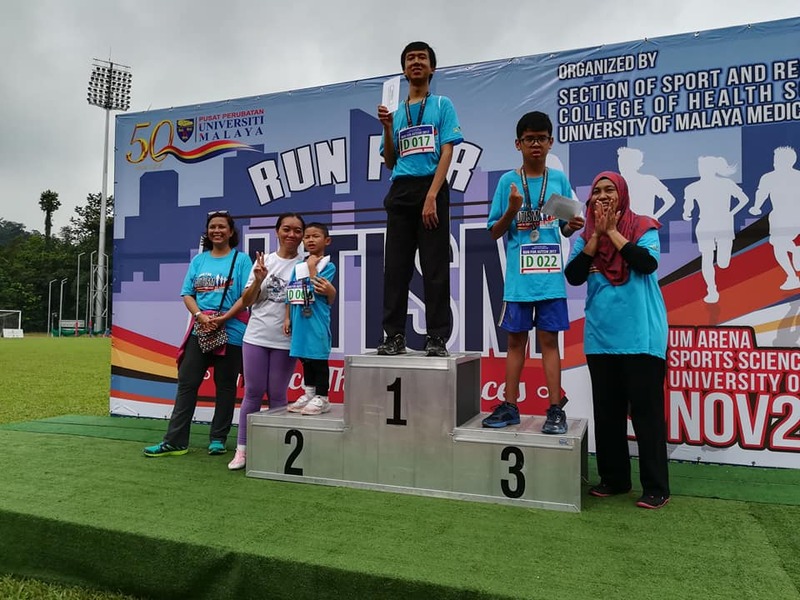 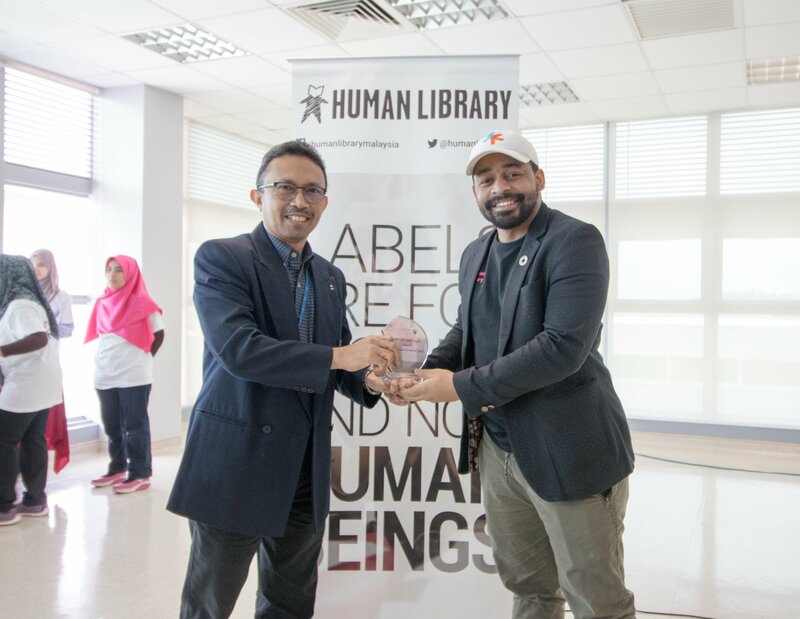 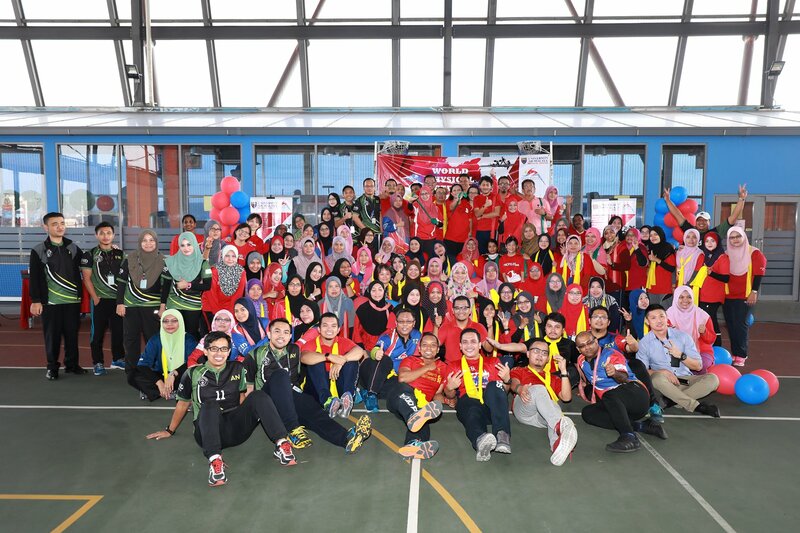 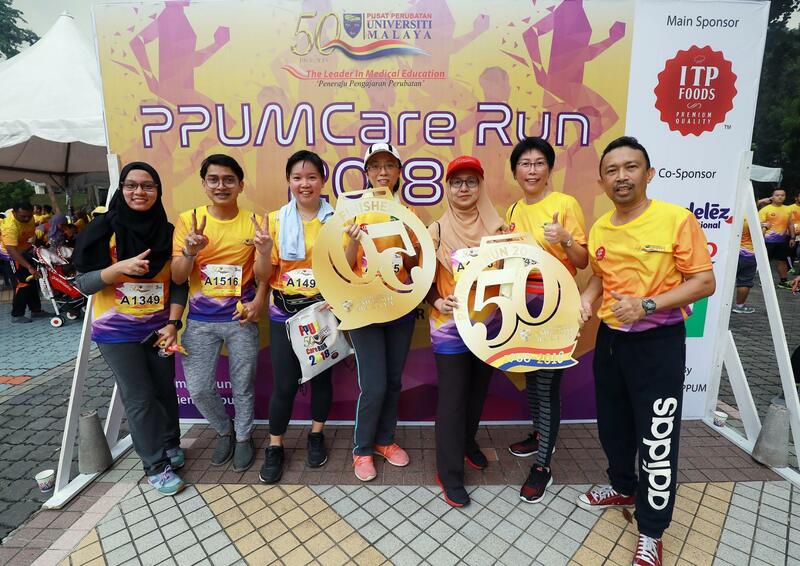 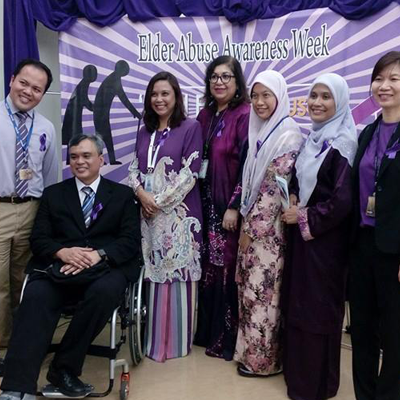 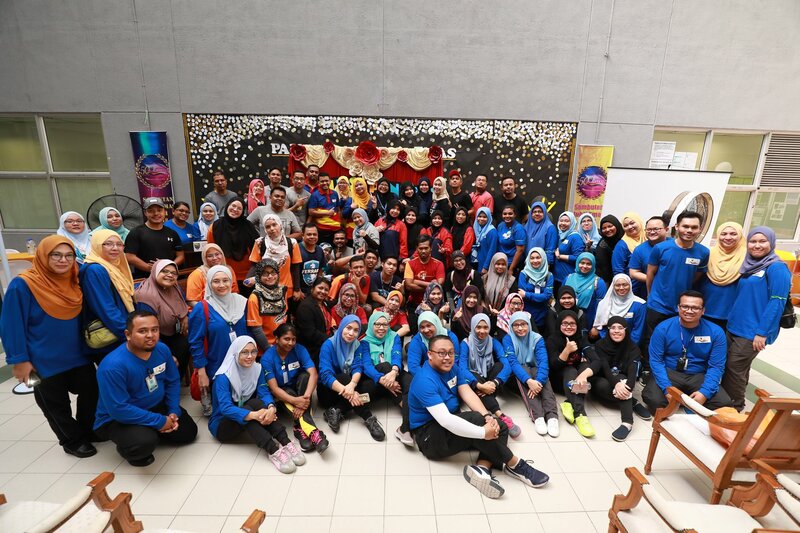 COURSE "THE LEADERSHIP: JOURNEY TO THE TOP: MAKING IT HAPPEN"
LARIAN 5KM "AGAINST DOMESTIC VIOLENCE"
Congratulations to all participants of the Expedition to Mount Kinabalu Sabah who have successfully reached the summit of the mountain safely and make University Malaya Medical Center proud! 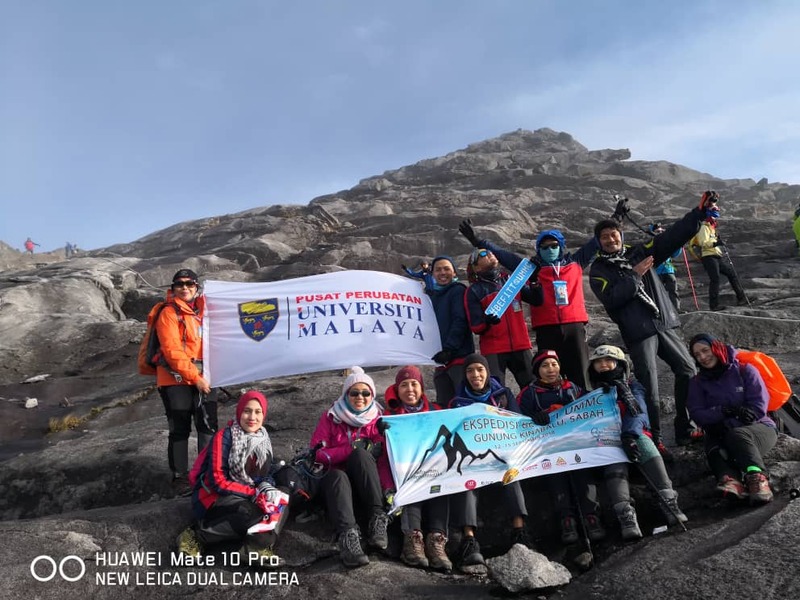 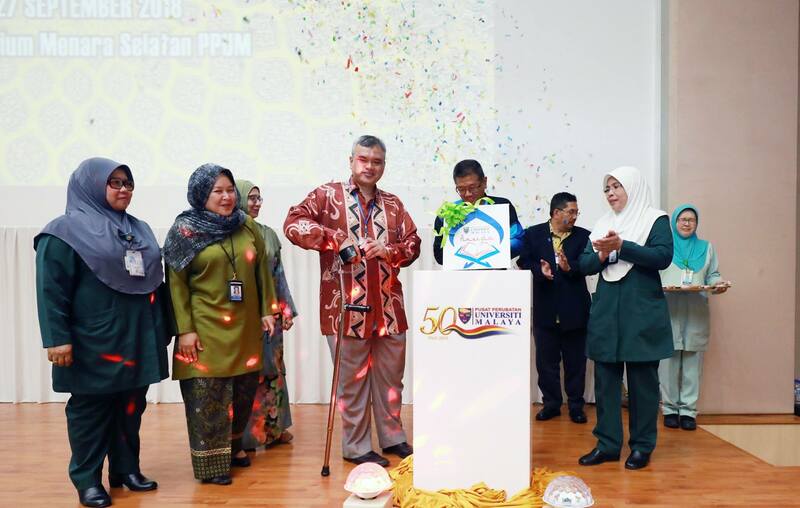 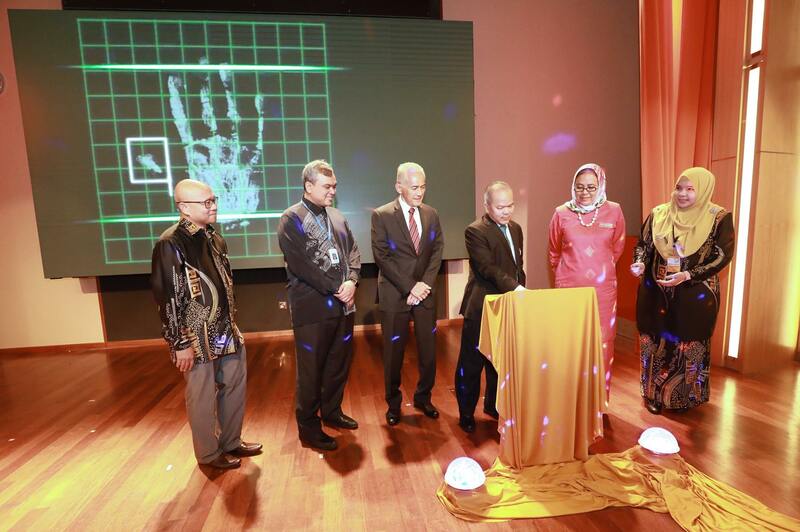 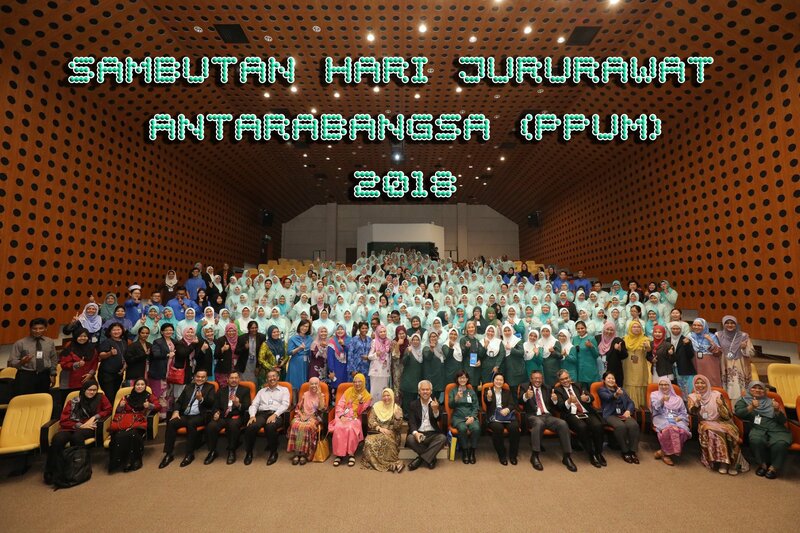 On 7 September 2018, an Expedition Release Ceremony to Mount Kinabalu Sabah In conjunction with the Golden Jubilee of the PPUM. 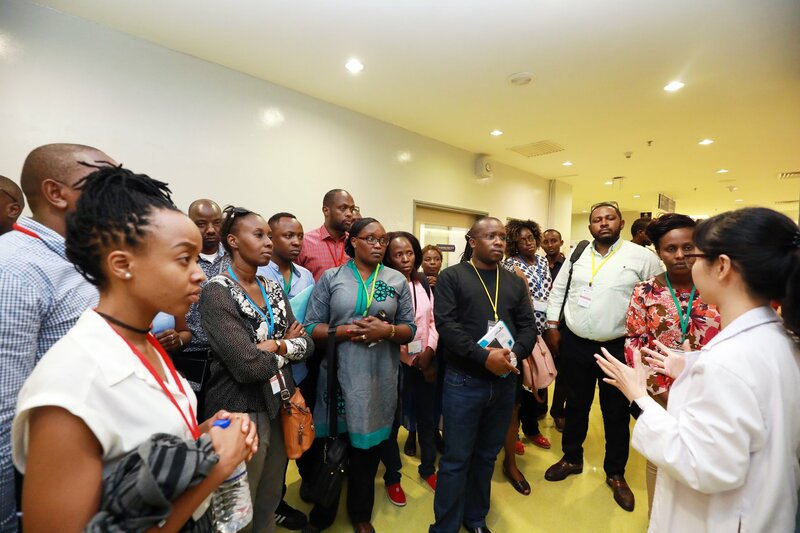 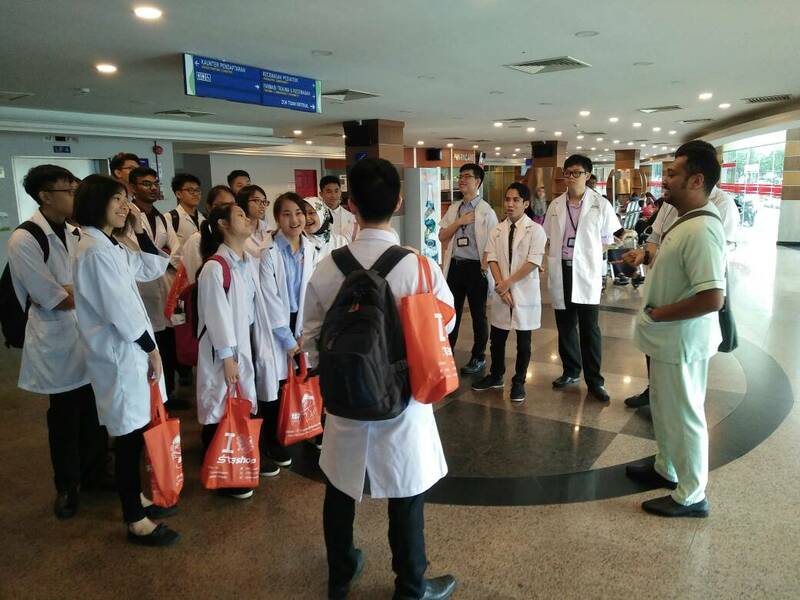 On August 30, 2018, a Visit from Taiwan Chang Bing Show Chwan Memorial Hospital consisting of 23 People visited UMMC. 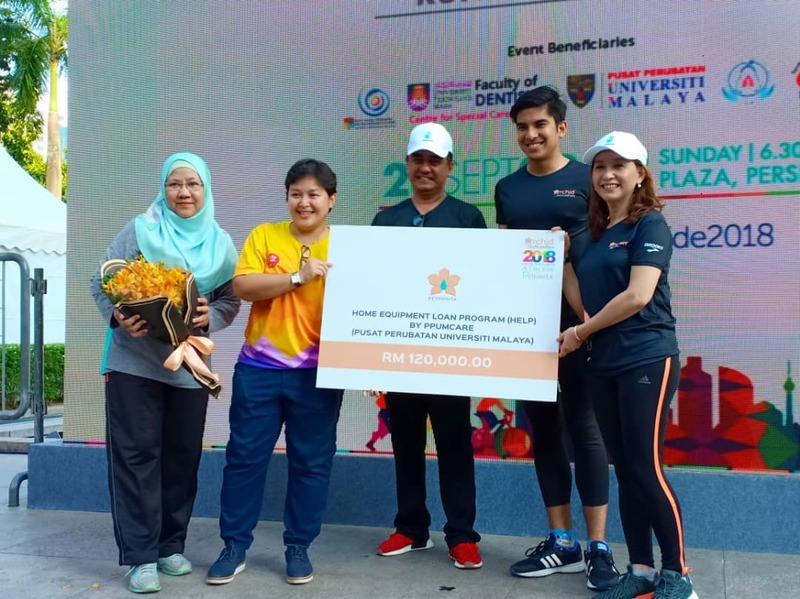 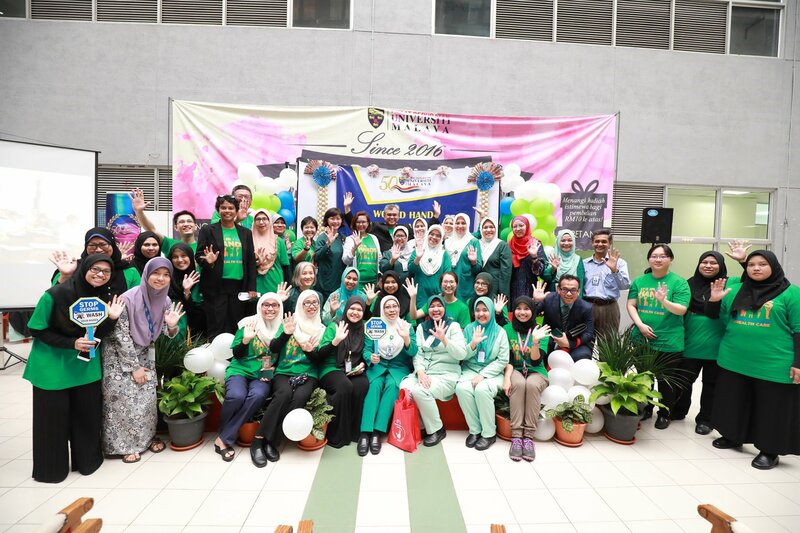 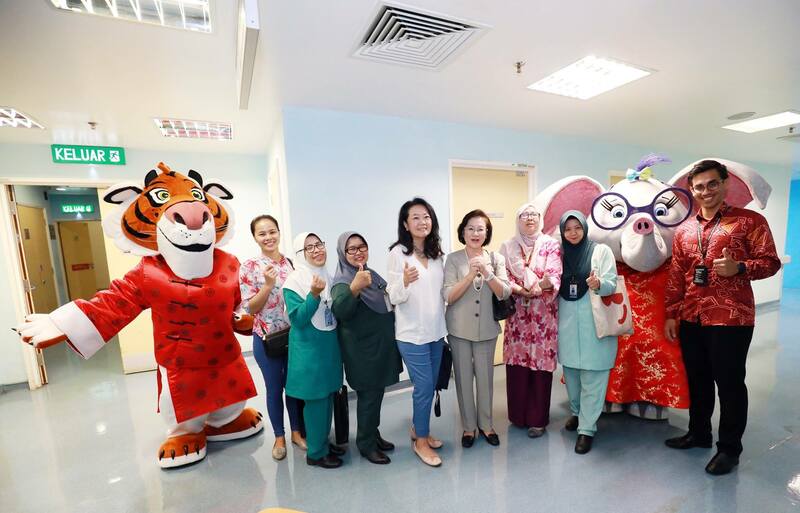 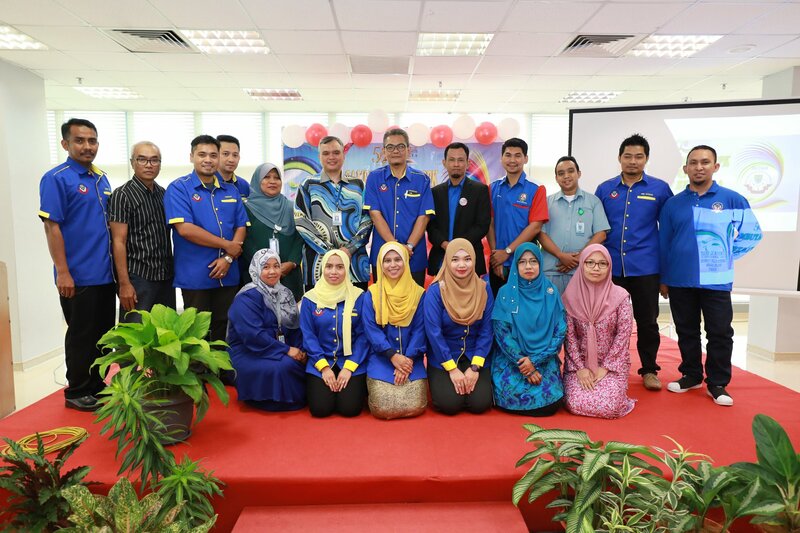 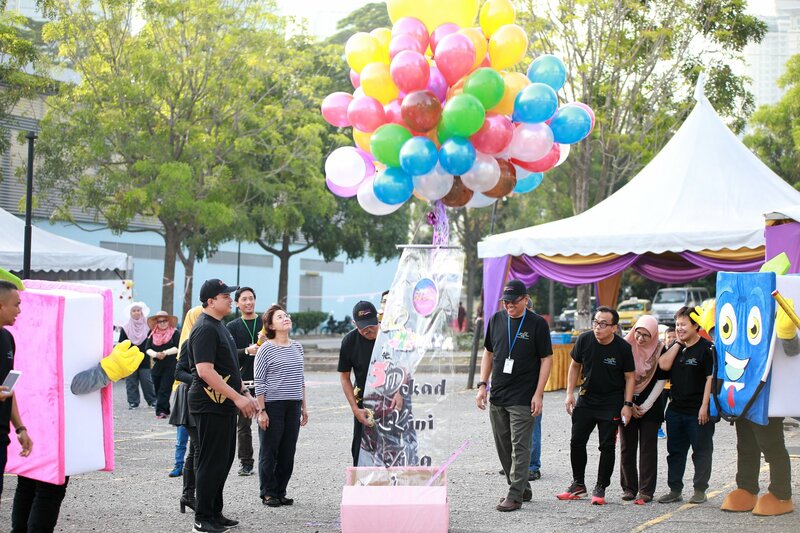 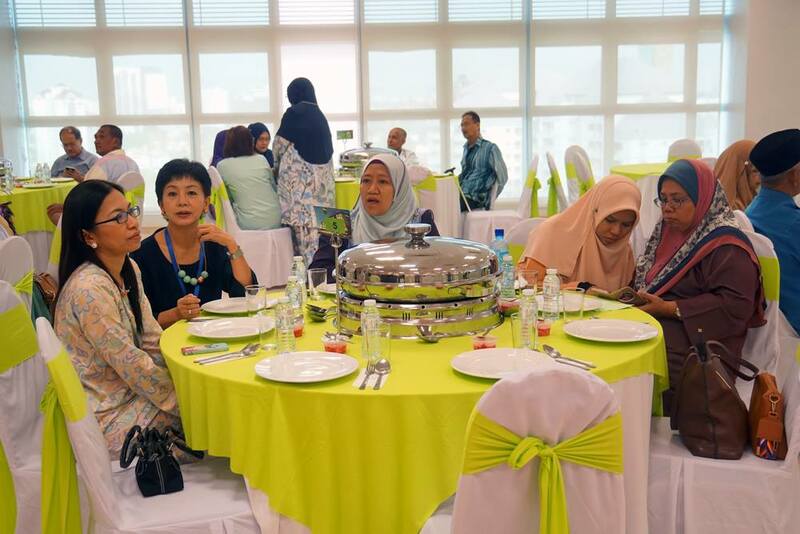 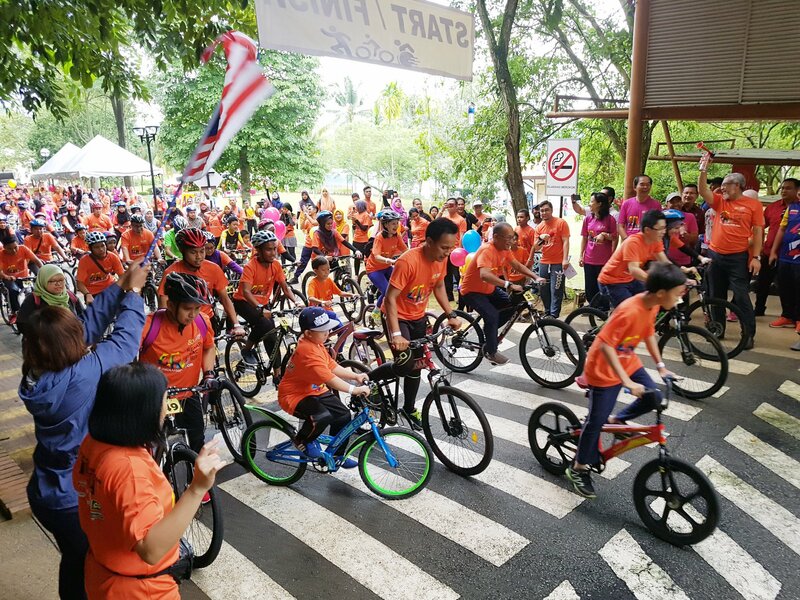 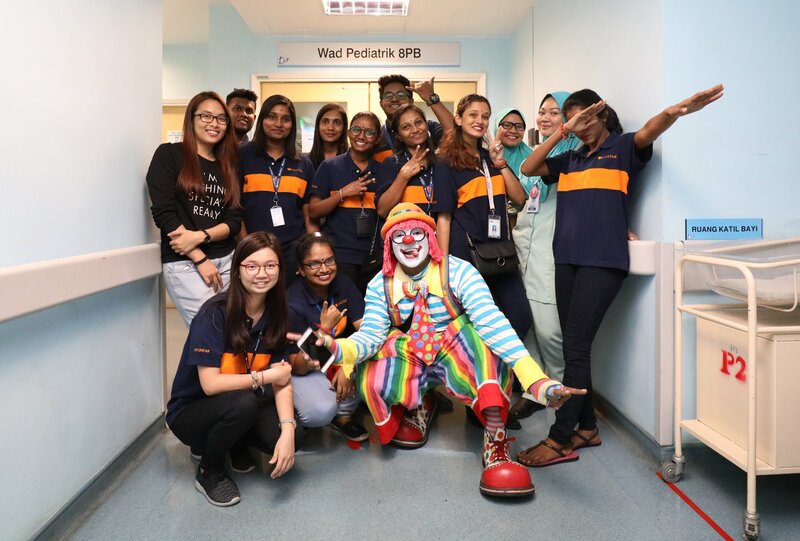 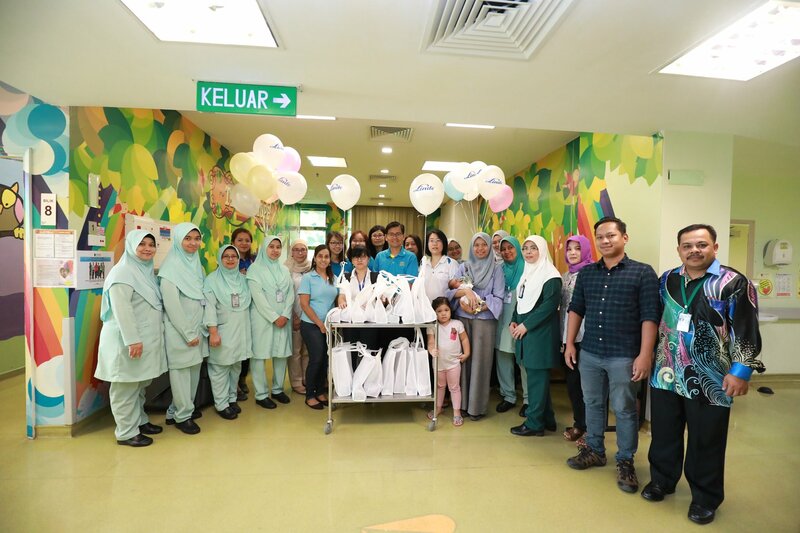 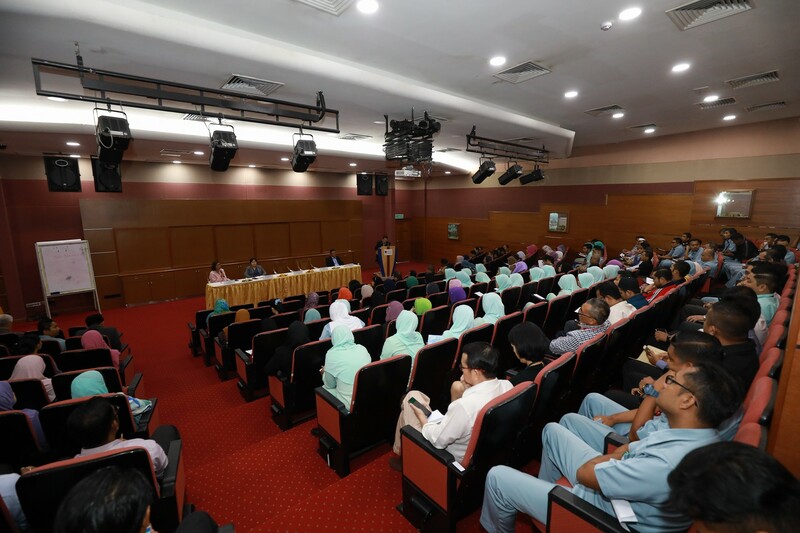 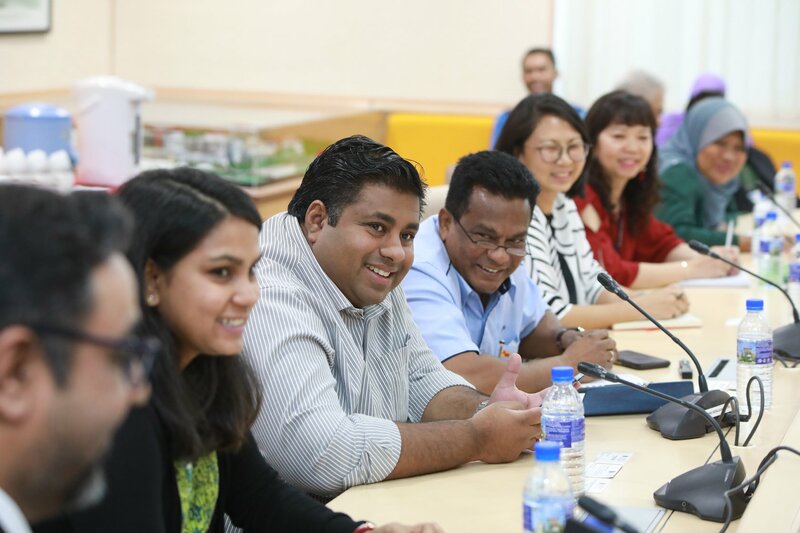 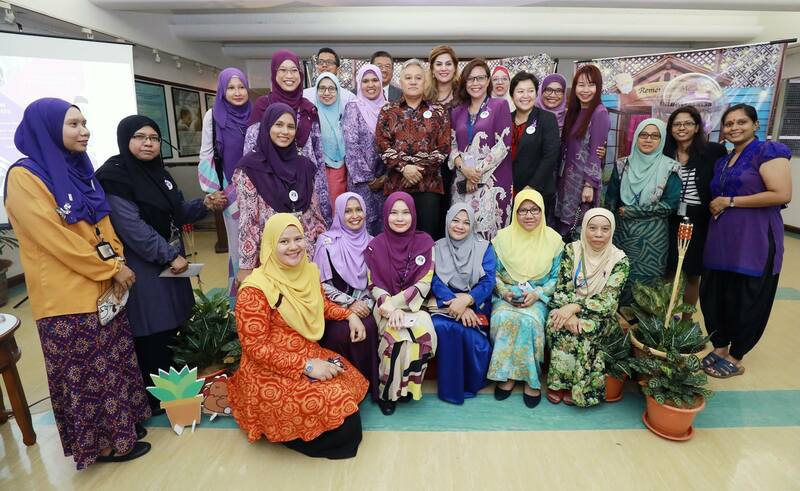 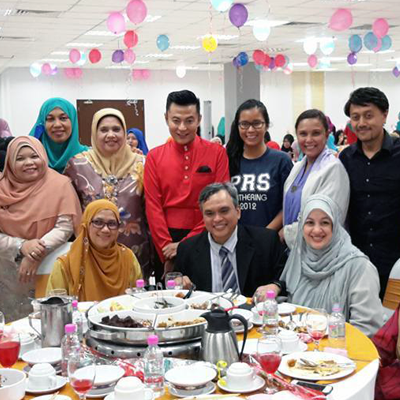 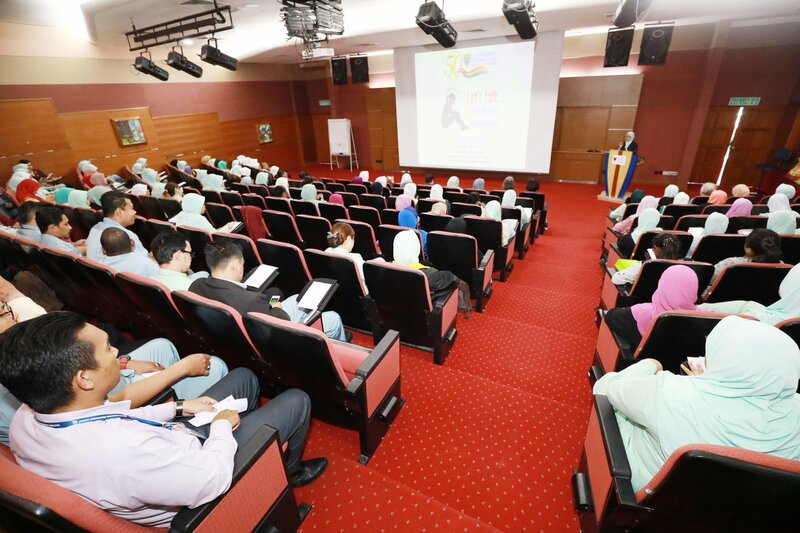 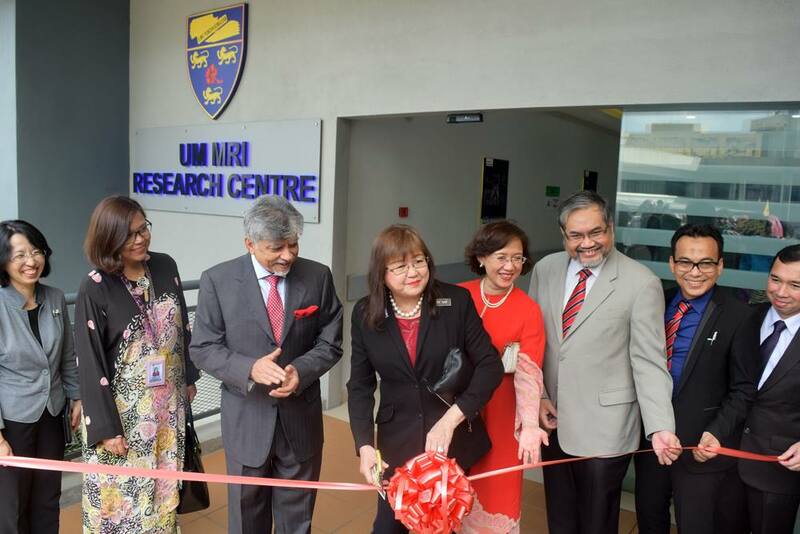 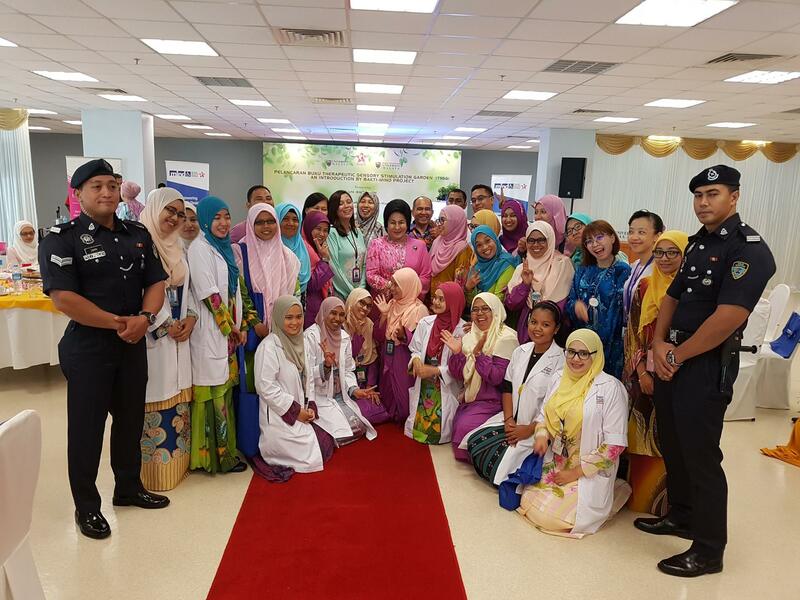 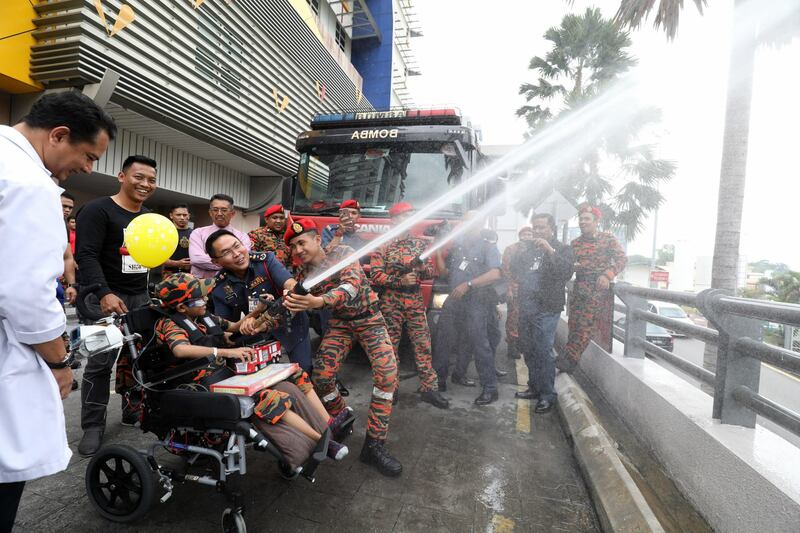 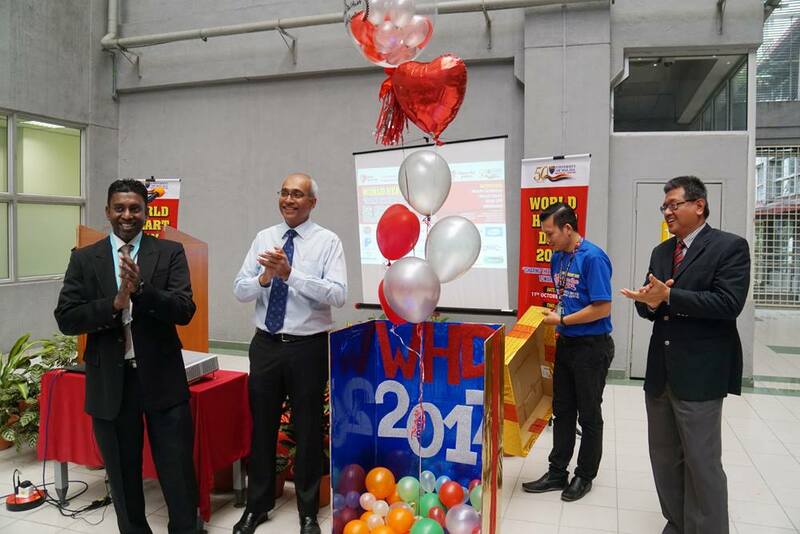 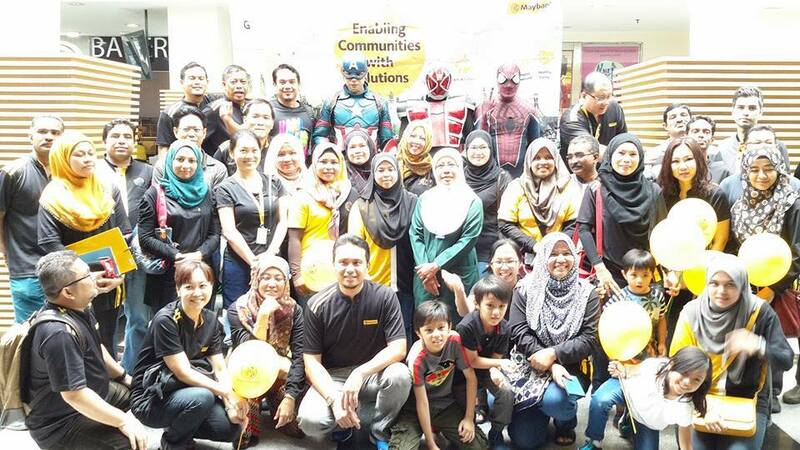 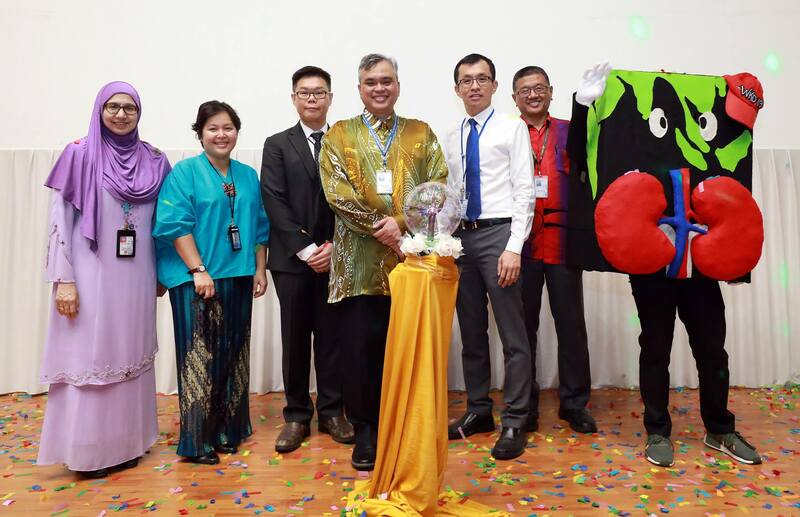 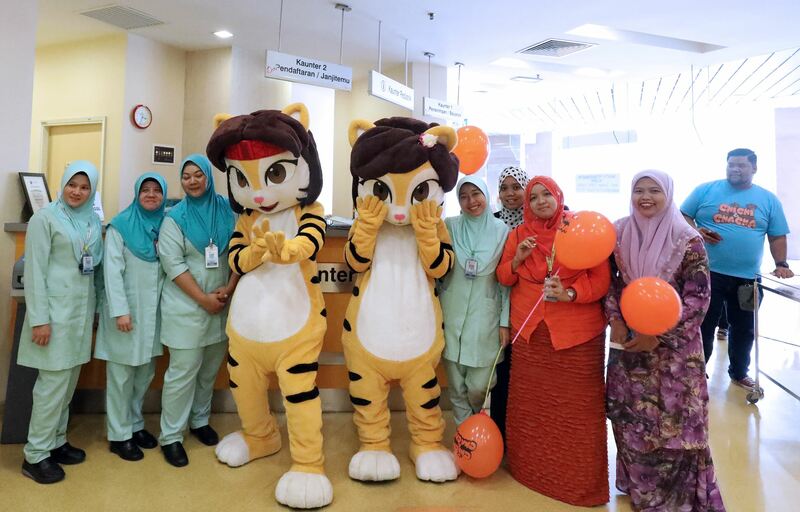 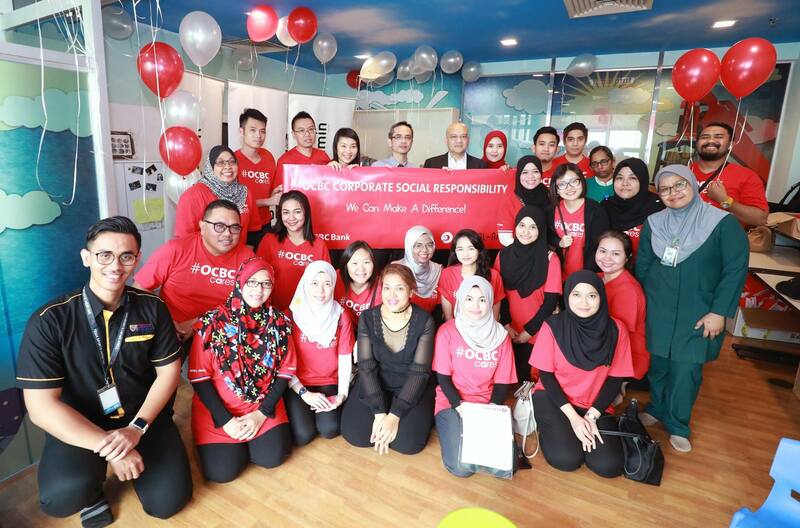 PUBLIC FORUM "LETS TALK, IT MAKES A DIFFERENCE"
On July 14, 2018, we celebrated UMMC Family Day and Hari Raya Celebration are held at the parking lot of Universiti Malaya Examination Hall. 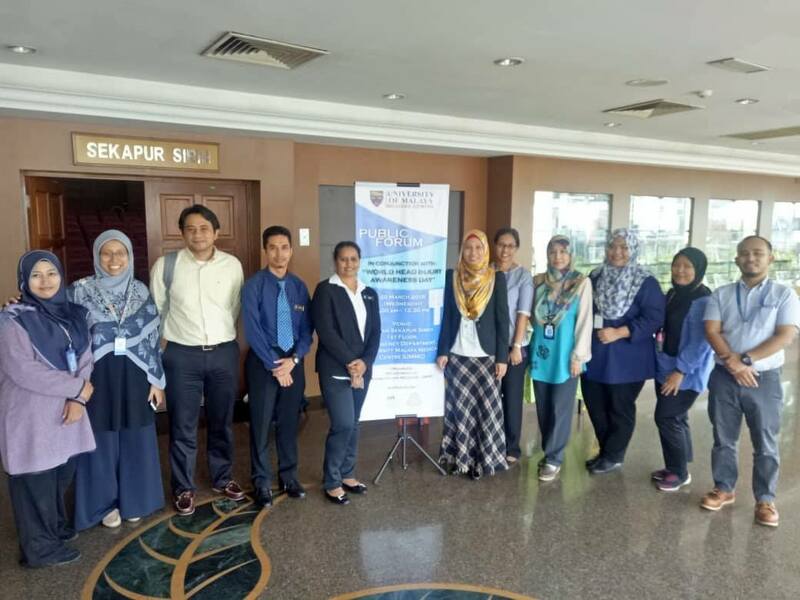 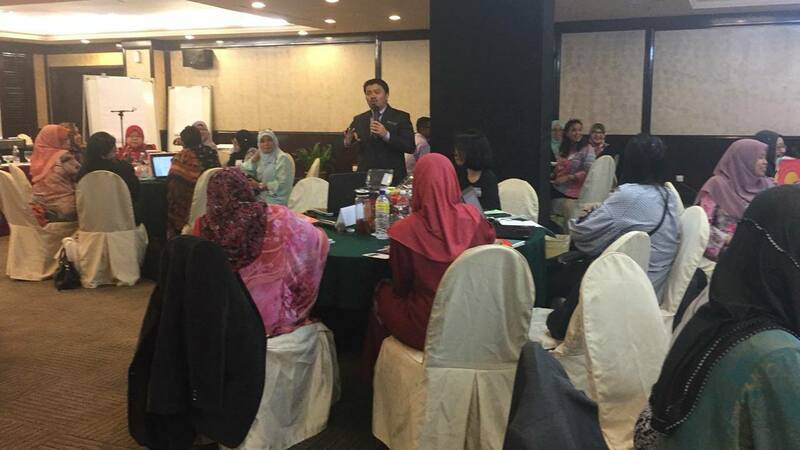 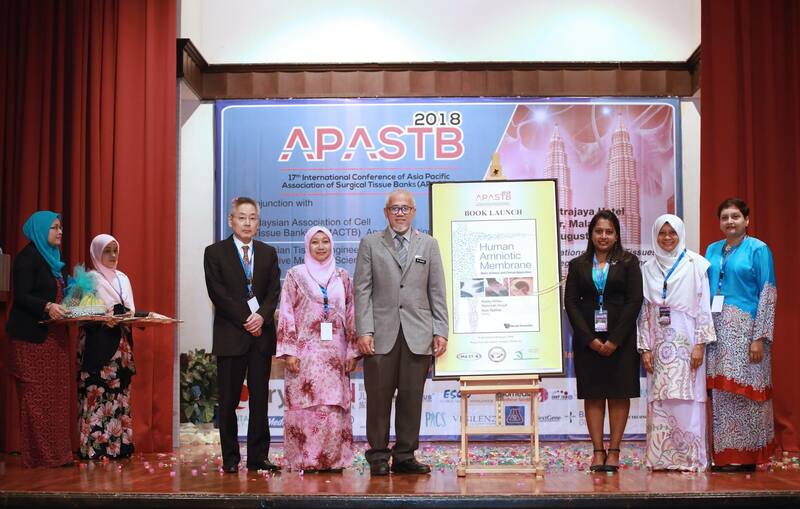 On July 12, 2018, Medical Physics Unit organized 9th edition of Radiation Protection Seminar 2018, "Challenges In Involving Radiation Application" at Hotel Eastin, Kuala Lumpur. 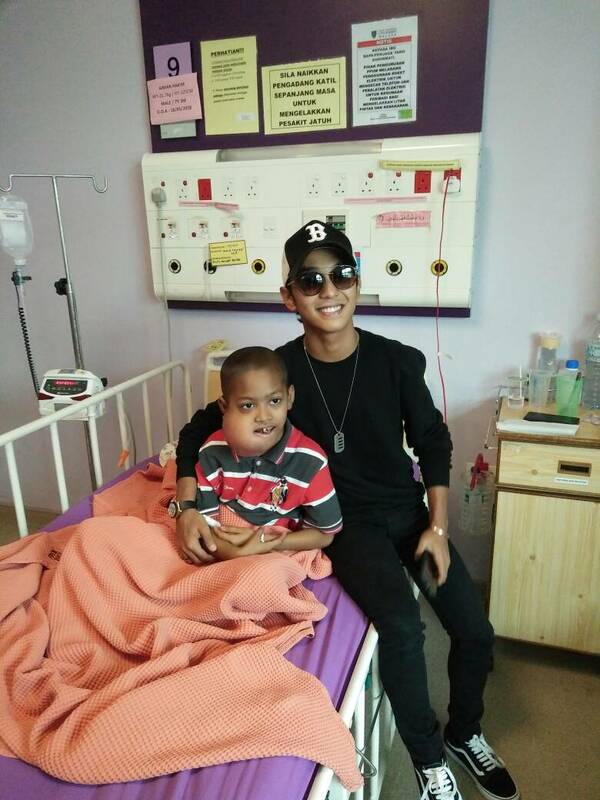 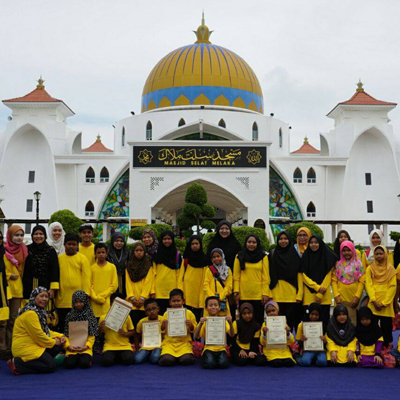 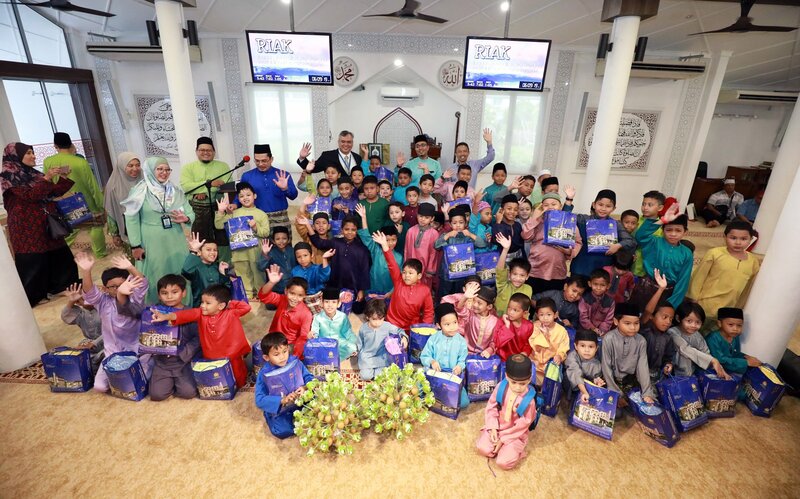 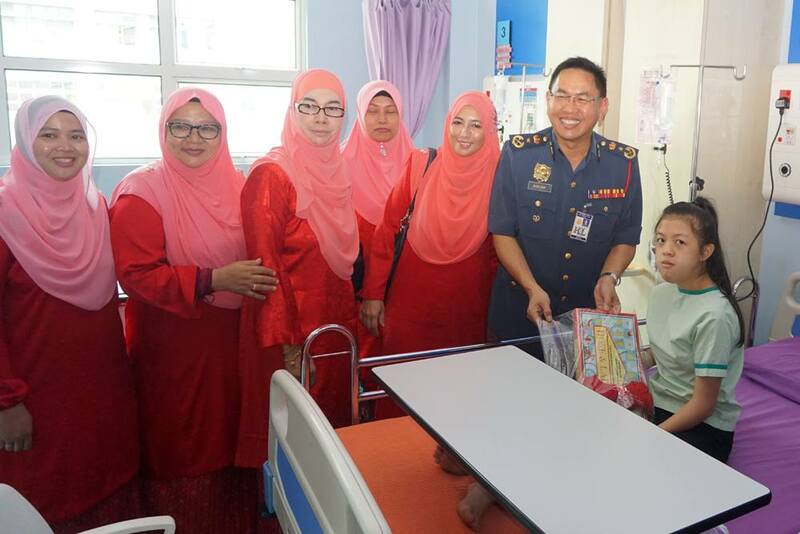 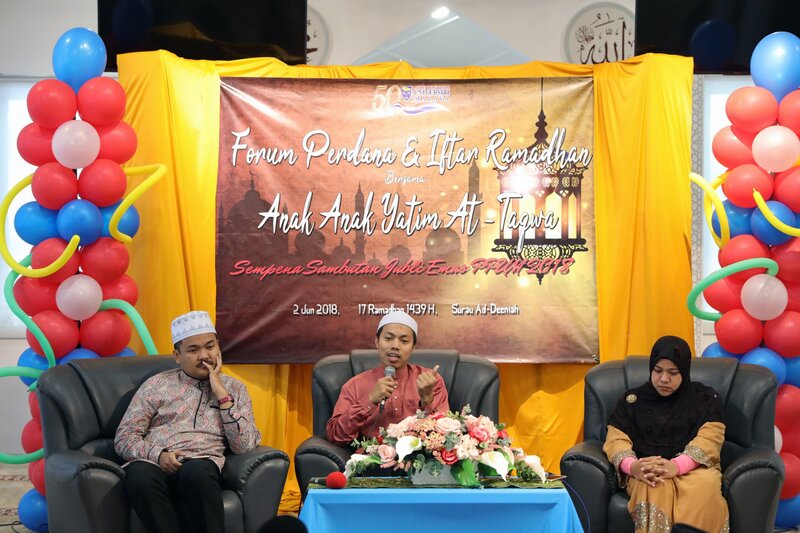 Sempena Sambutan Jubli Emas PPUM 2018, PPUM telah mengadakan majlis Forum dan Iftar bersama anak-anak yatim dari Rumah Anak-Anak Yatim At-Taqwa, Puchong pada 2 Jun 2018 di Surau Ad Deeniah, PPUM. 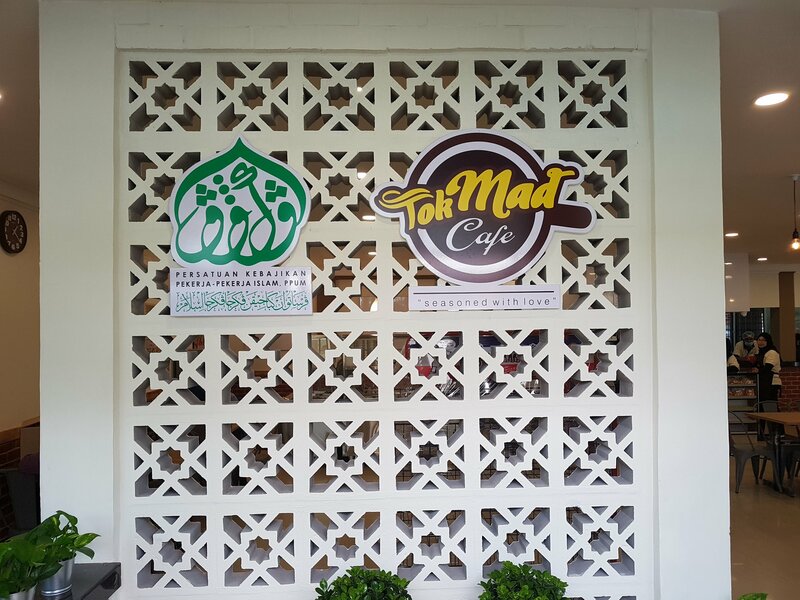 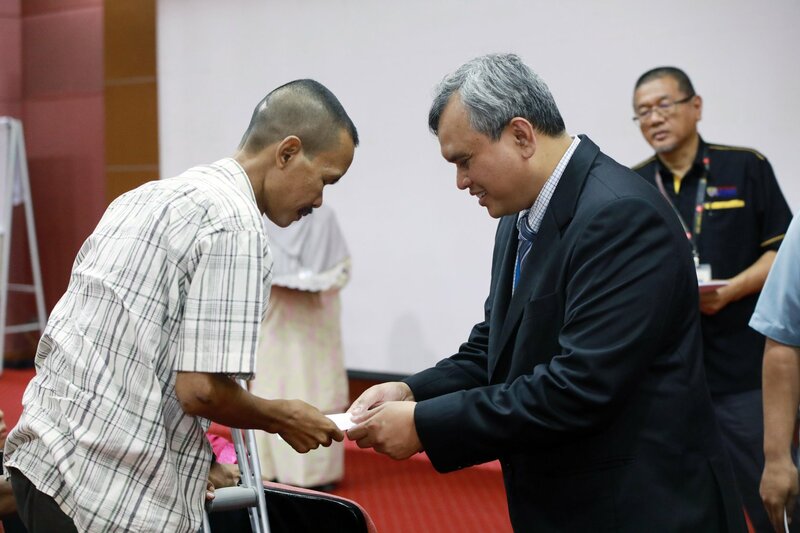 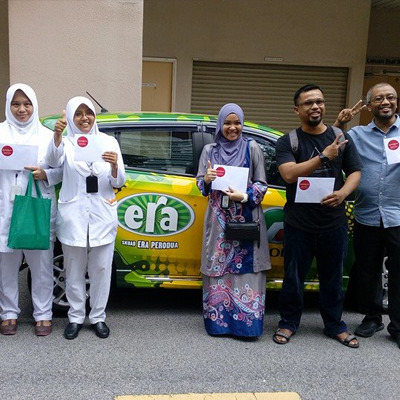 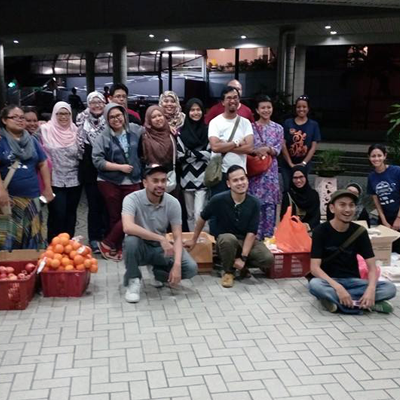 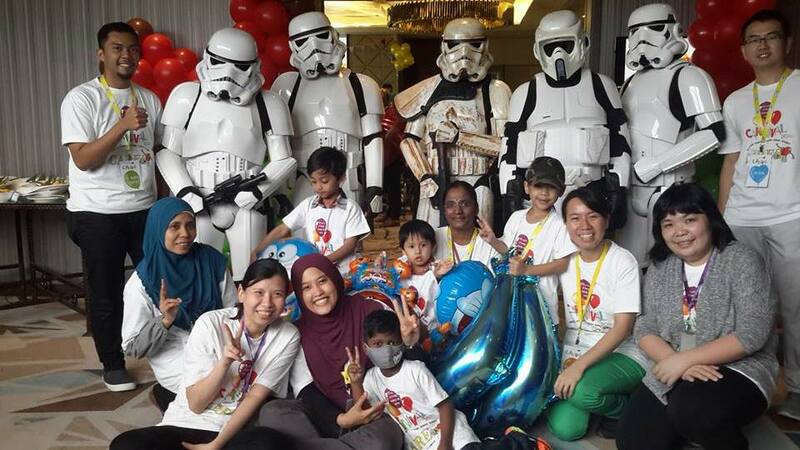 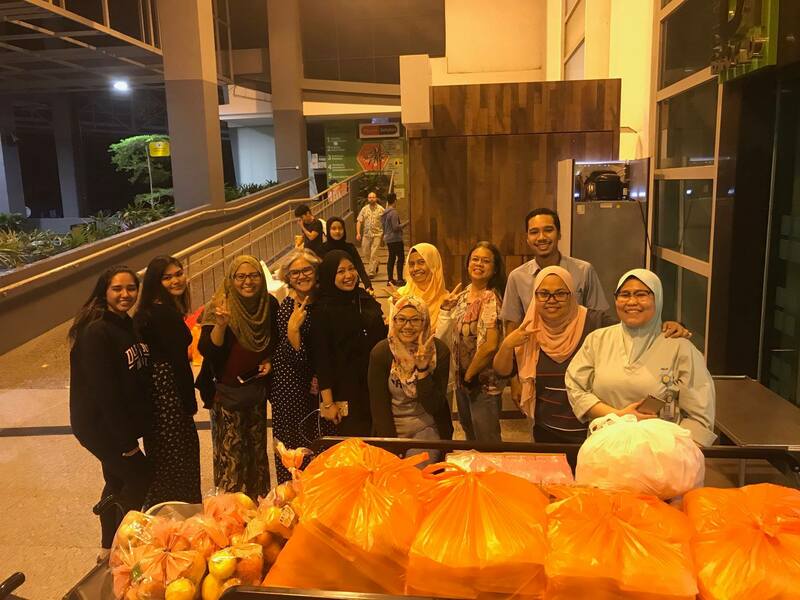 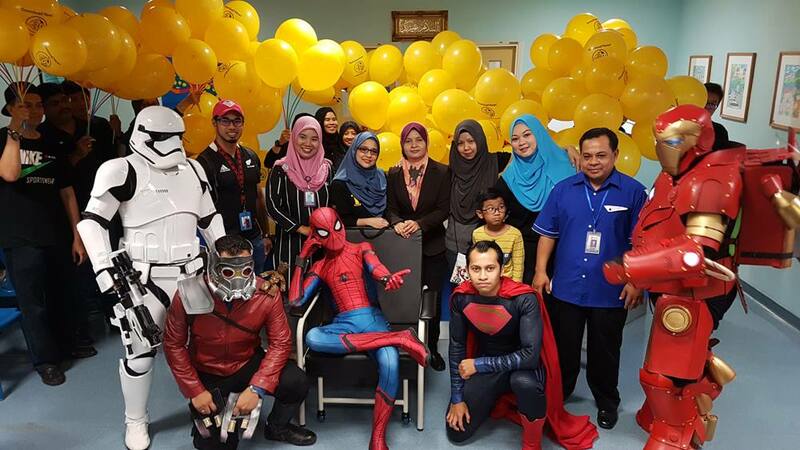 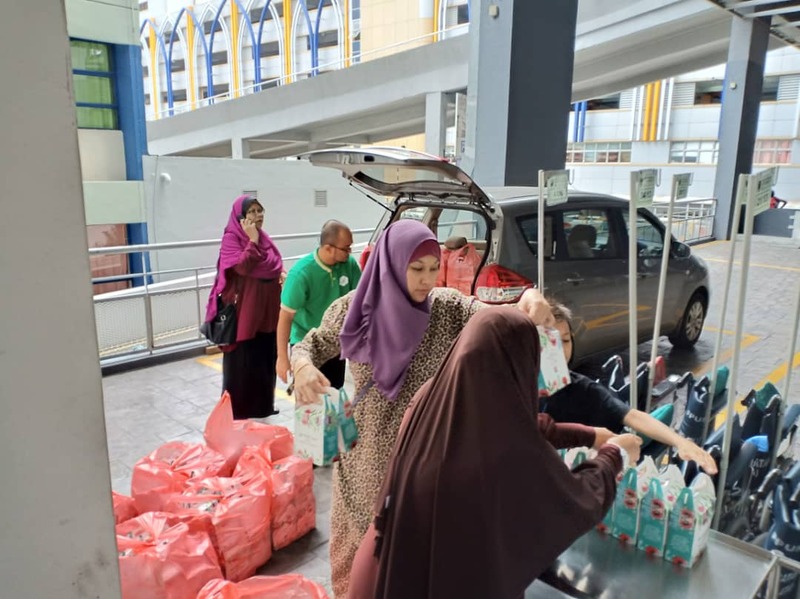 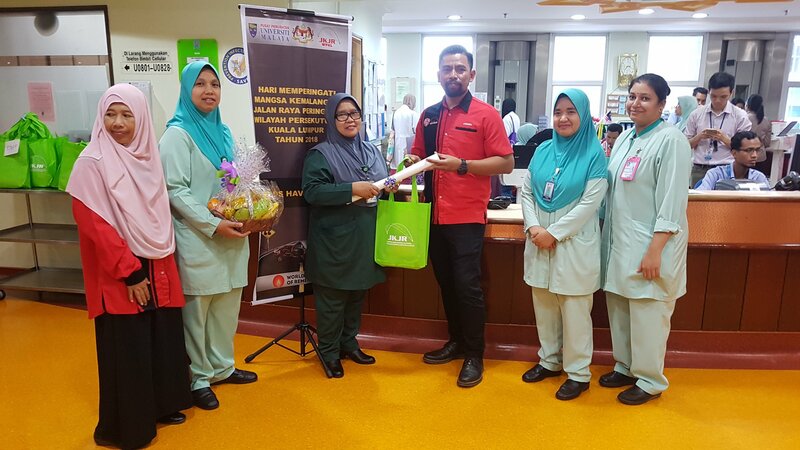 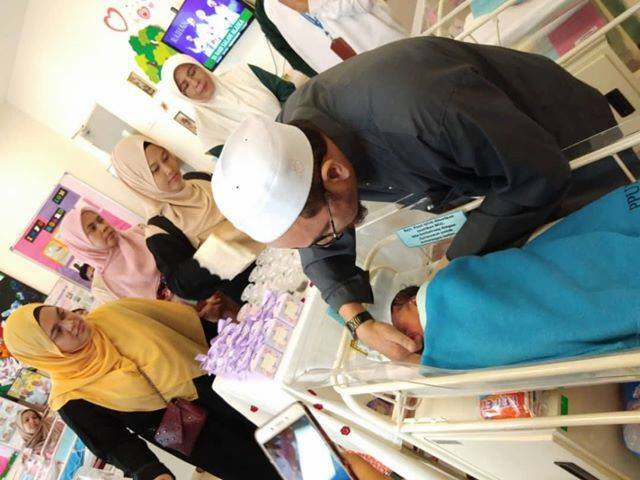 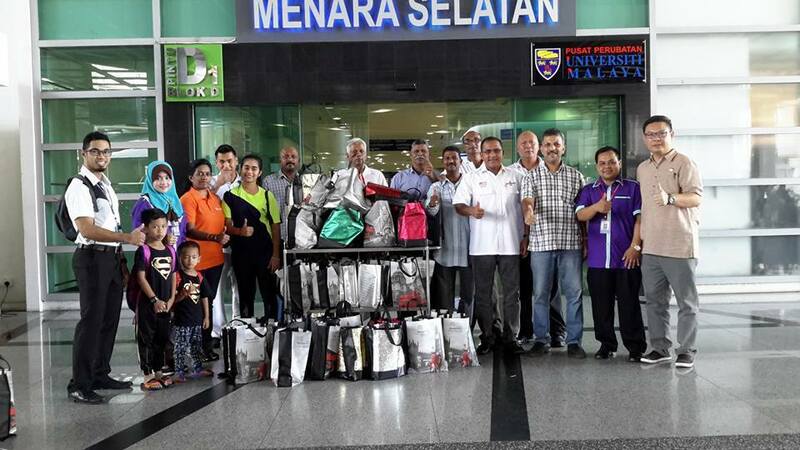 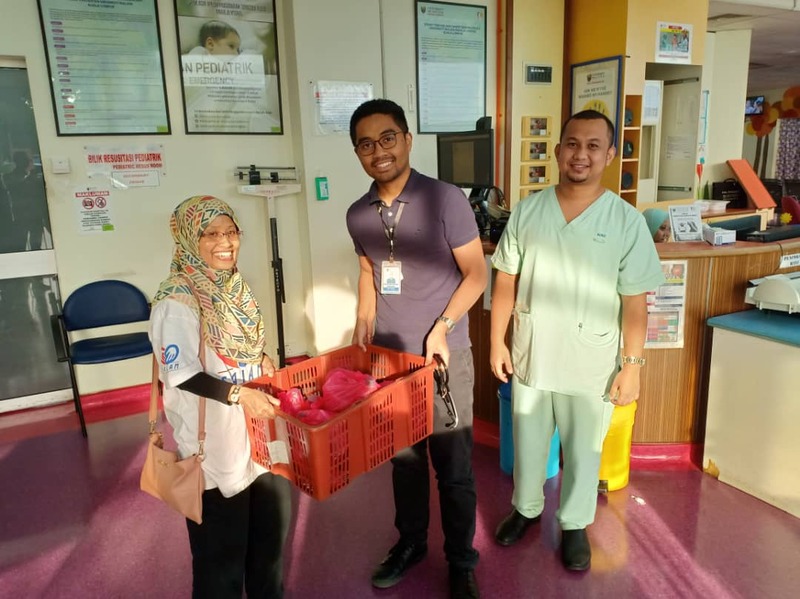 Pada 20 Mei 2018, HELWA Angkatan Belia Malaysia (ABIM) telah mengadakan aktiviti edaran iftar untuk staf-staf yang bertugas di Jabatan Perubatan Kecemasan. 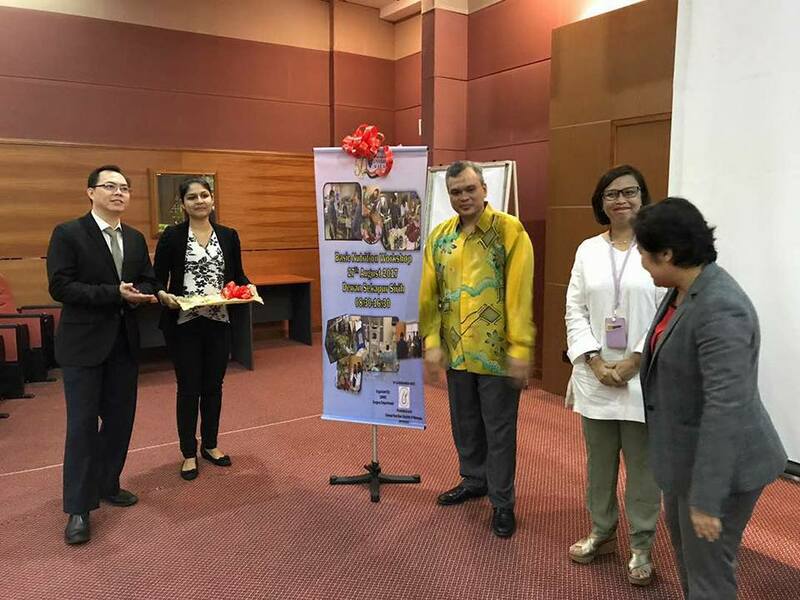 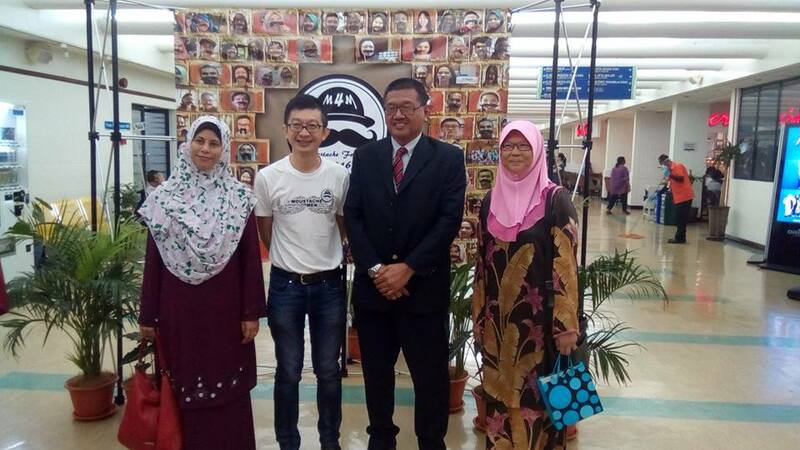 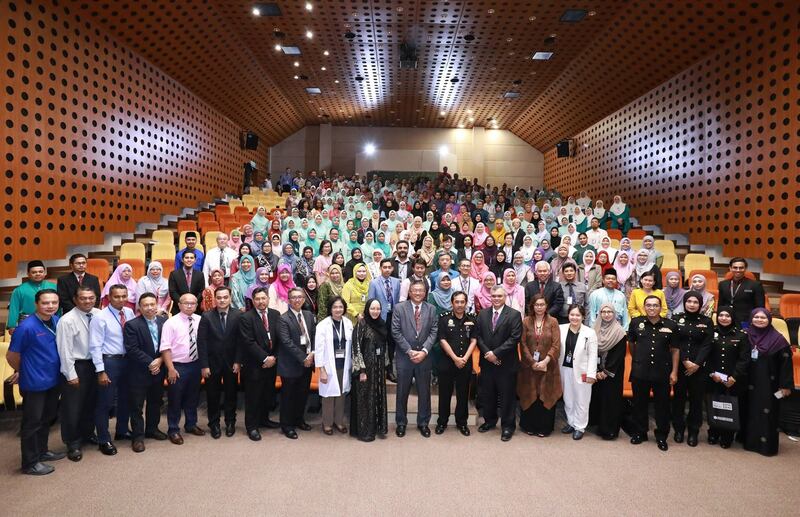 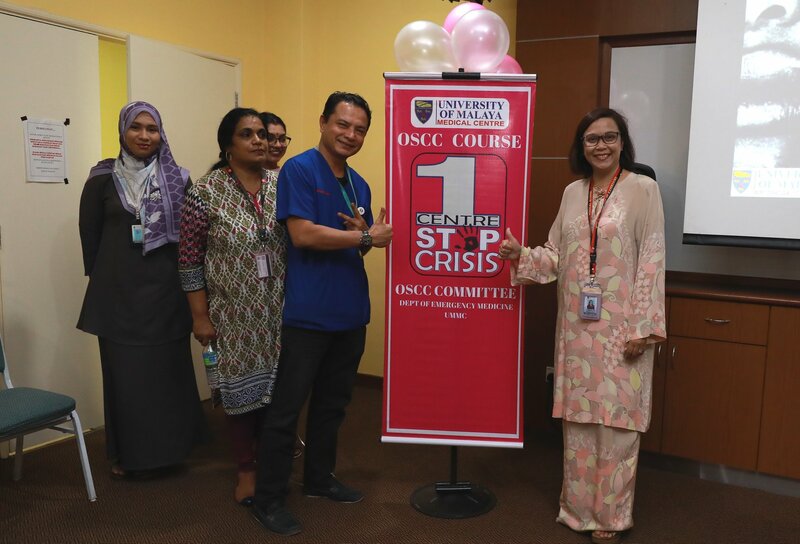 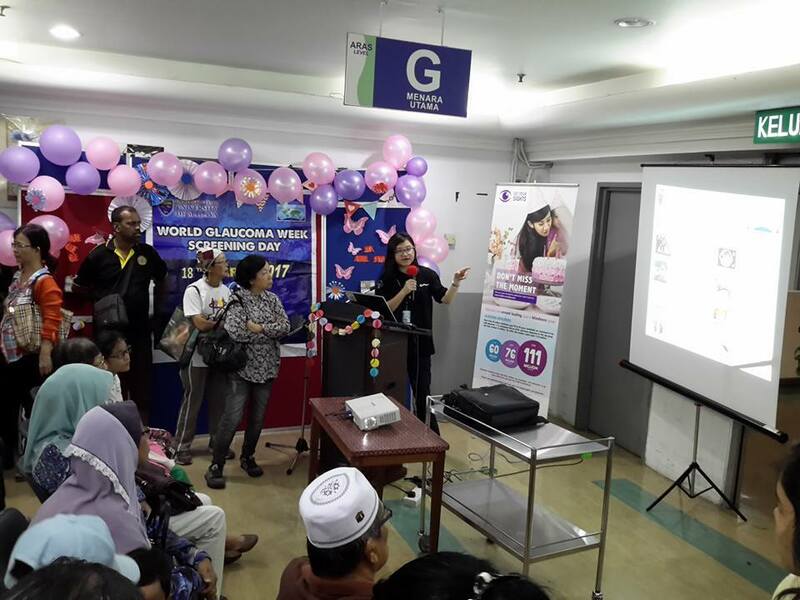 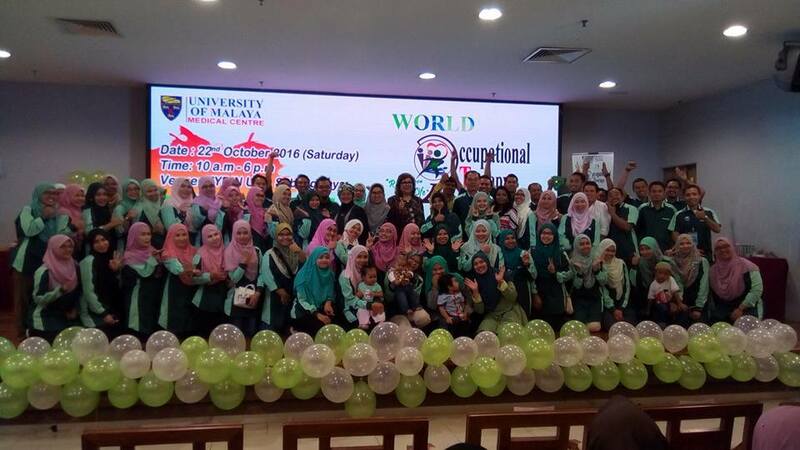 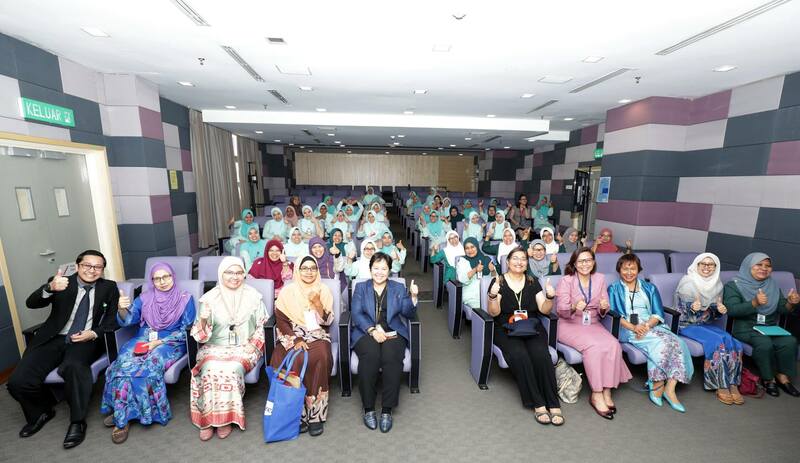 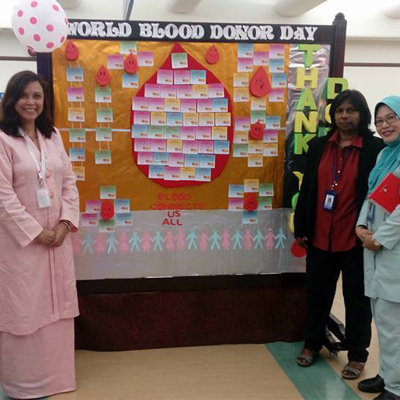 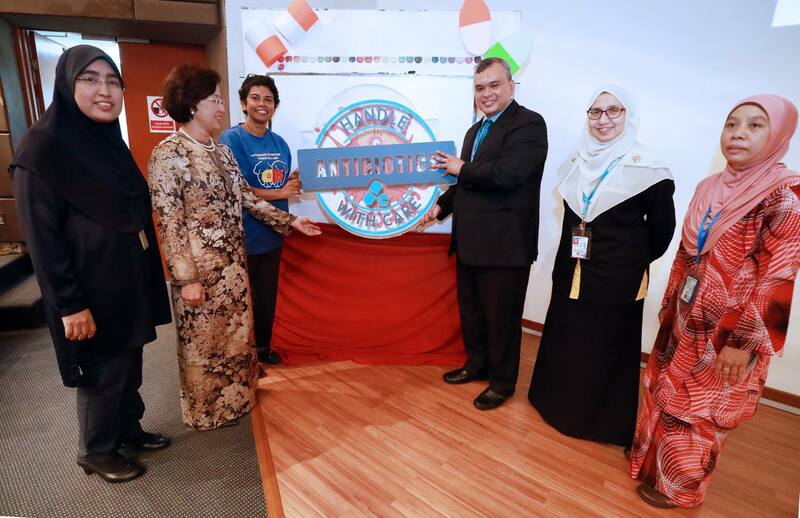 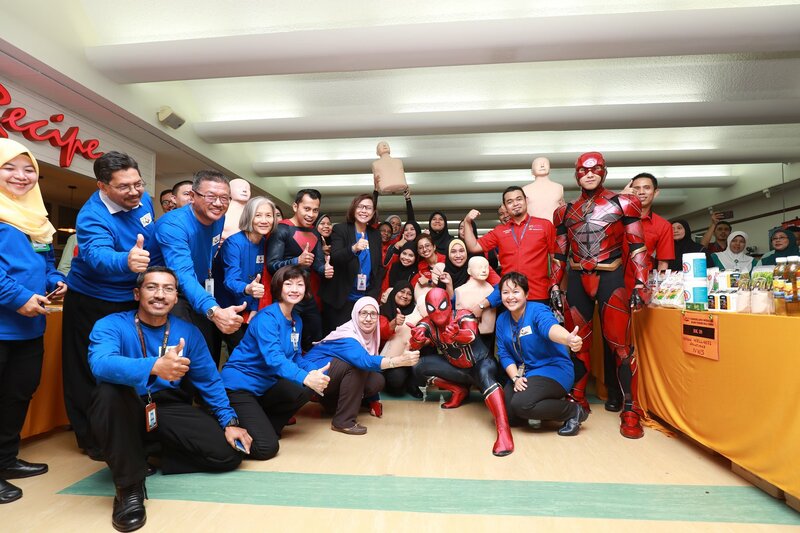 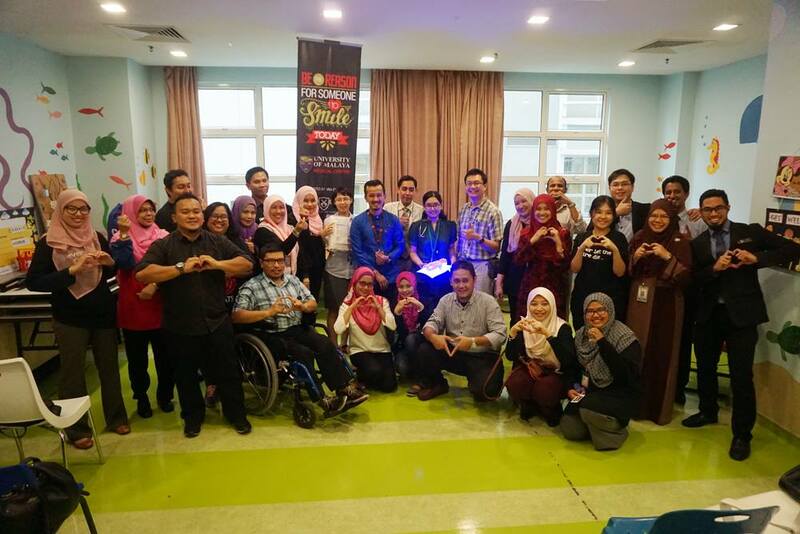 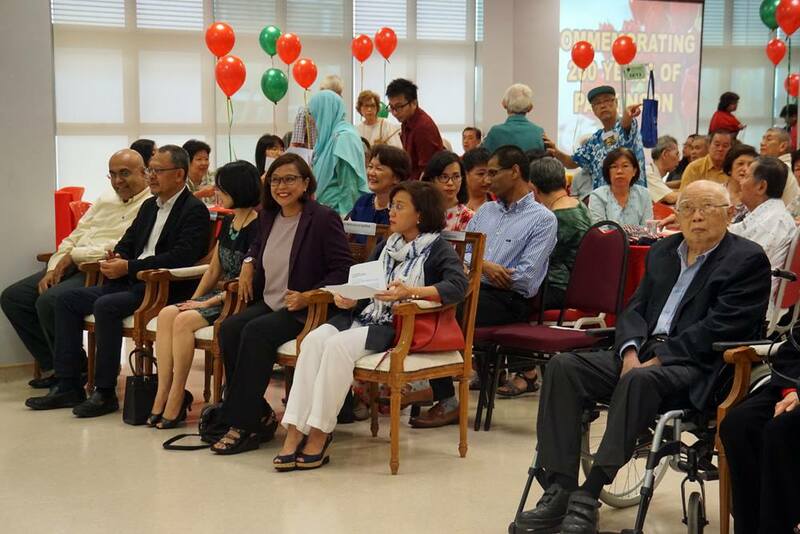 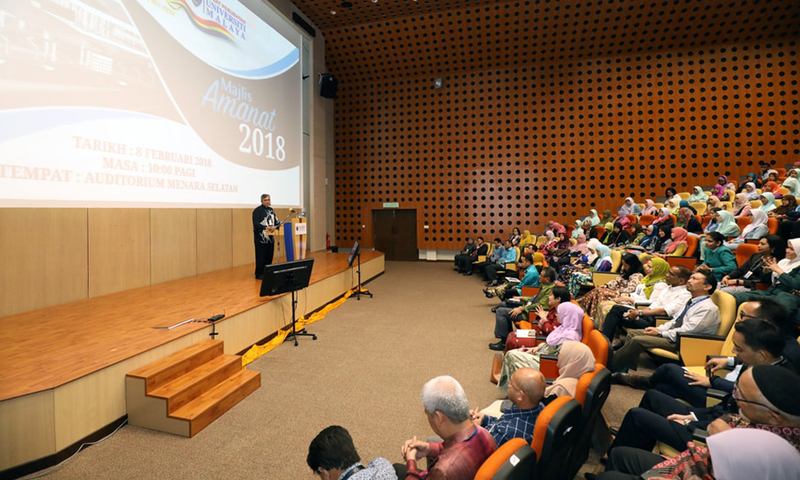 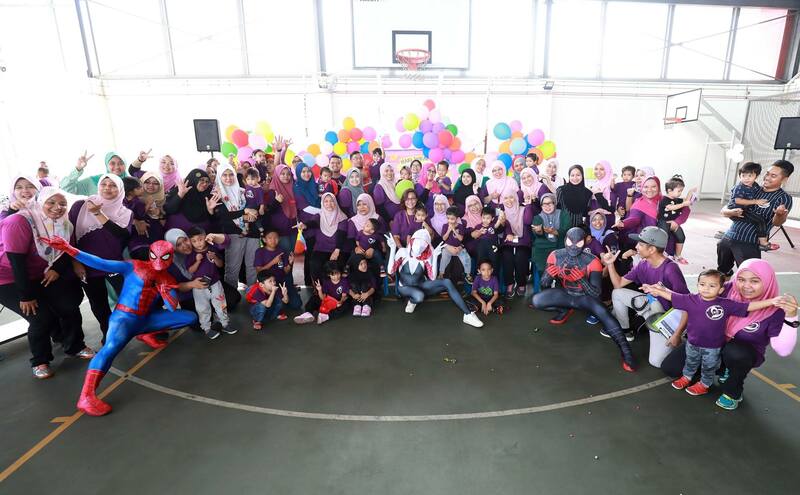 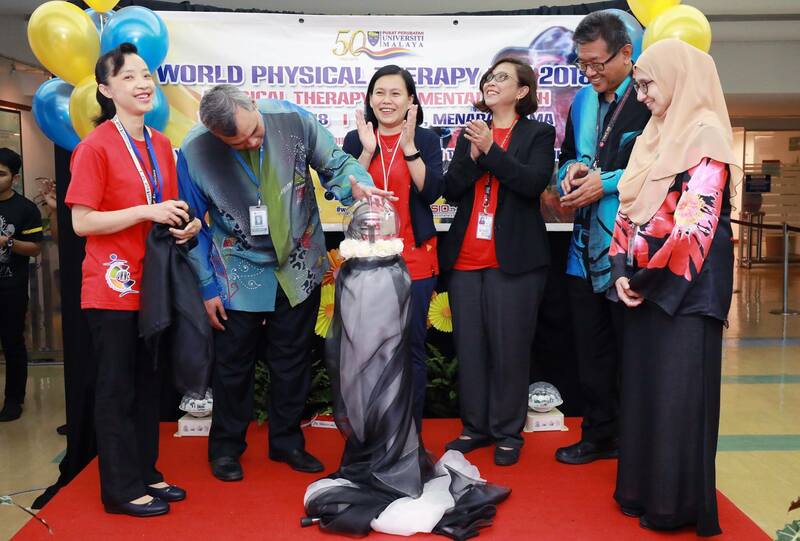 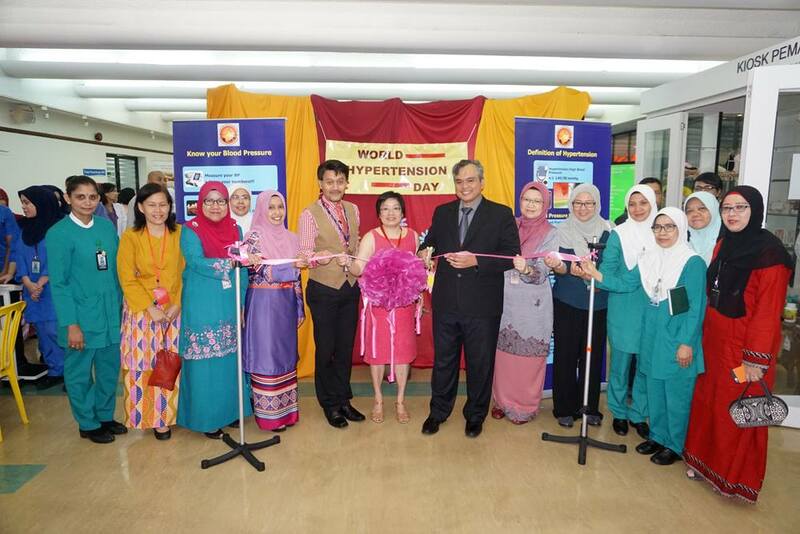 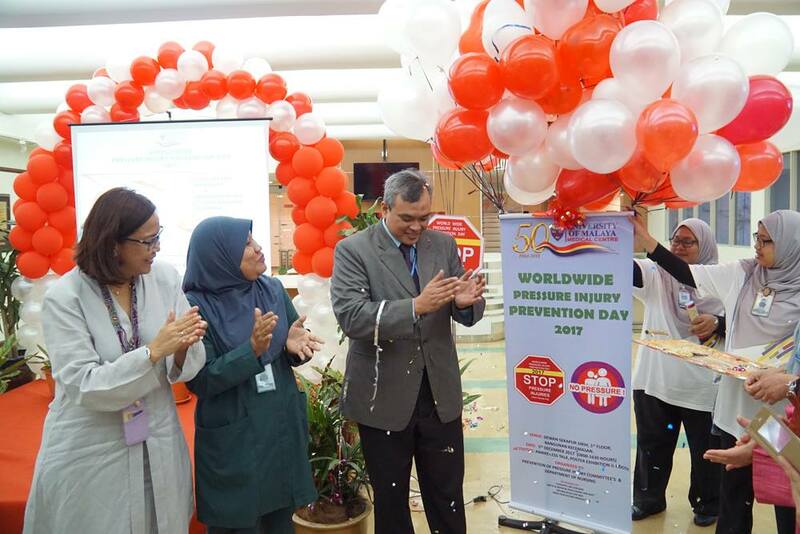 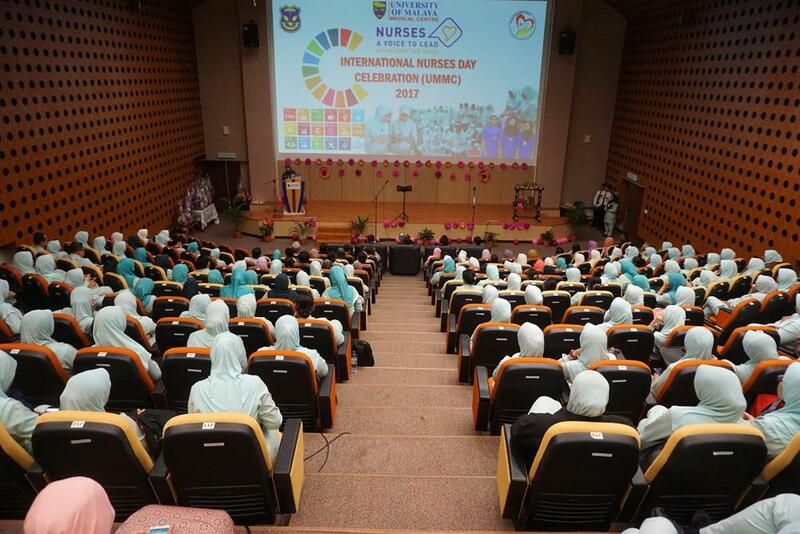 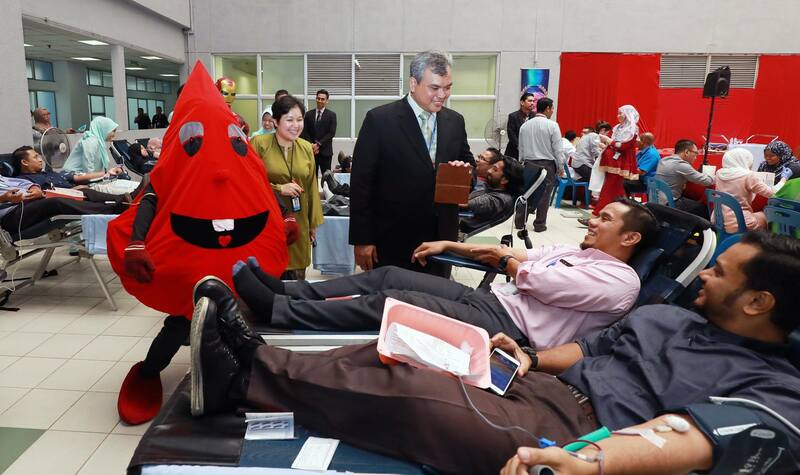 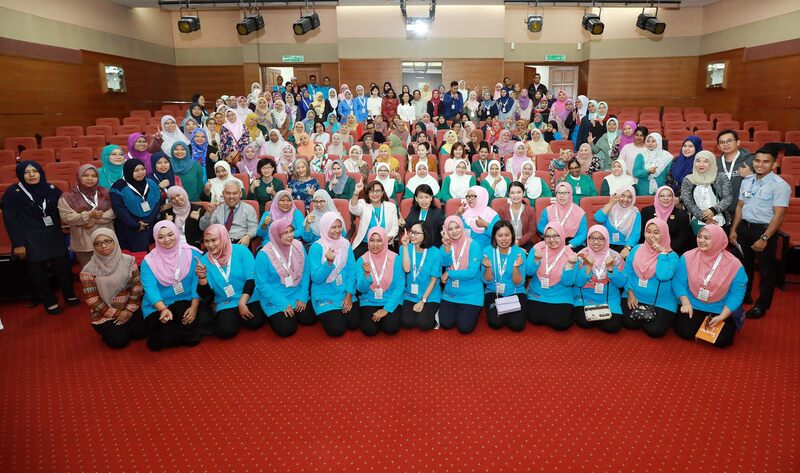 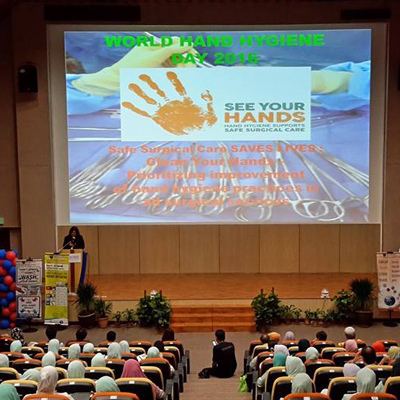 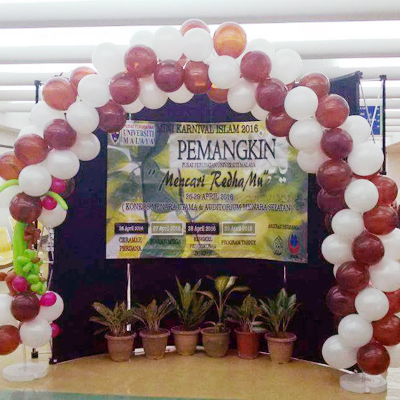 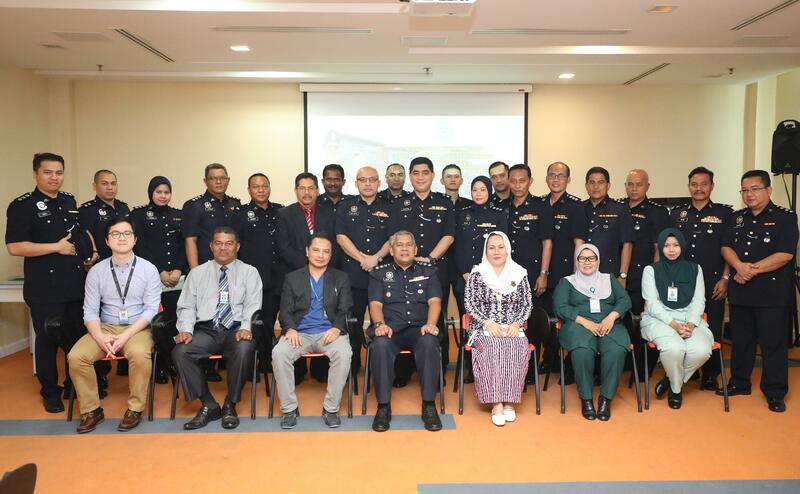 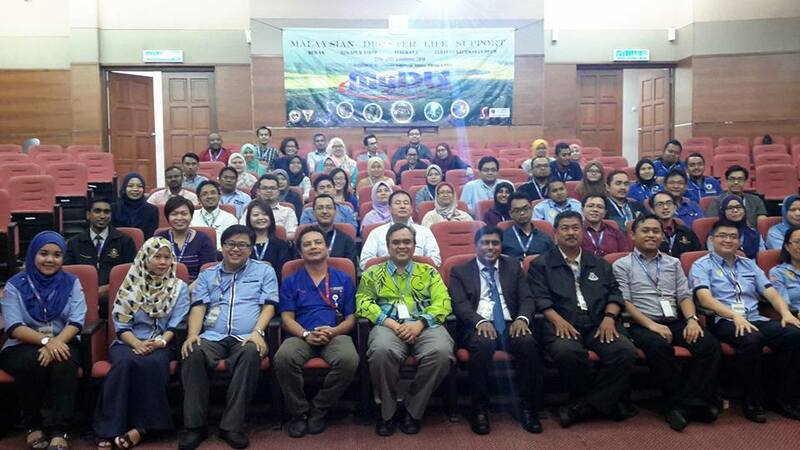 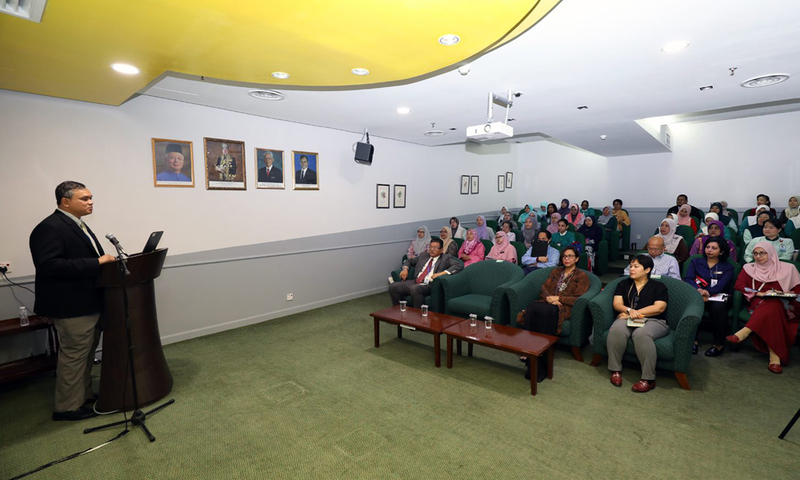 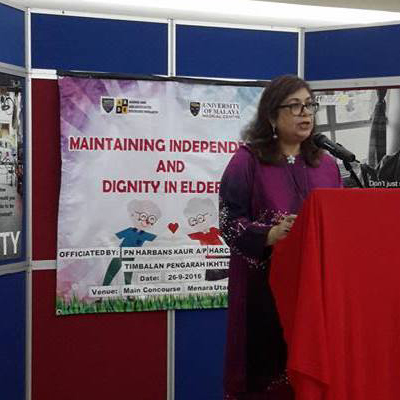 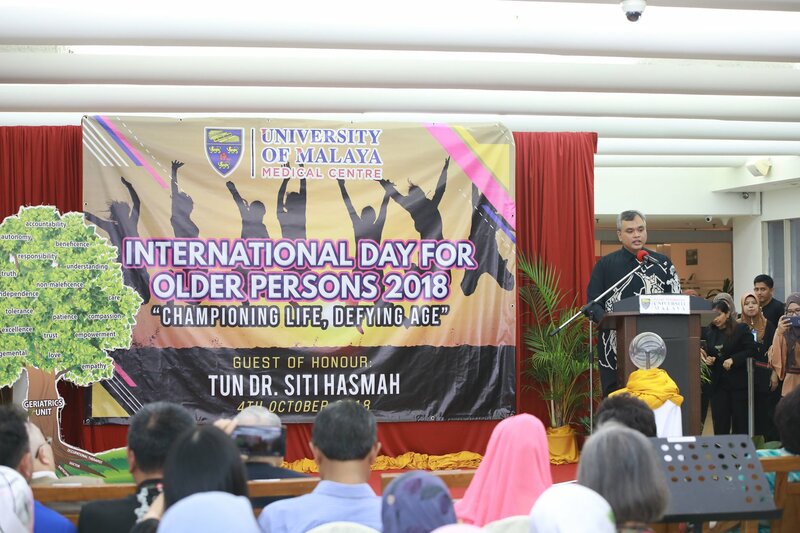 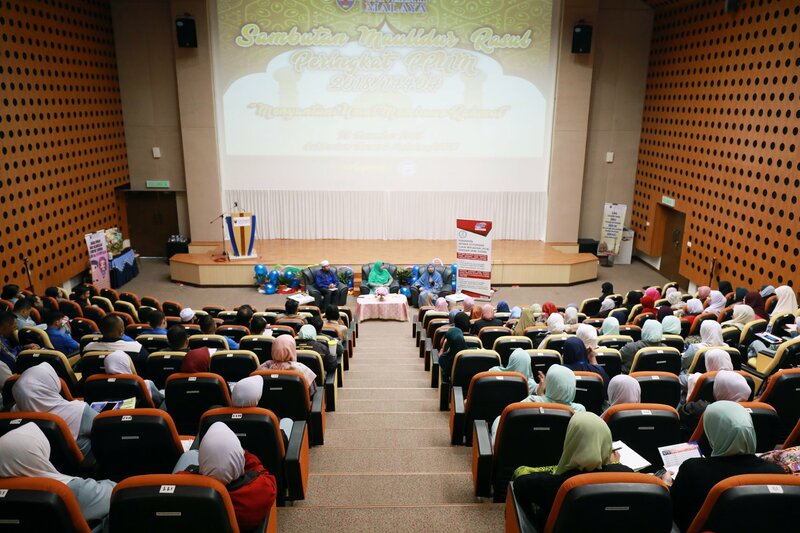 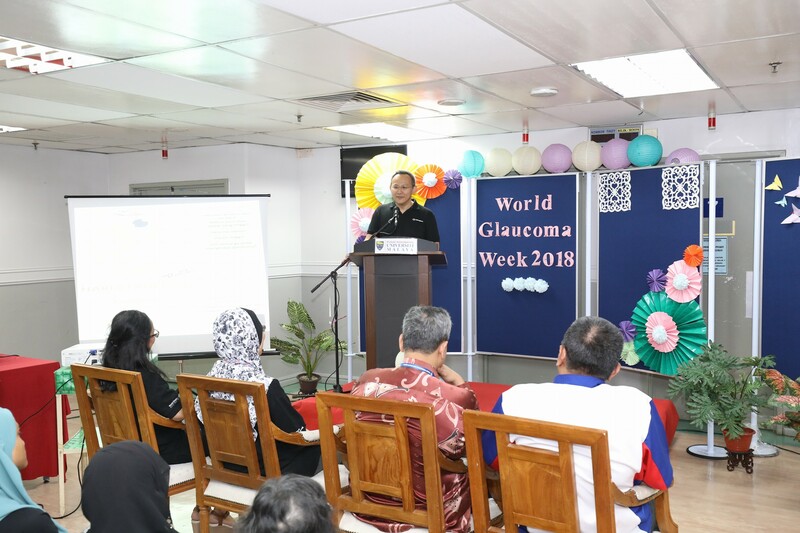 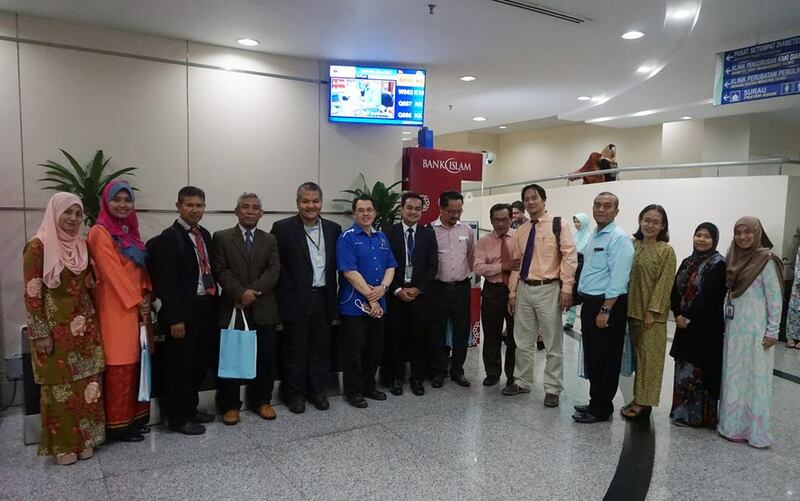 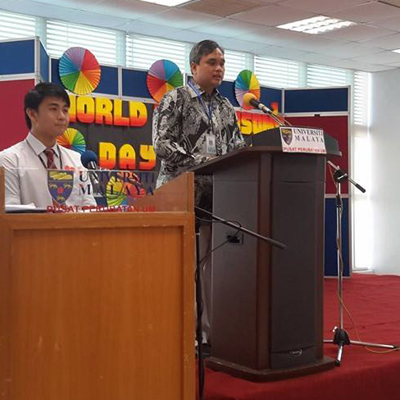 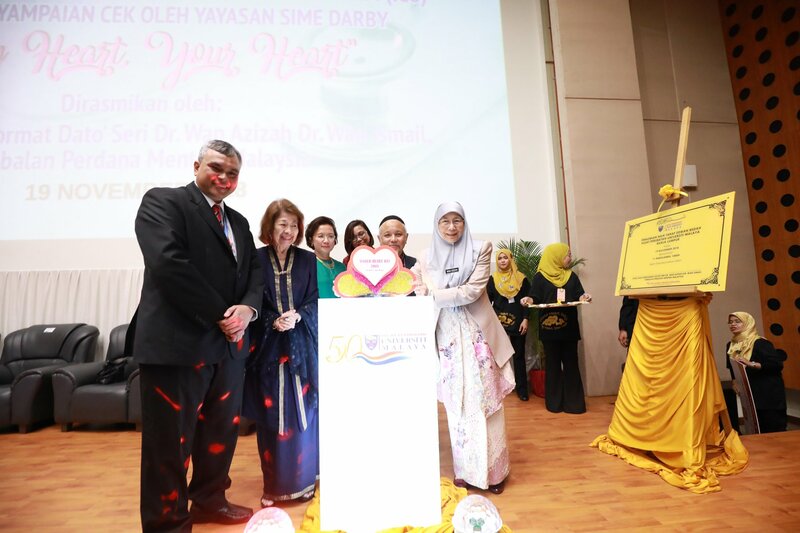 MAJLIS PERASMIAN "WORLD HYPERTENSION DAY"
"World Hypertension Day" telah disambut setiap tahun pada 17 Mei di atas inisiatif International Society of Hypertension dan mendapat sokongan penuh oleh The Malaysian Society of Hypertension. 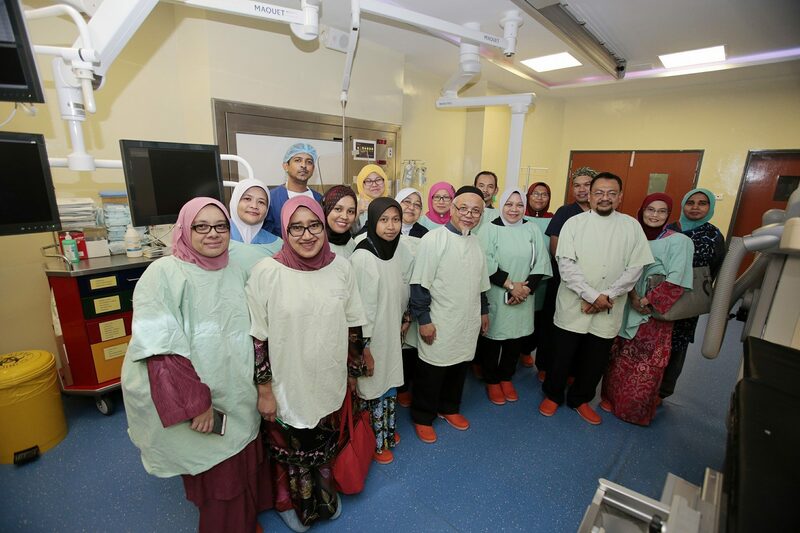 VISITS BY REPRESENTATIVES FROM JOINT SURGICAL COLLEGES FELLOWSHIP EXAMINATION (JSCFE), THE ROYAL COLLEGE OF SURGEONS OF EDINBURGH. 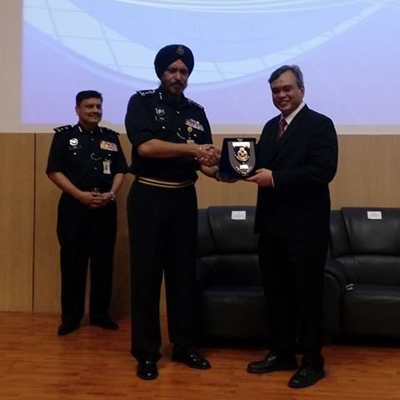 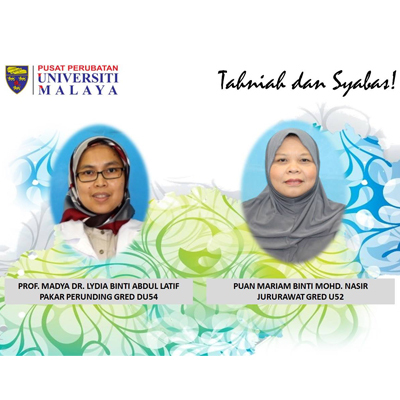 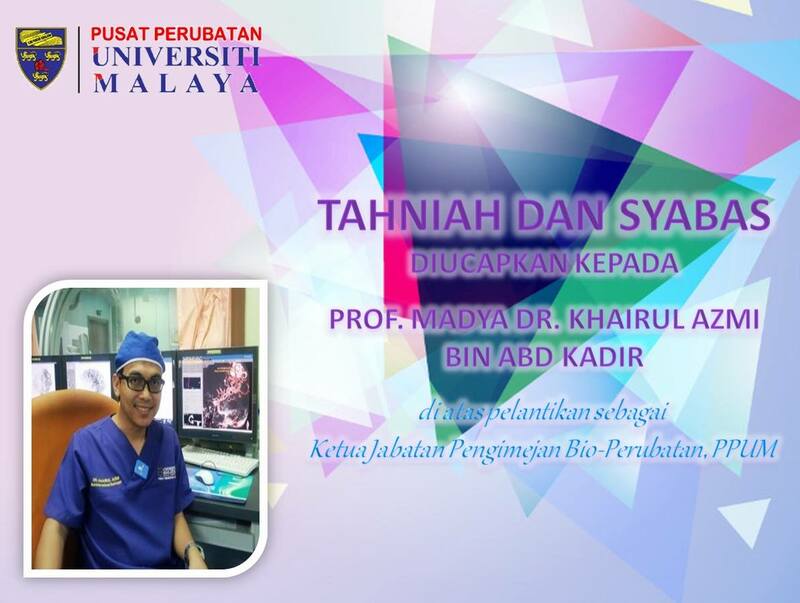 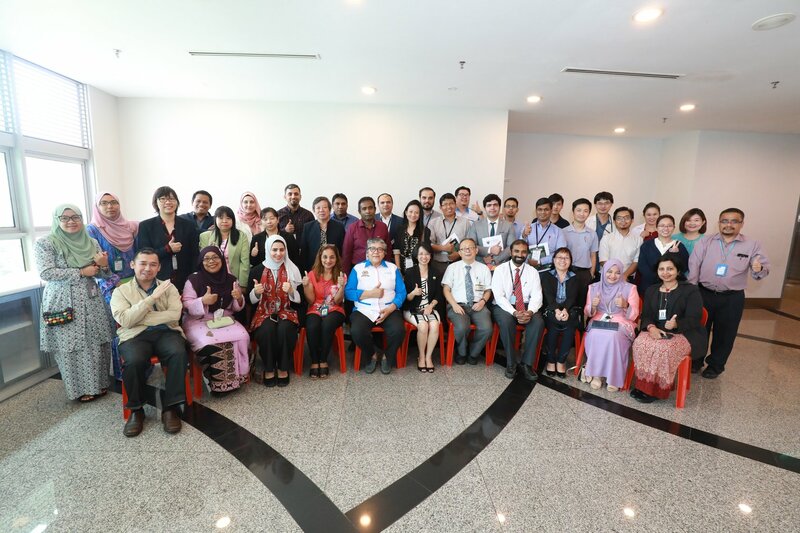 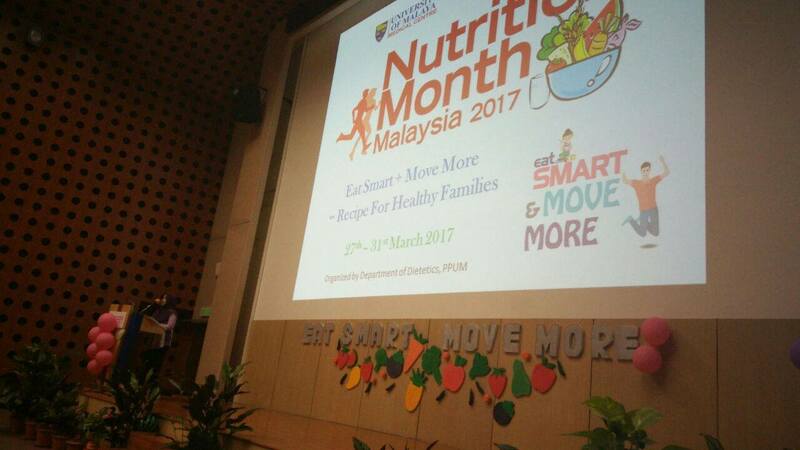 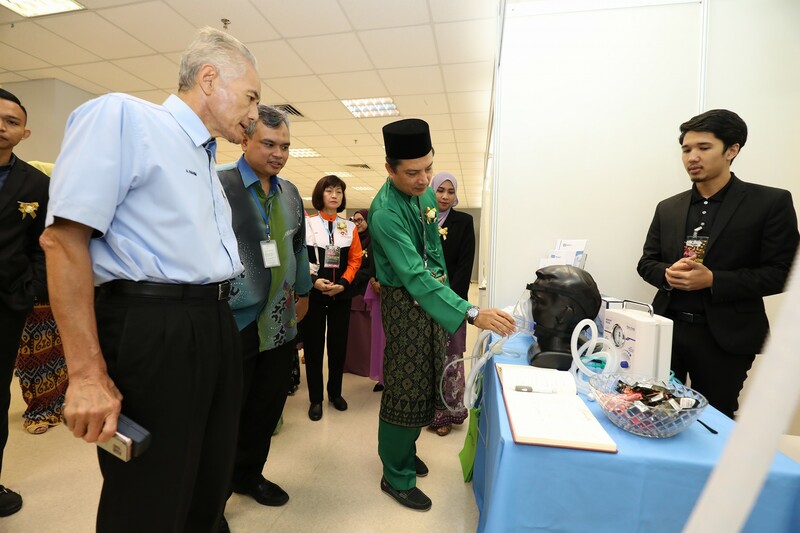 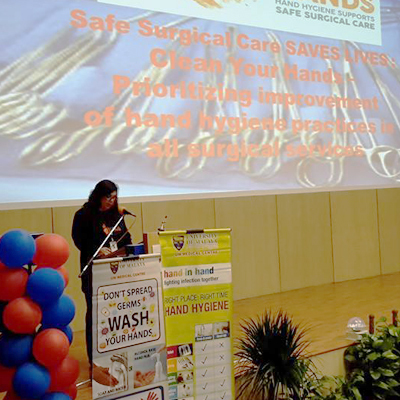 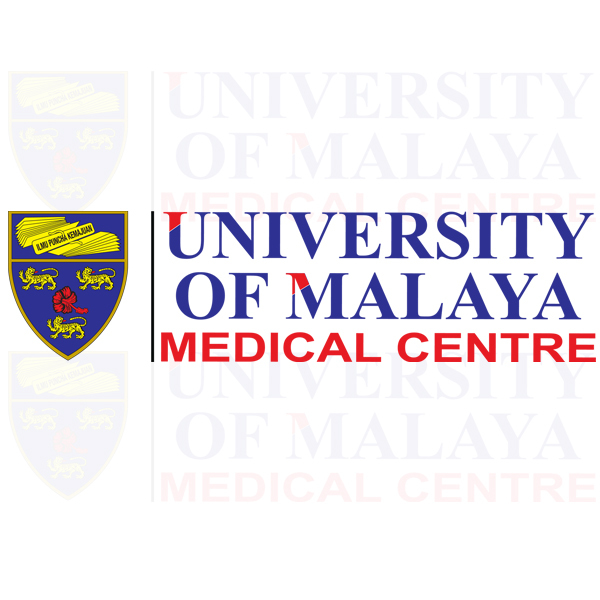 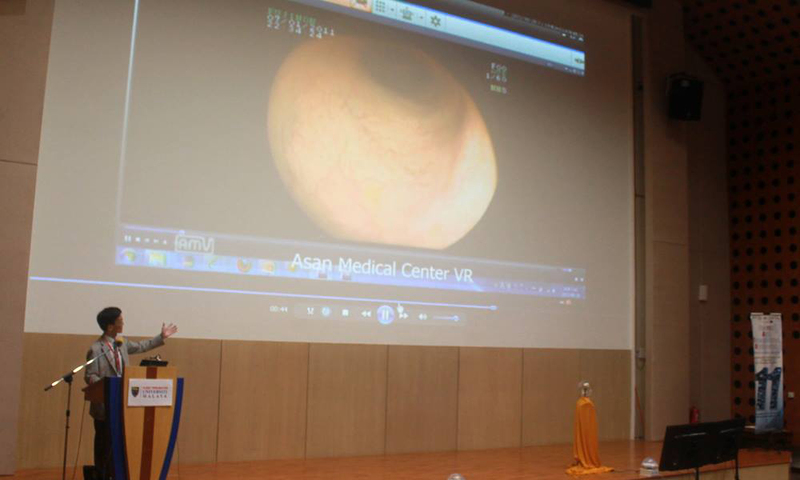 Asian Telemedicine Symposium Kuala Lumpur 2017 was held on 15th to 16th December and Universiti Malaya Medical Centre are proudly hosting this symposium that was the first ever held in Malaysia. 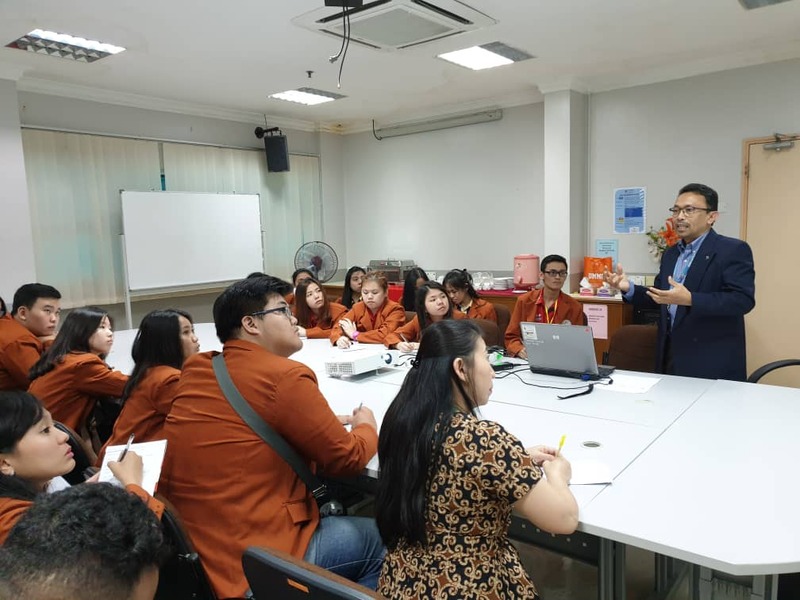 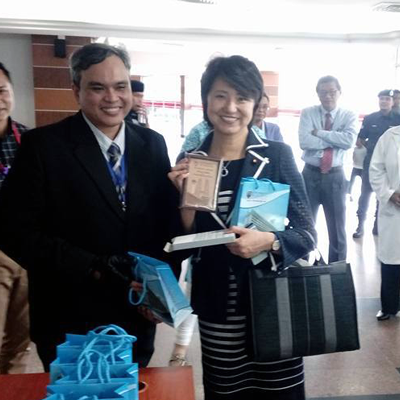 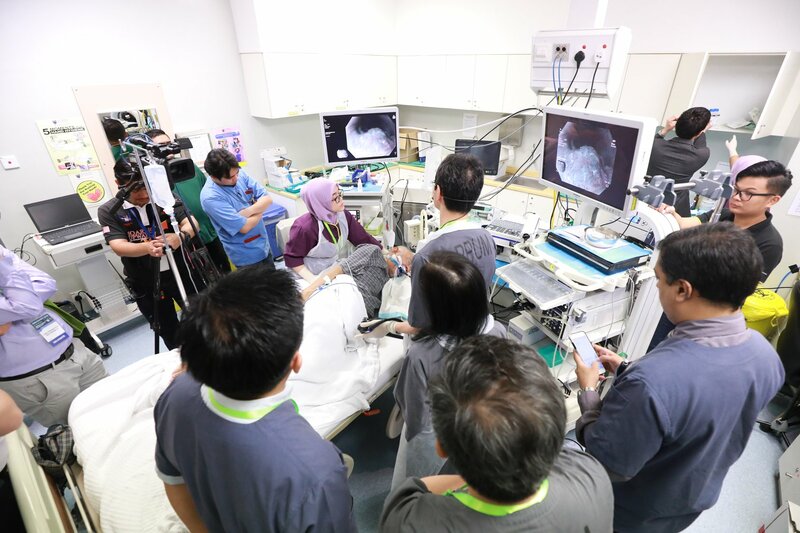 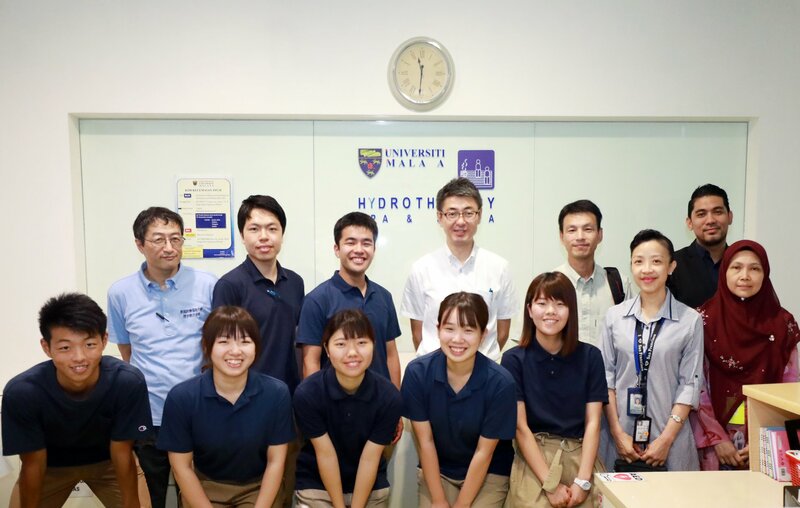 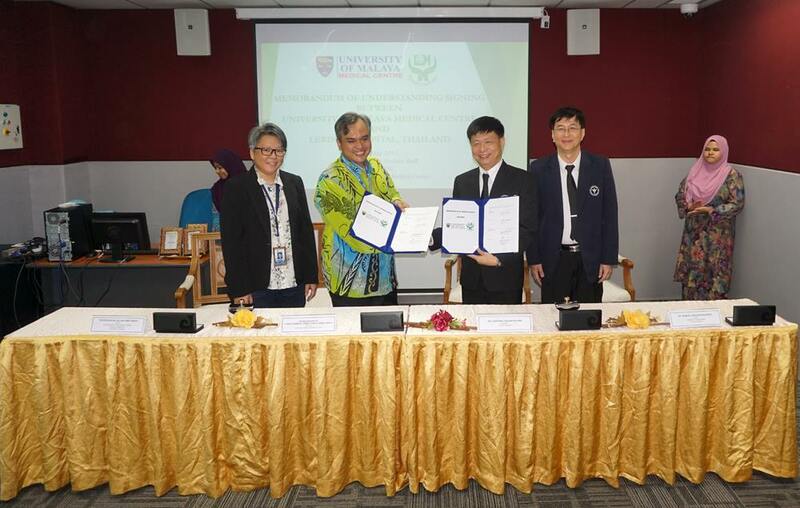 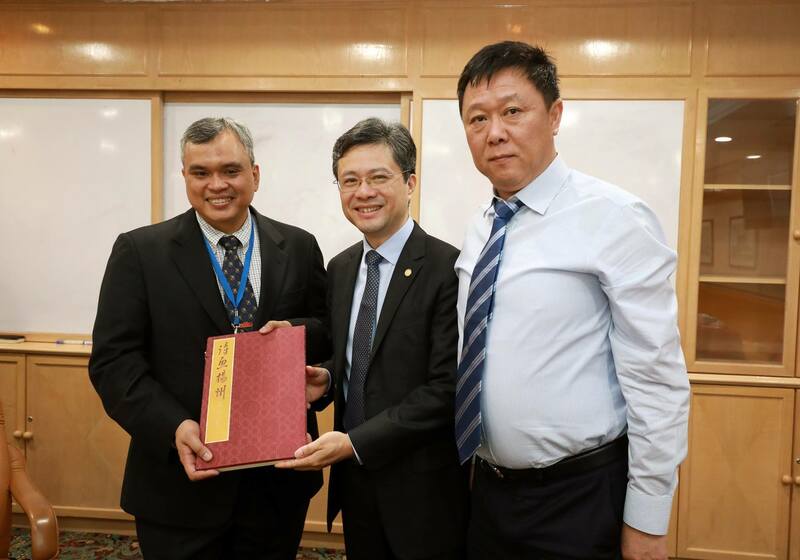 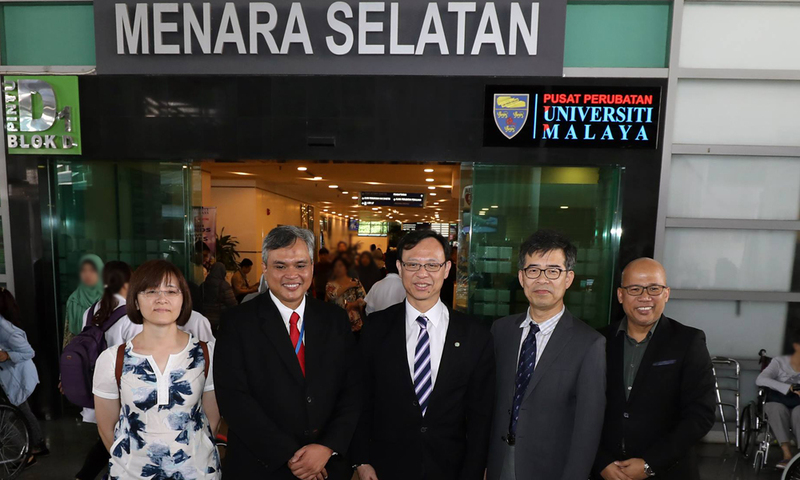 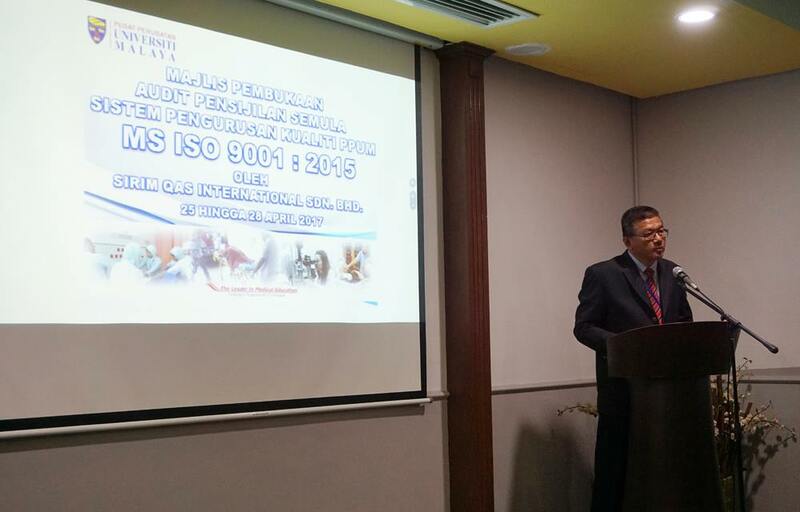 UMMC have received a visit from Taiwan Ministry of Science and Technology, and National Cheng Kung University, Taiwan. 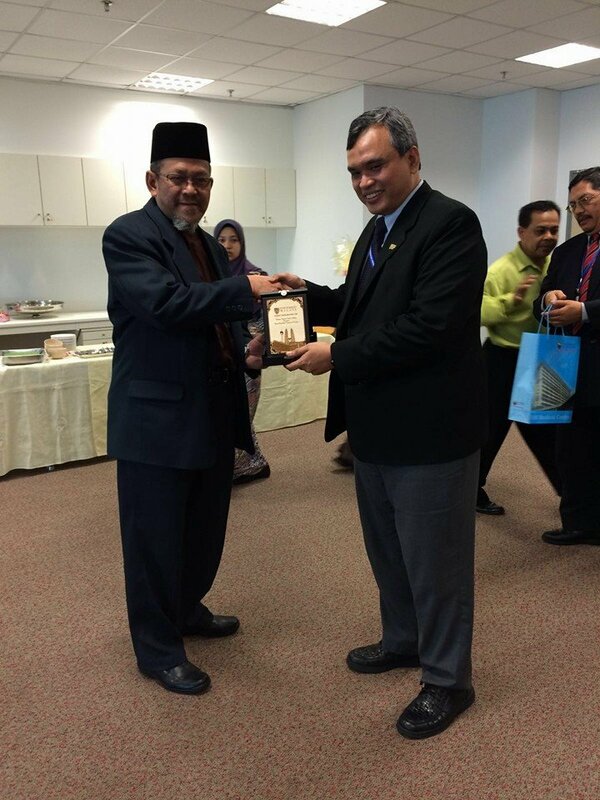 We hope that this visit will produce a fruitful collaboration in the future. 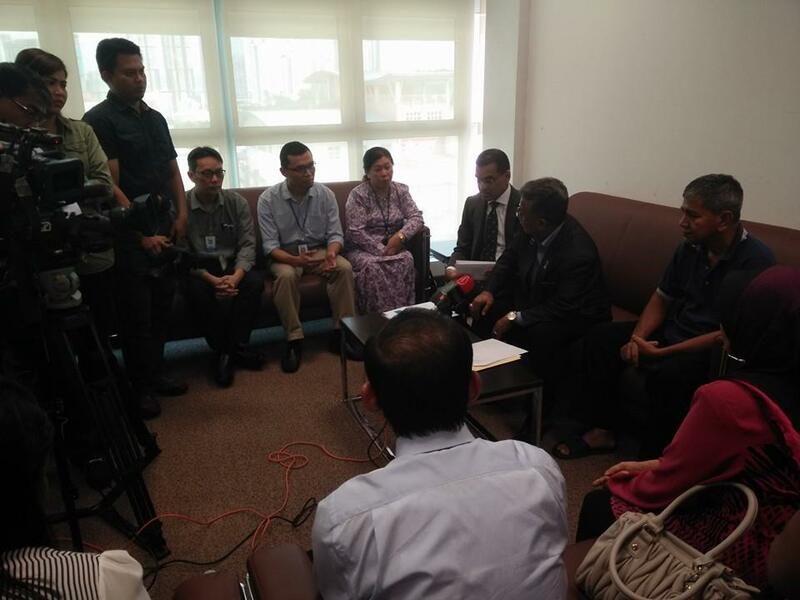 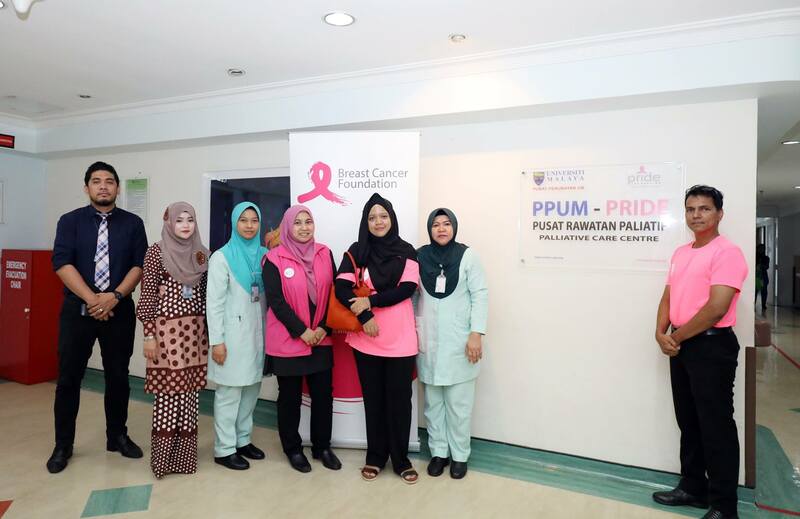 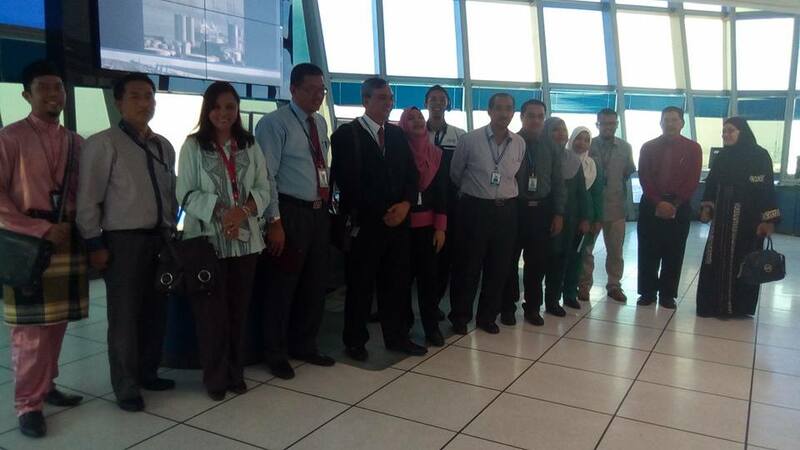 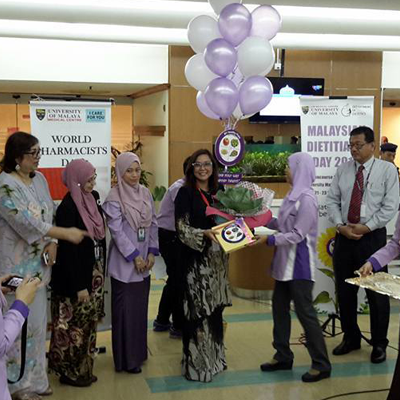 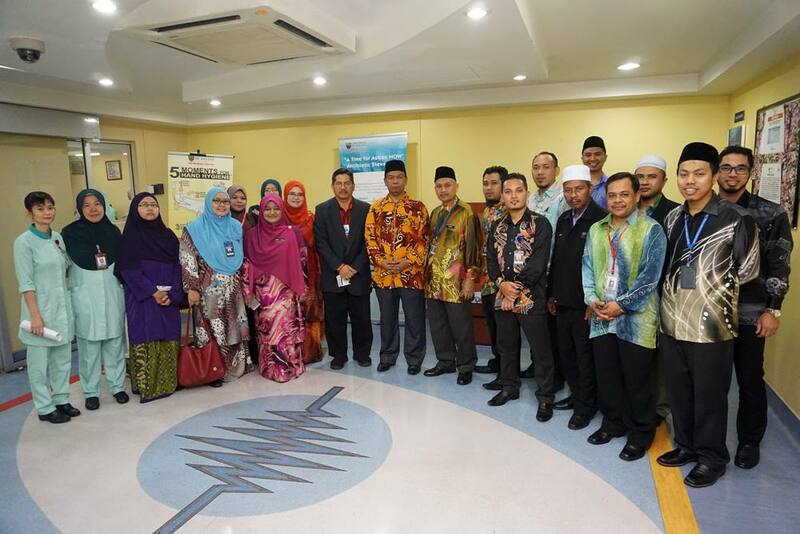 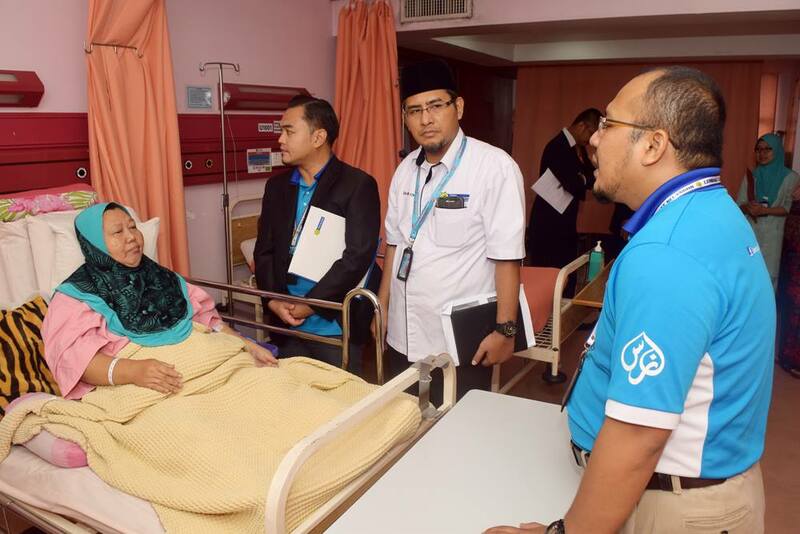 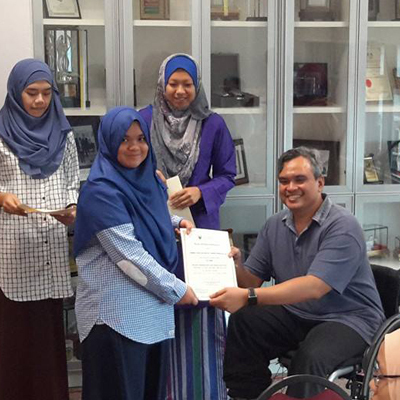 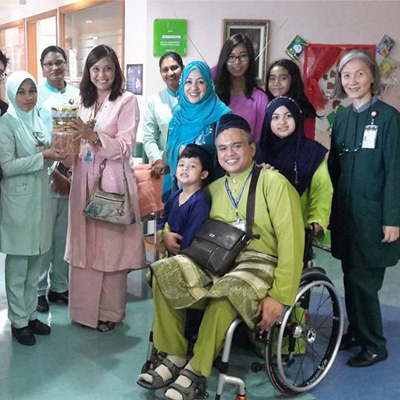 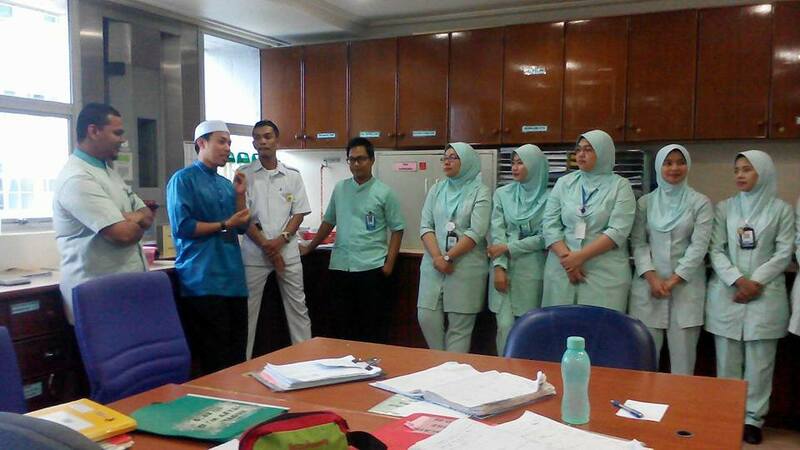 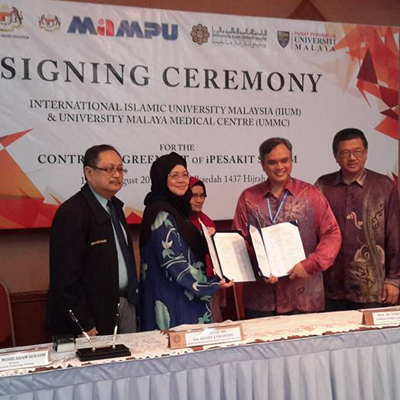 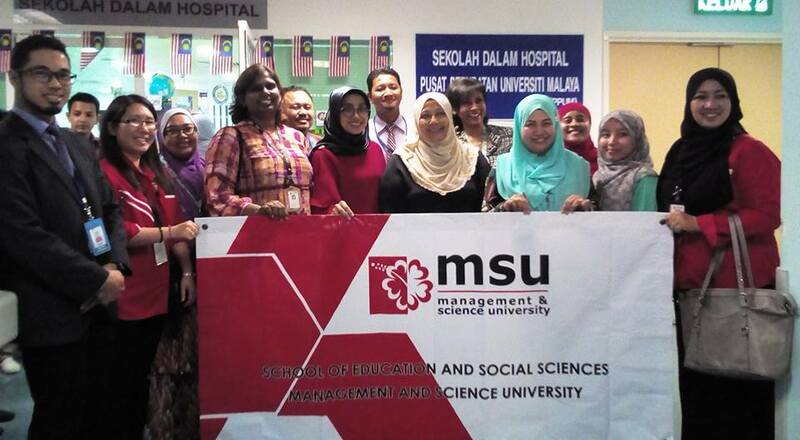 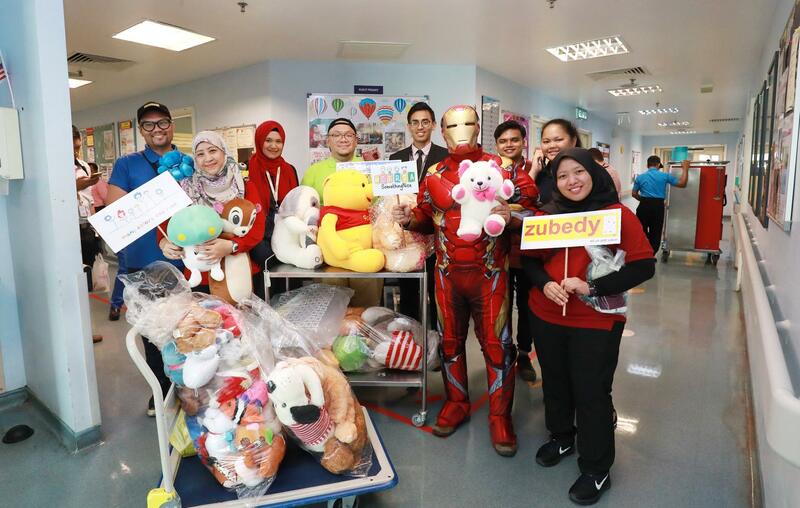 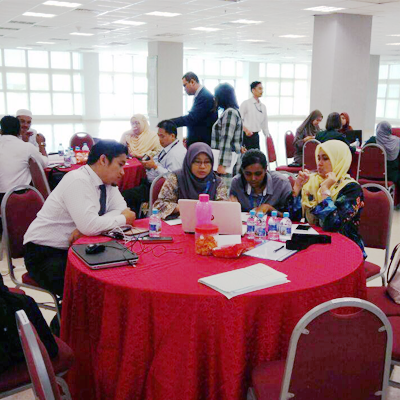 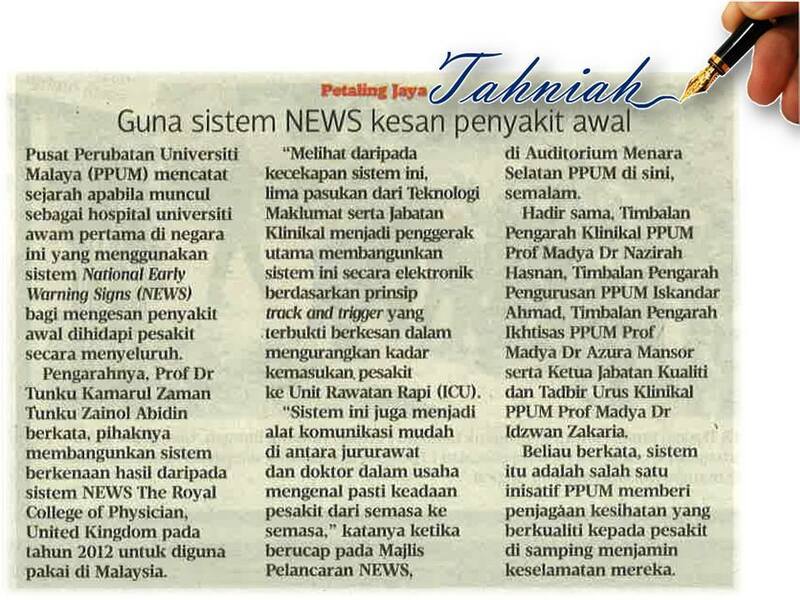 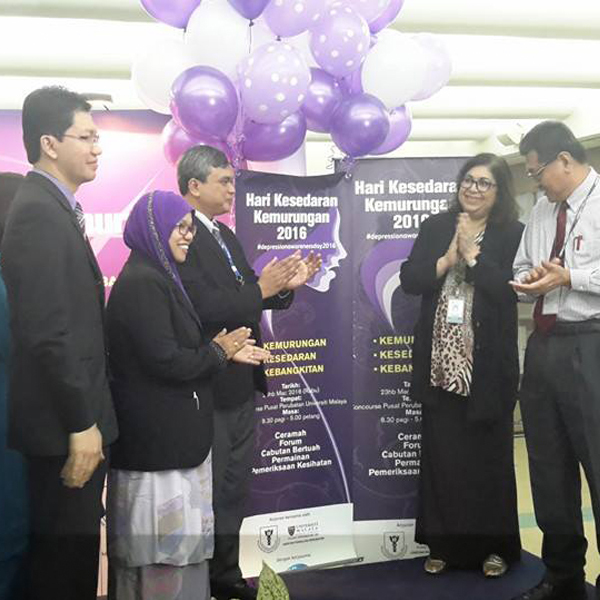 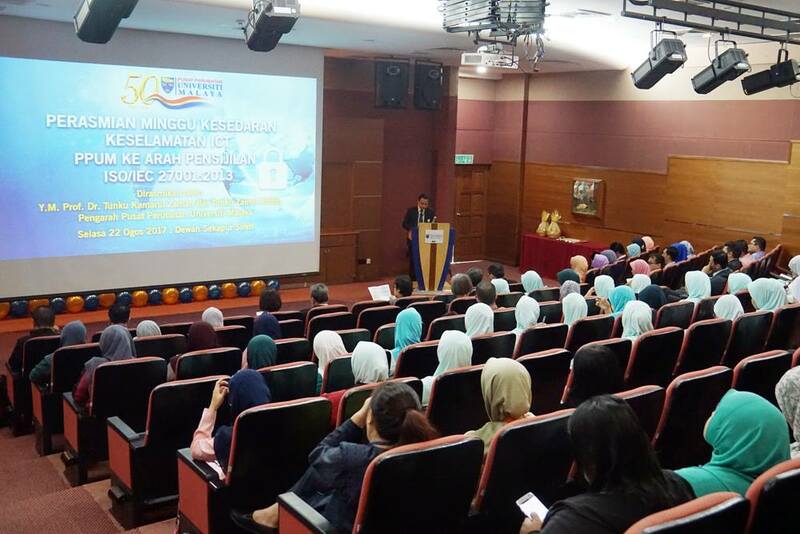 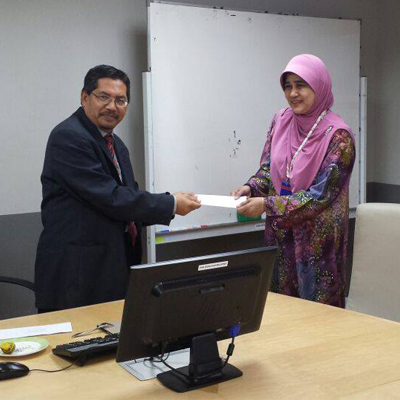 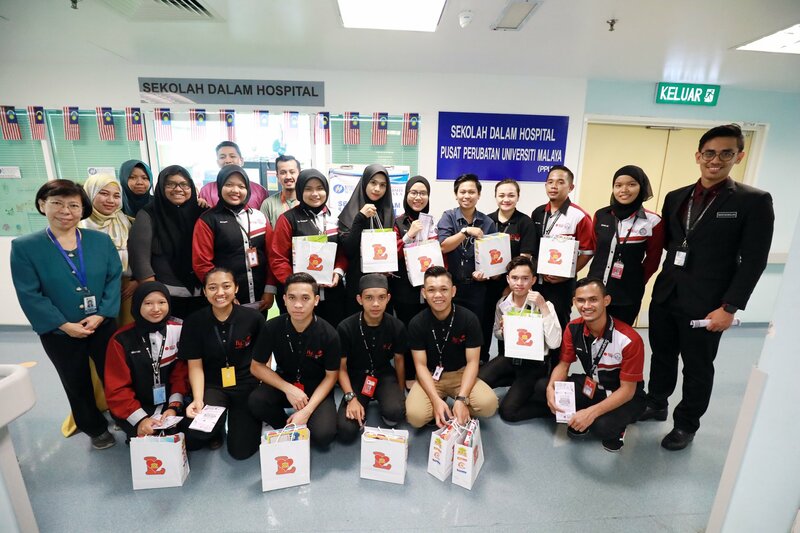 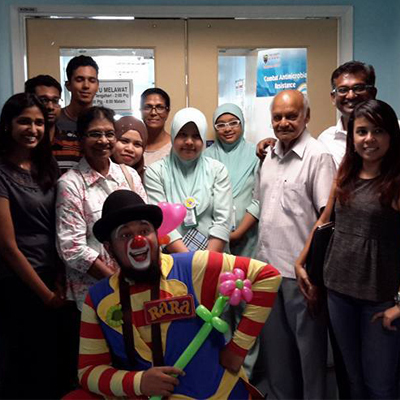 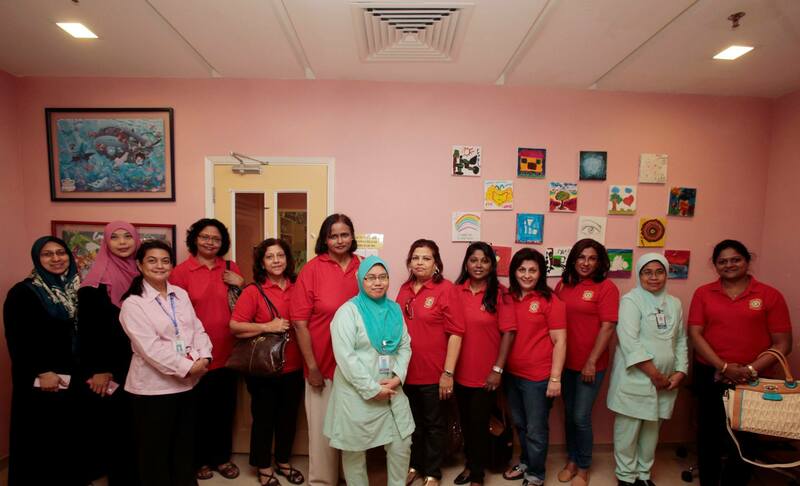 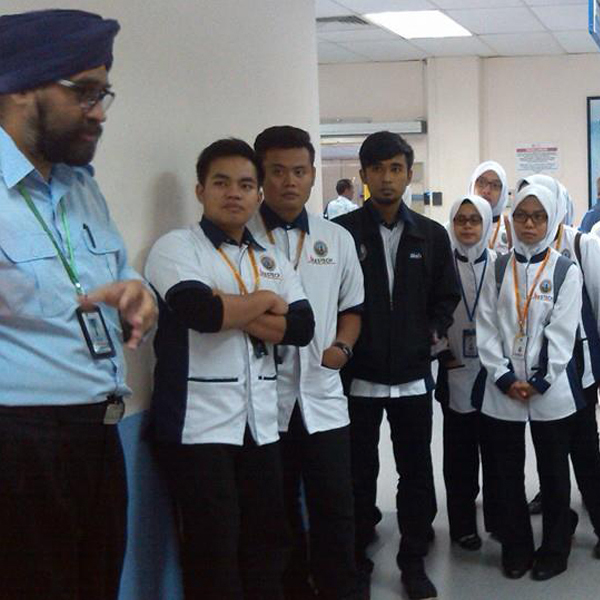 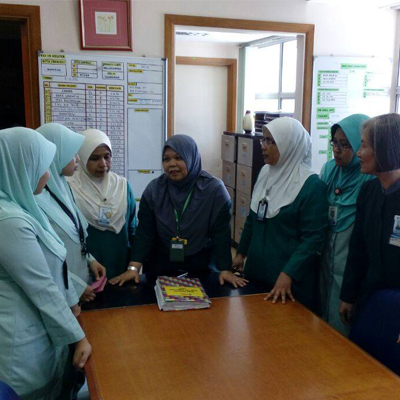 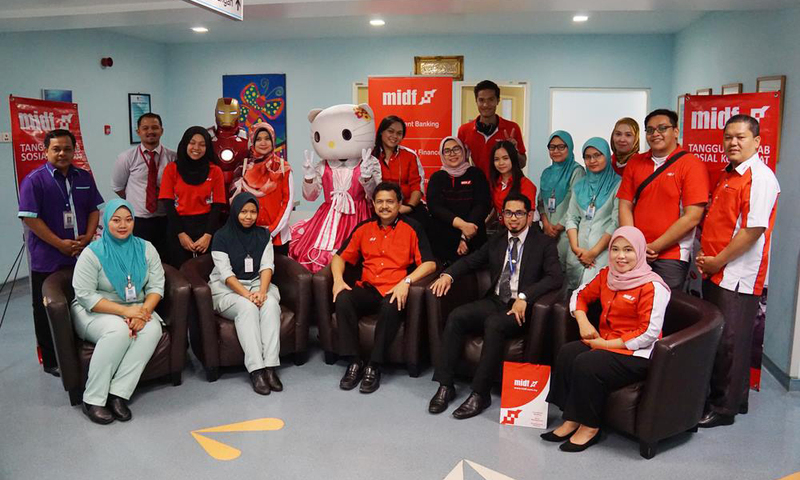 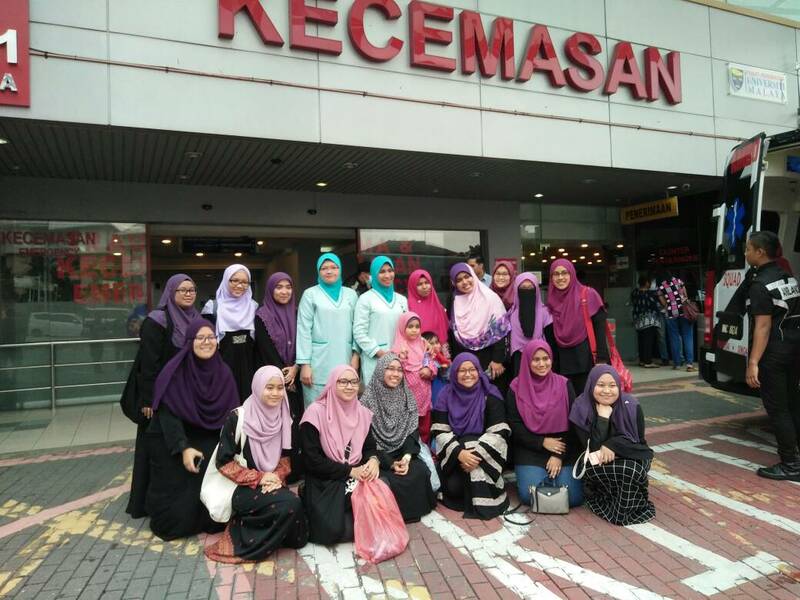 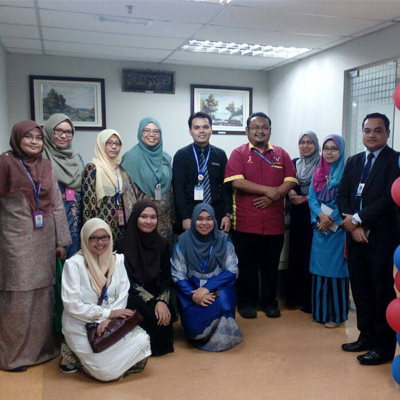 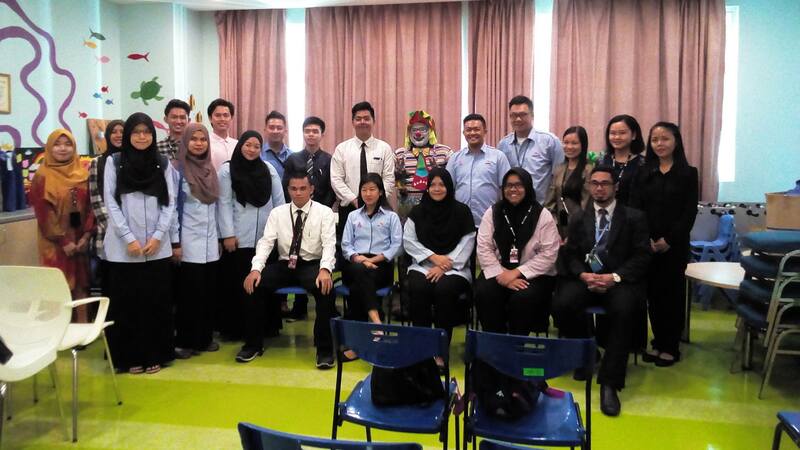 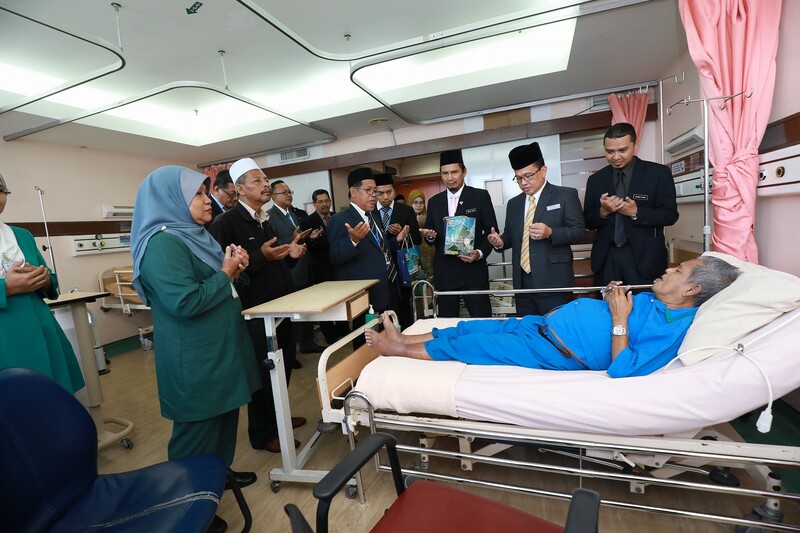 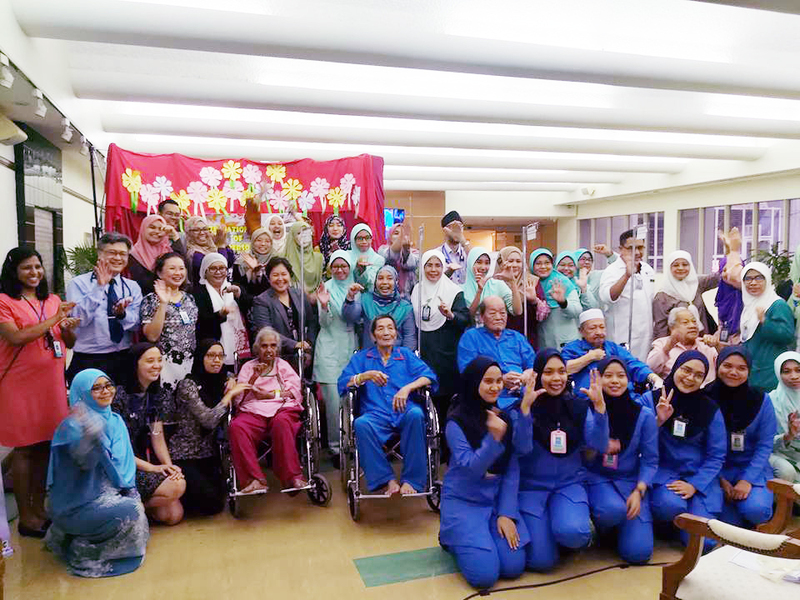 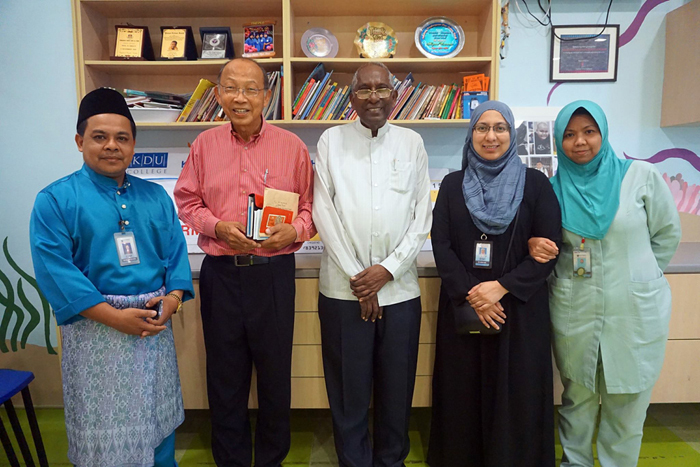 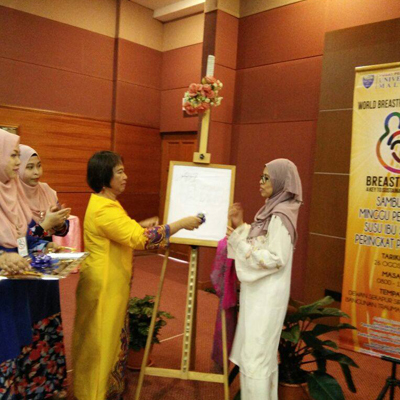 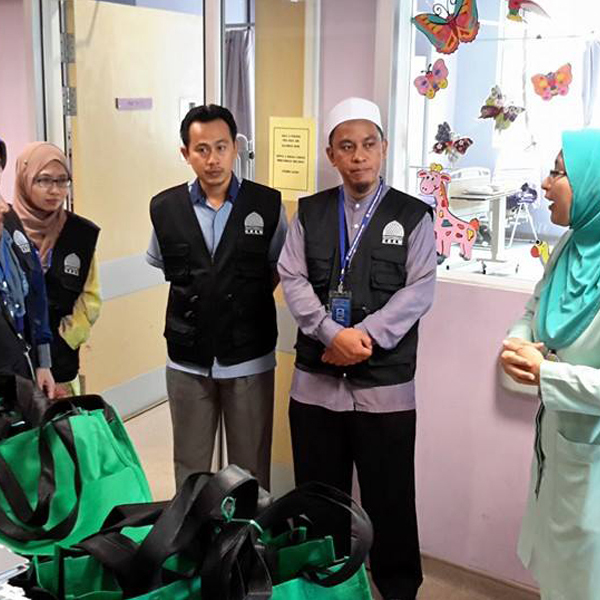 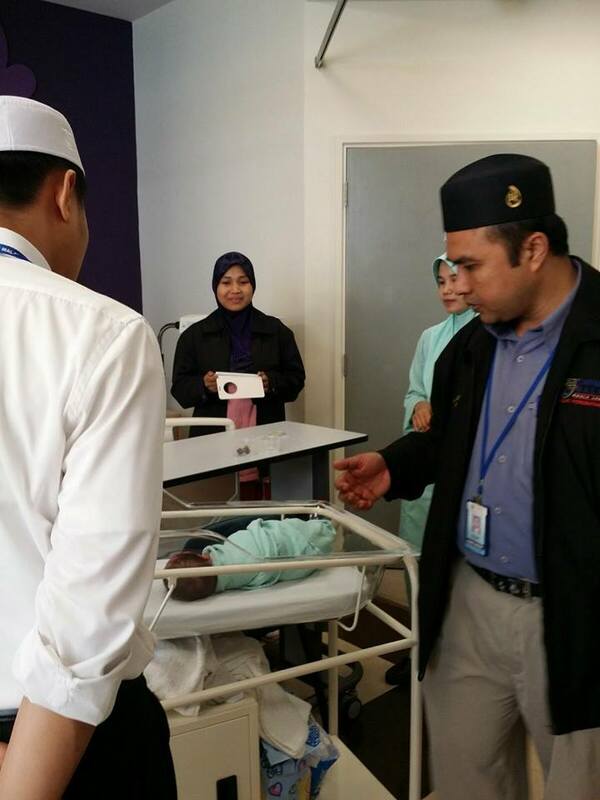 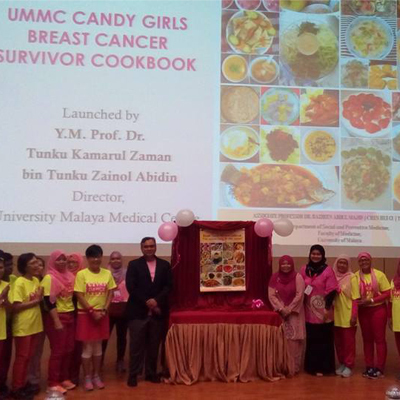 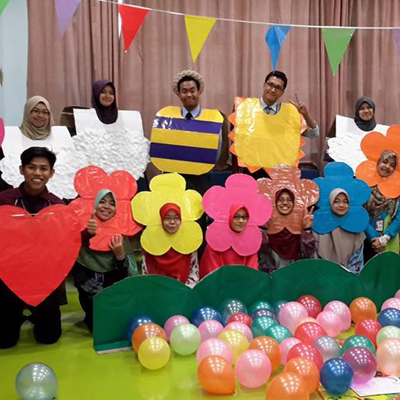 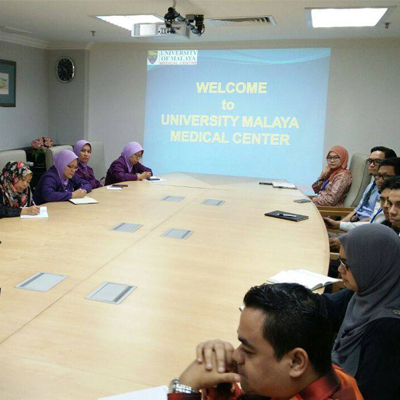 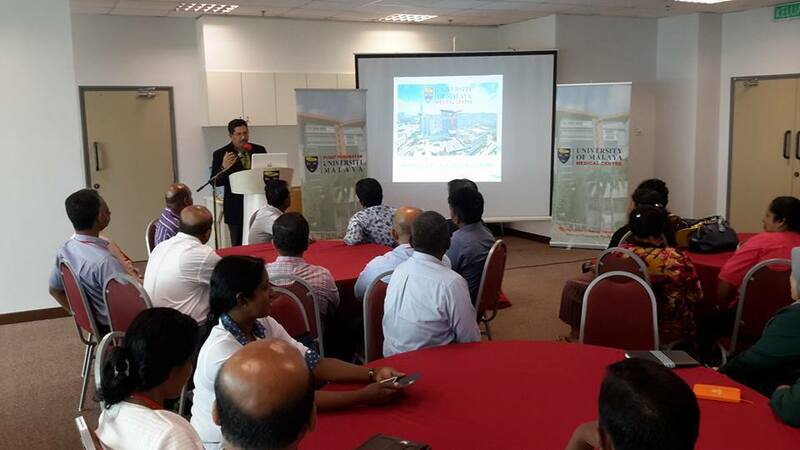 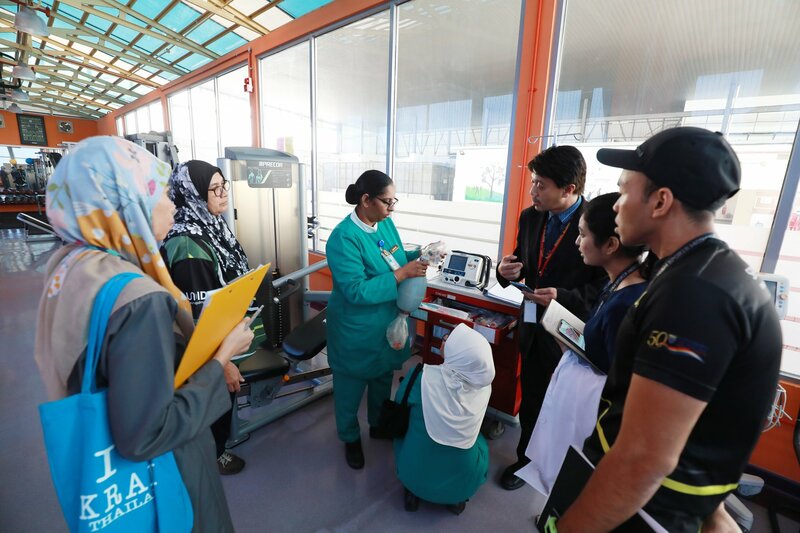 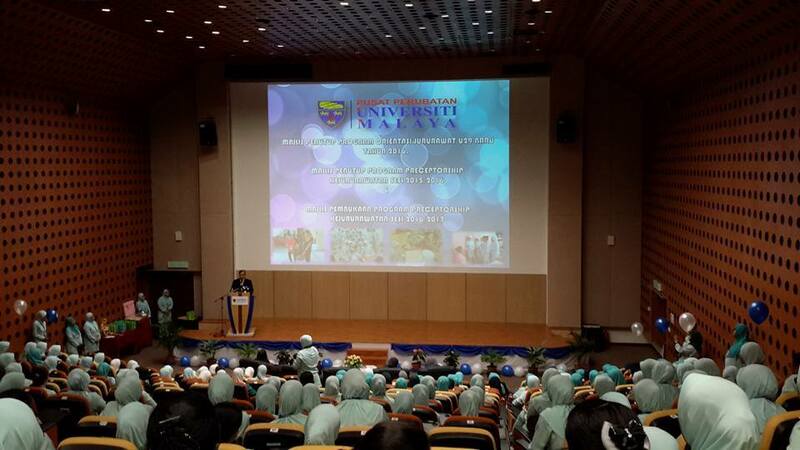 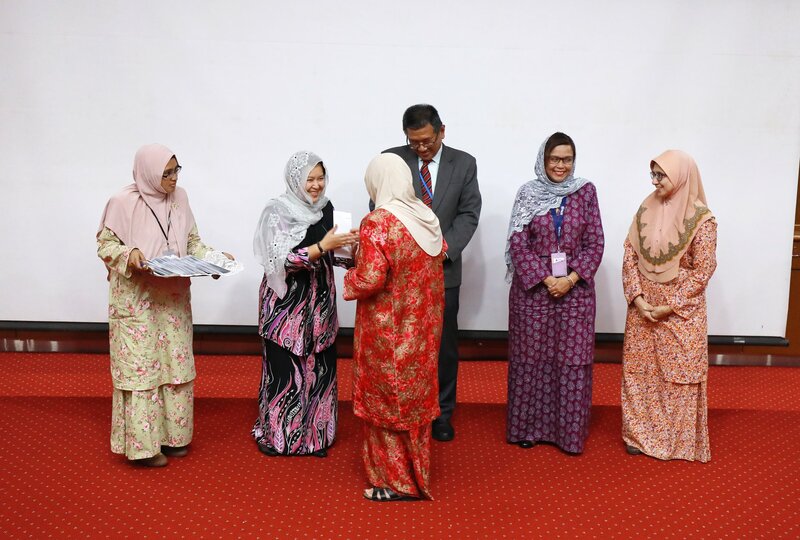 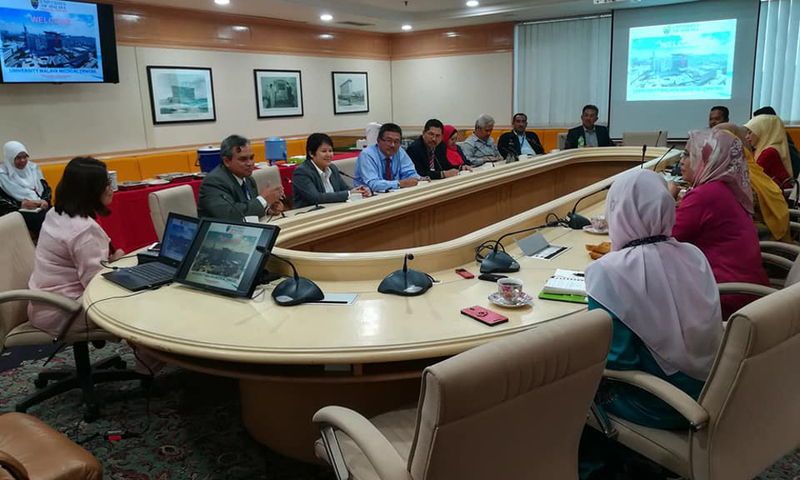 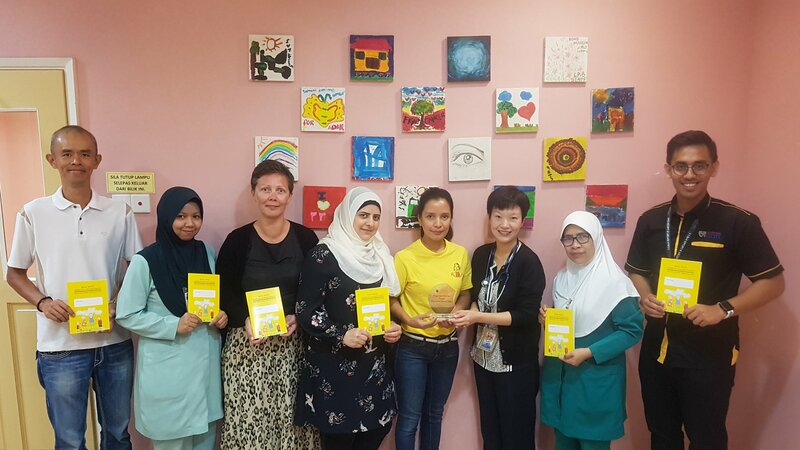 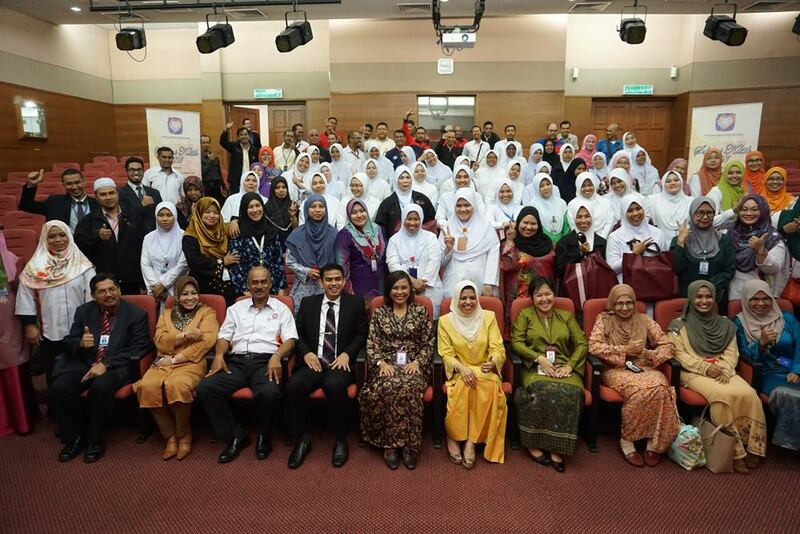 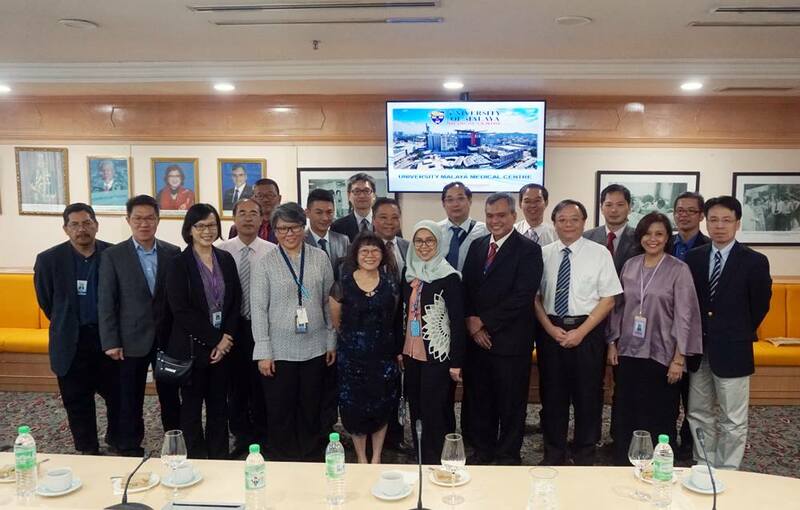 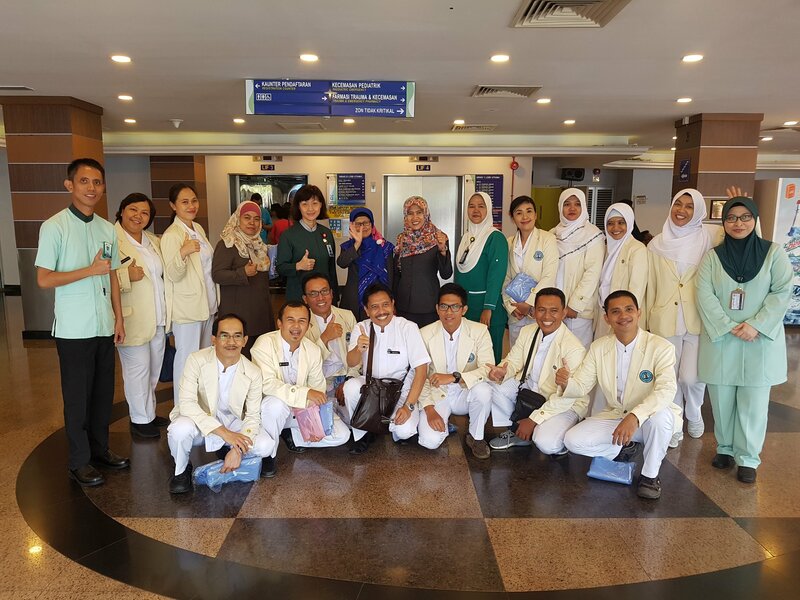 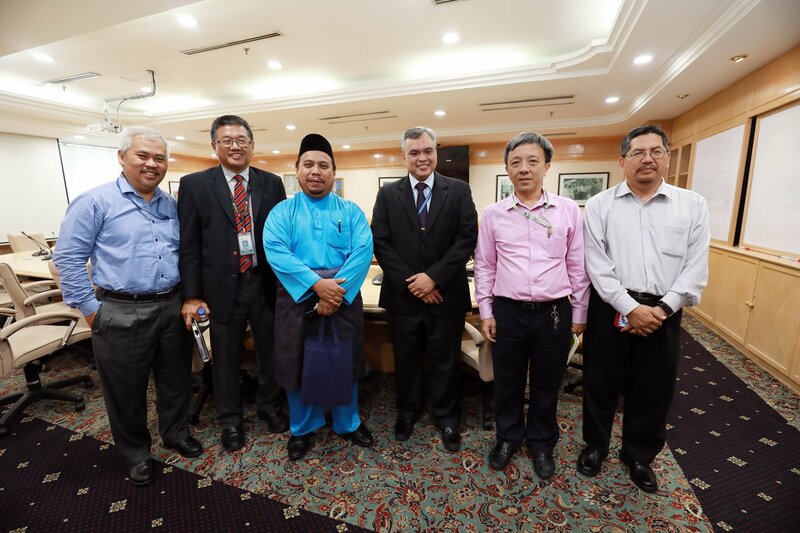 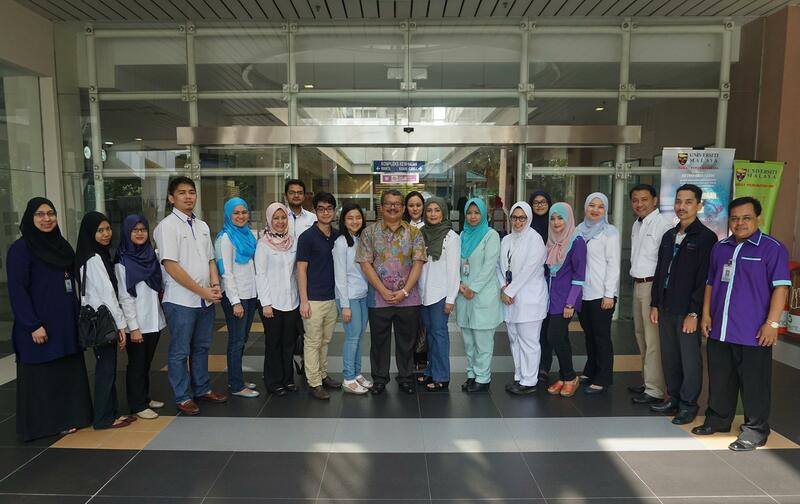 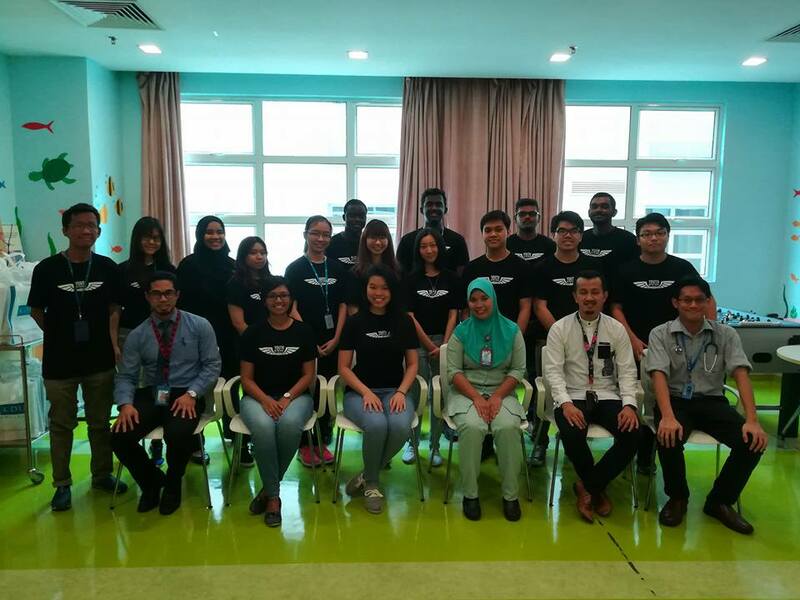 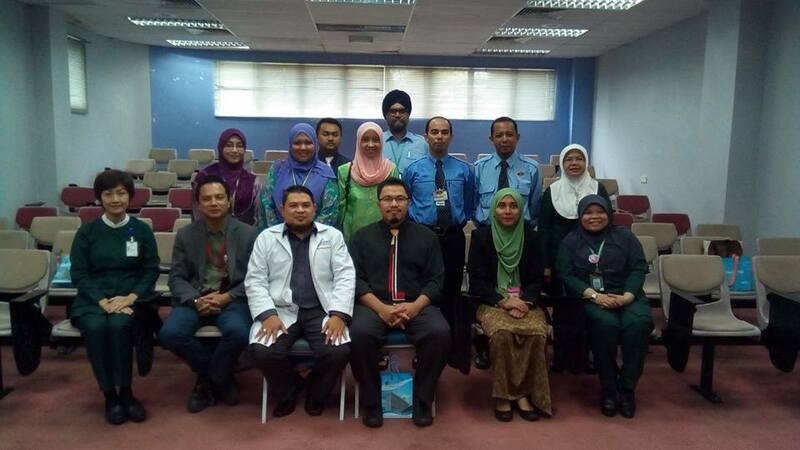 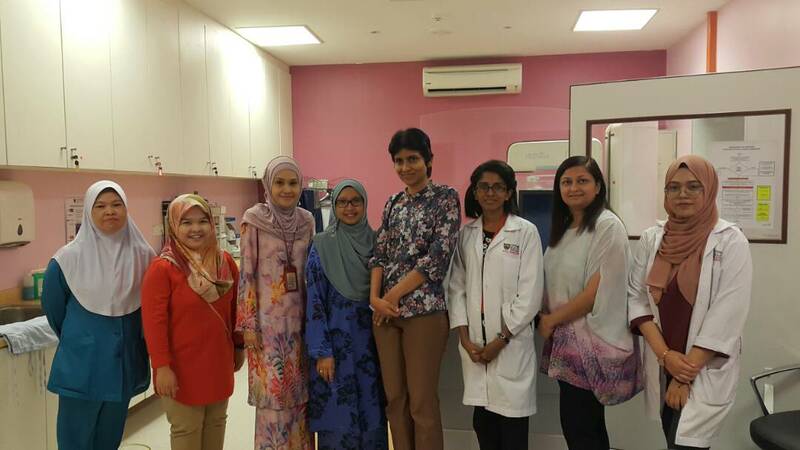 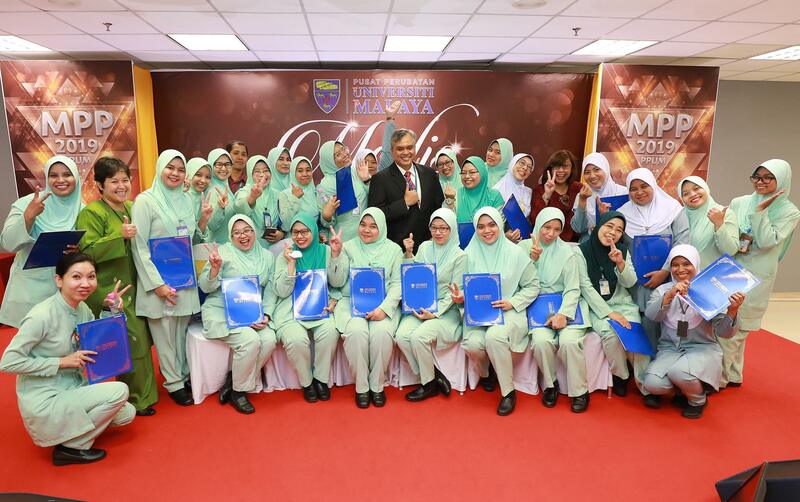 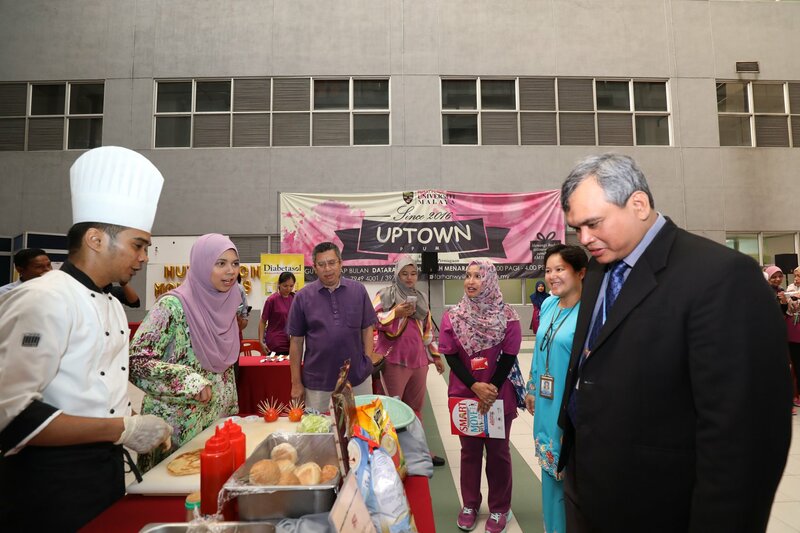 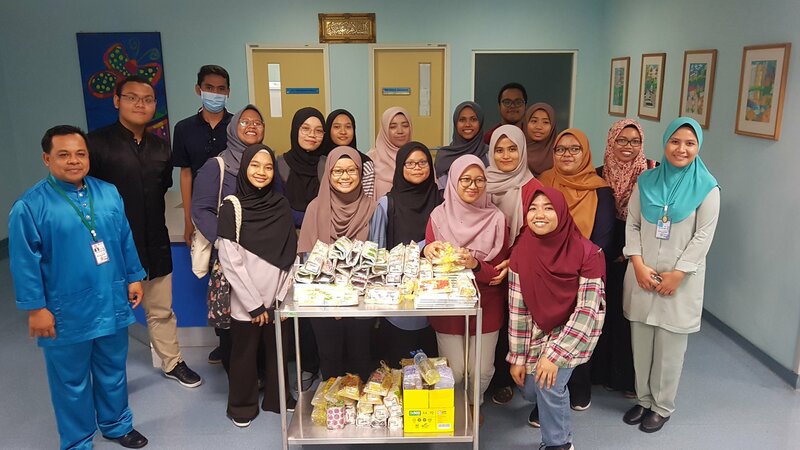 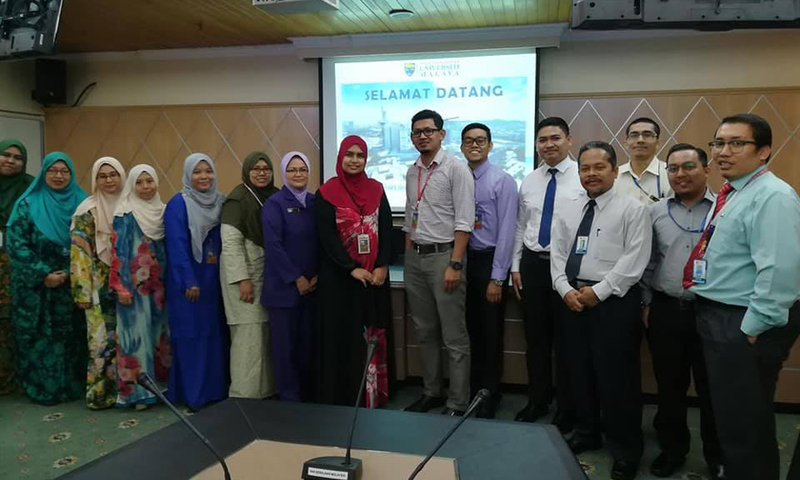 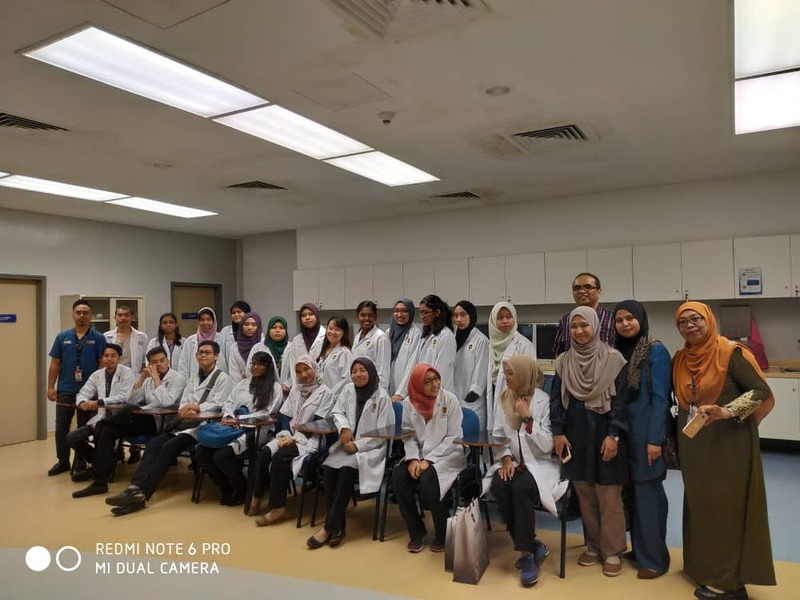 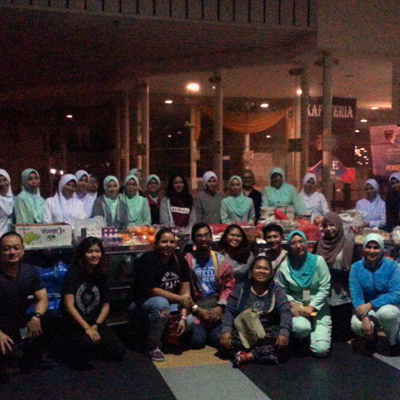 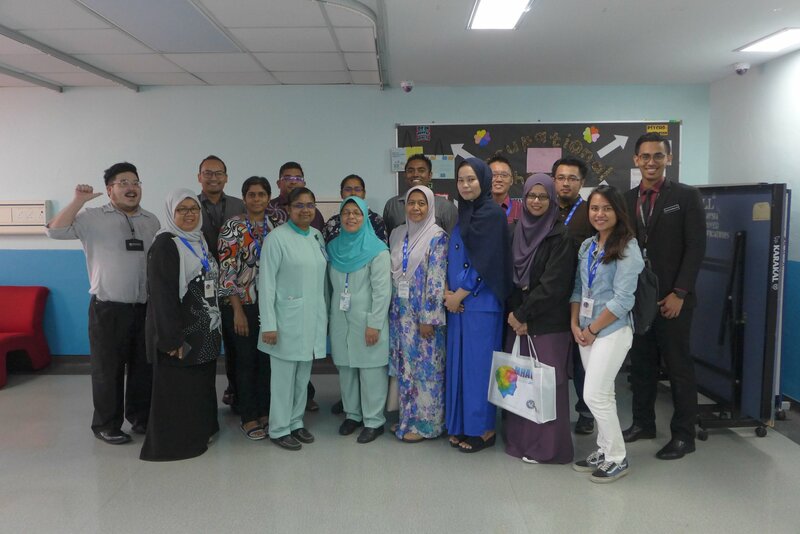 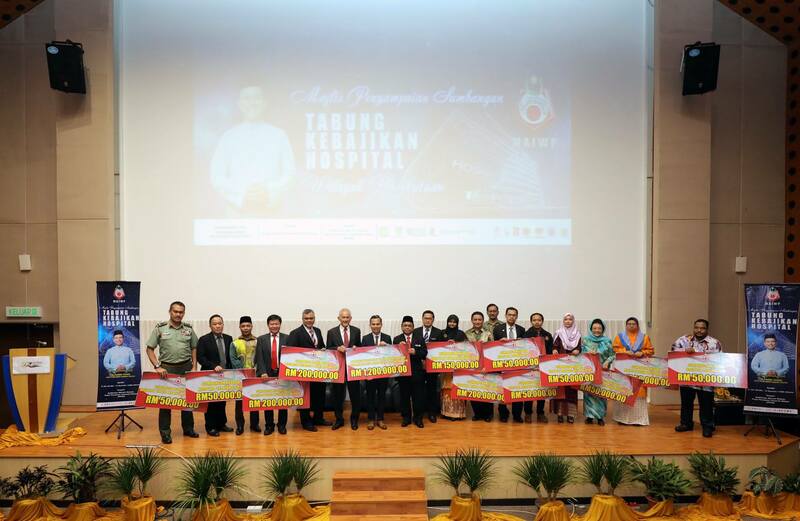 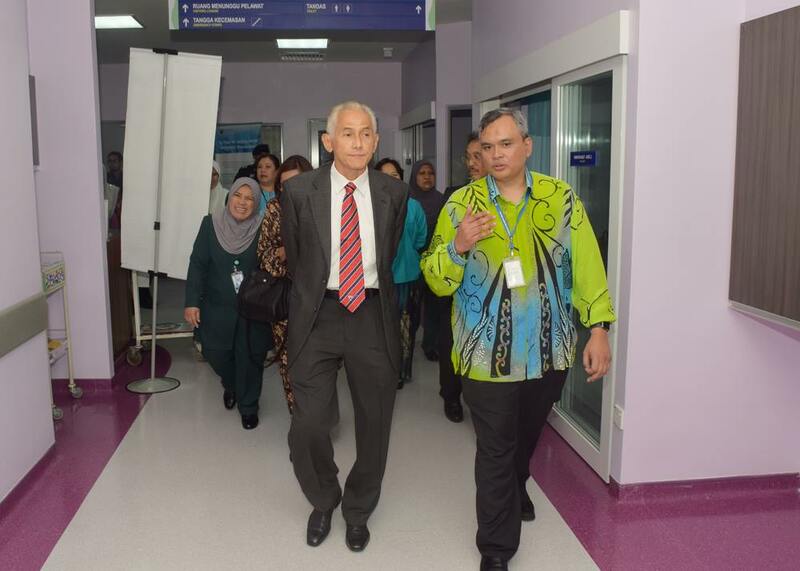 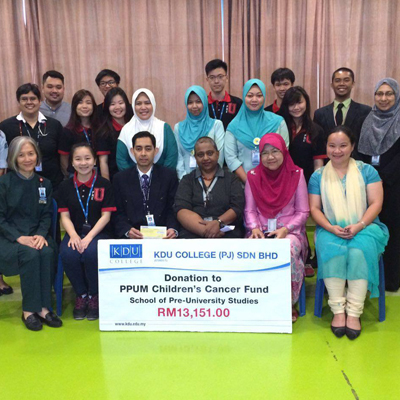 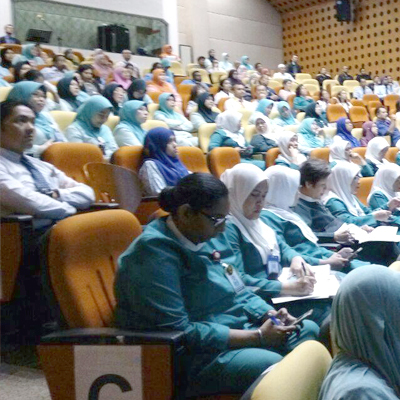 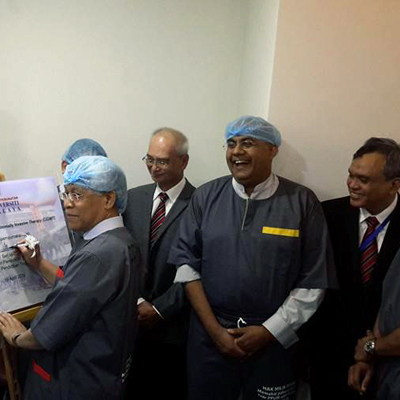 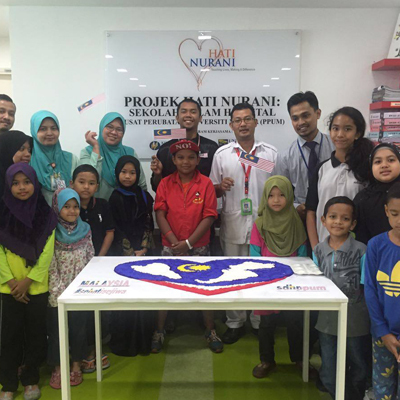 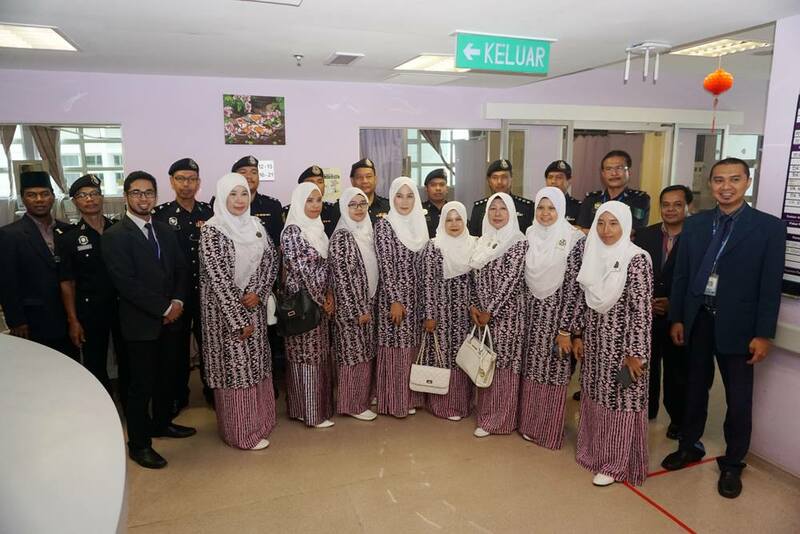 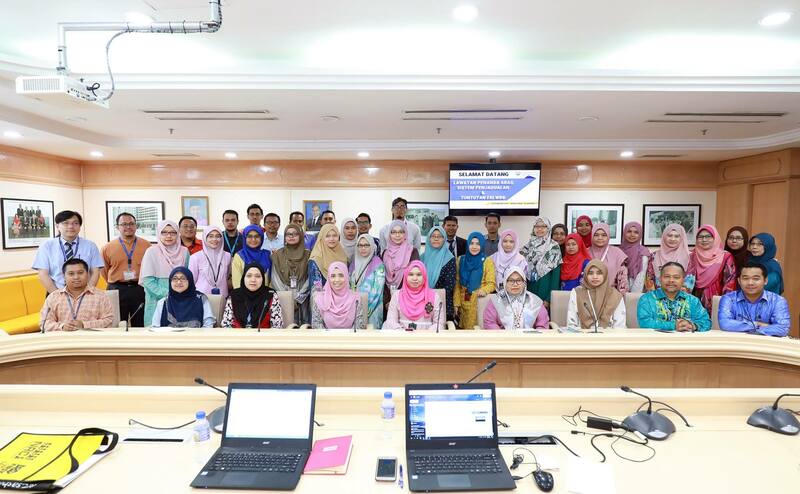 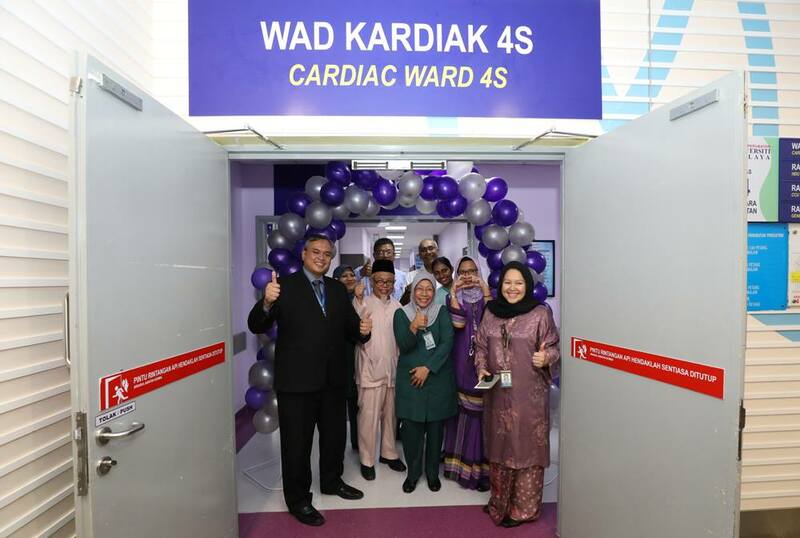 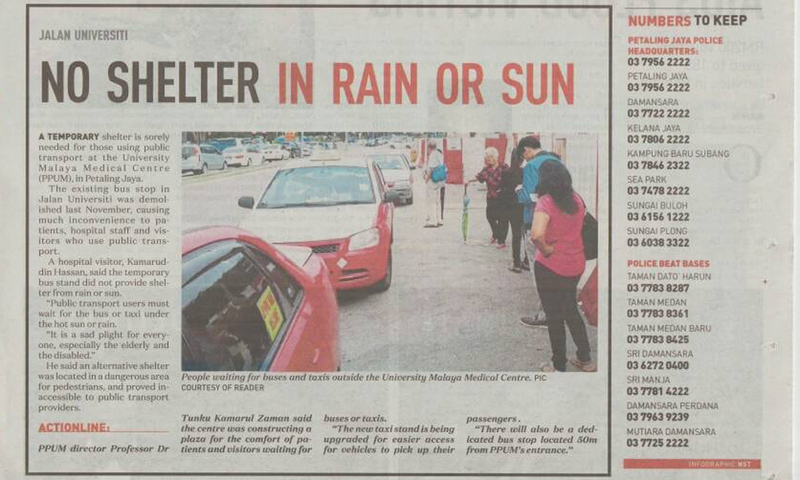 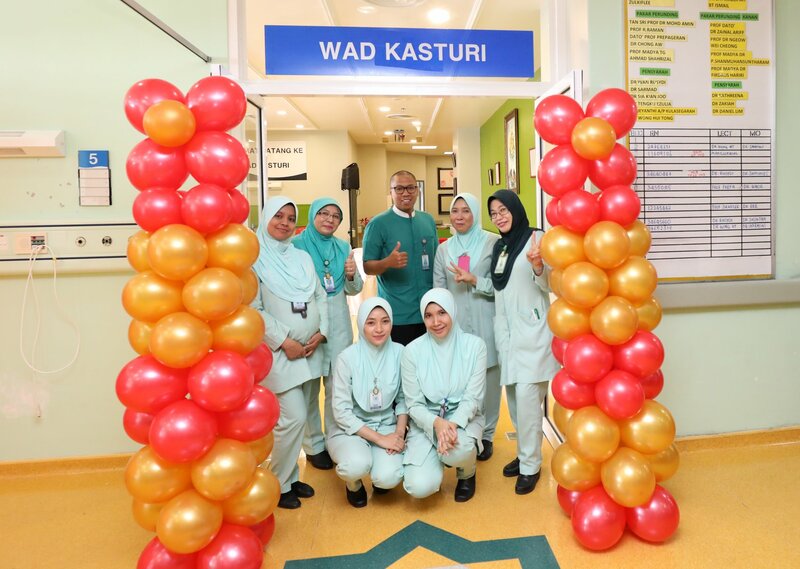 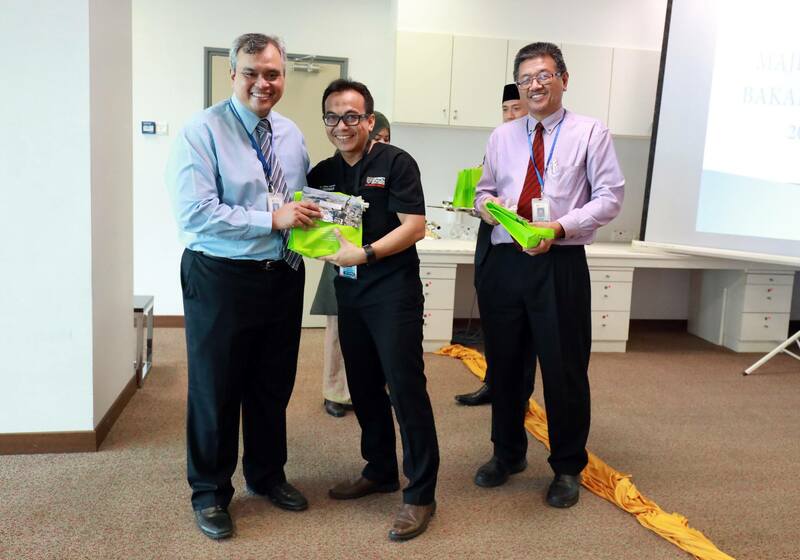 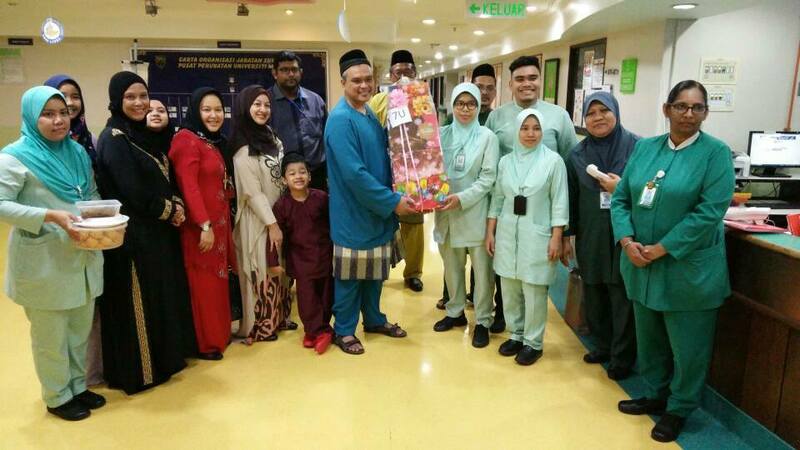 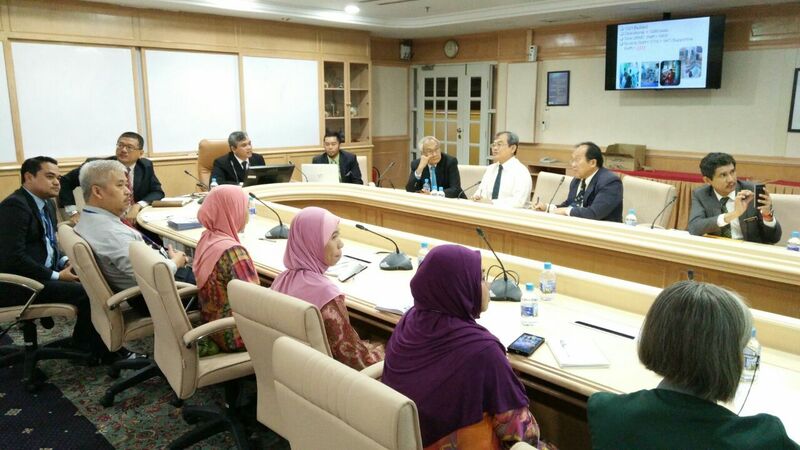 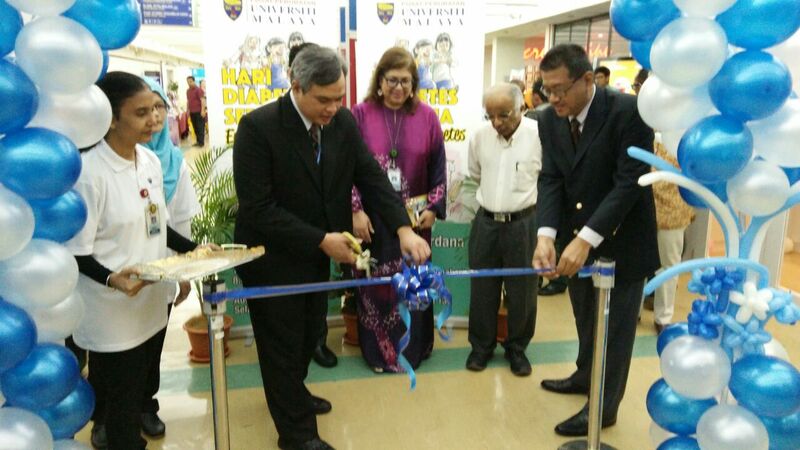 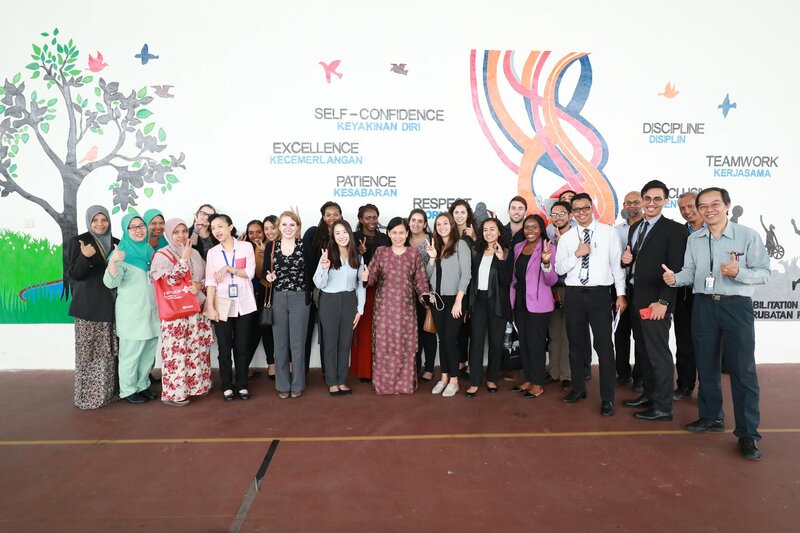 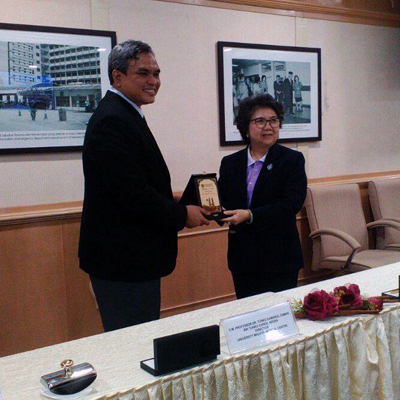 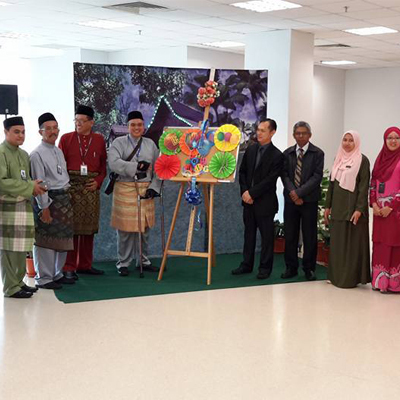 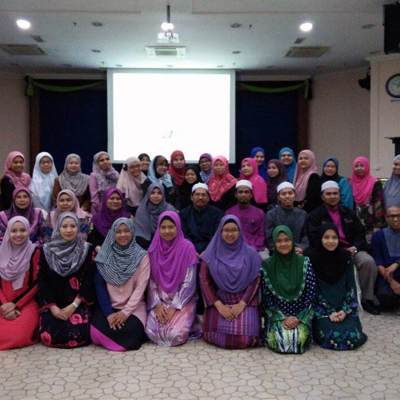 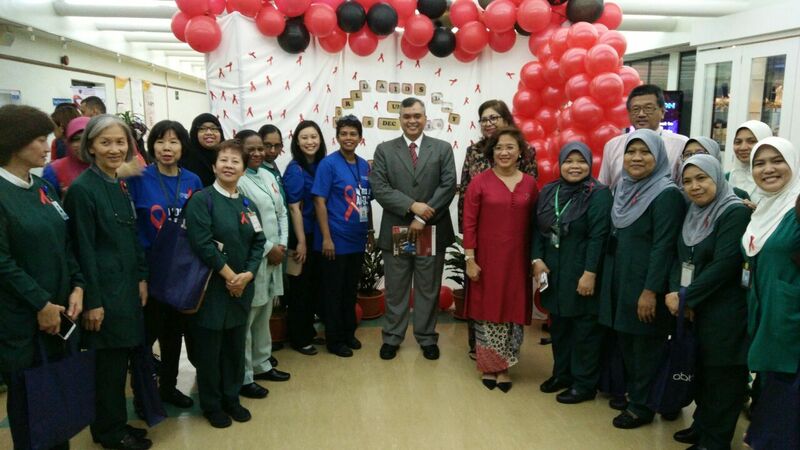 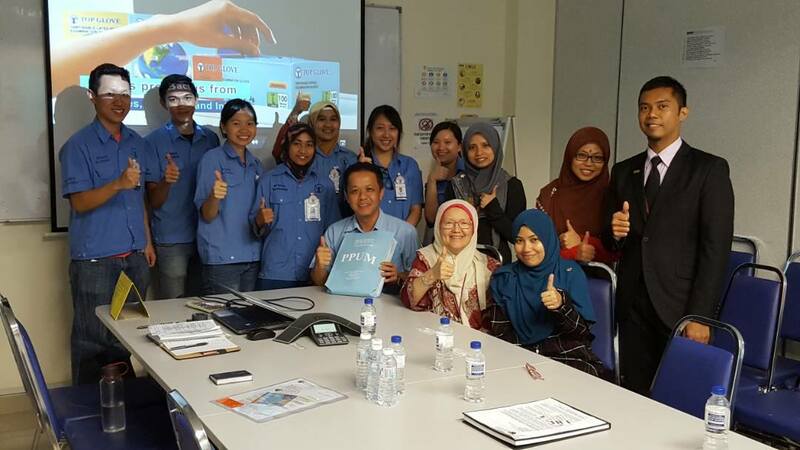 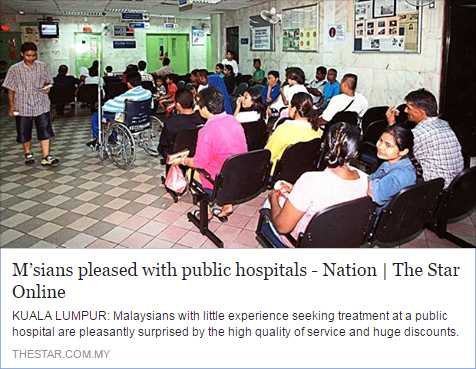 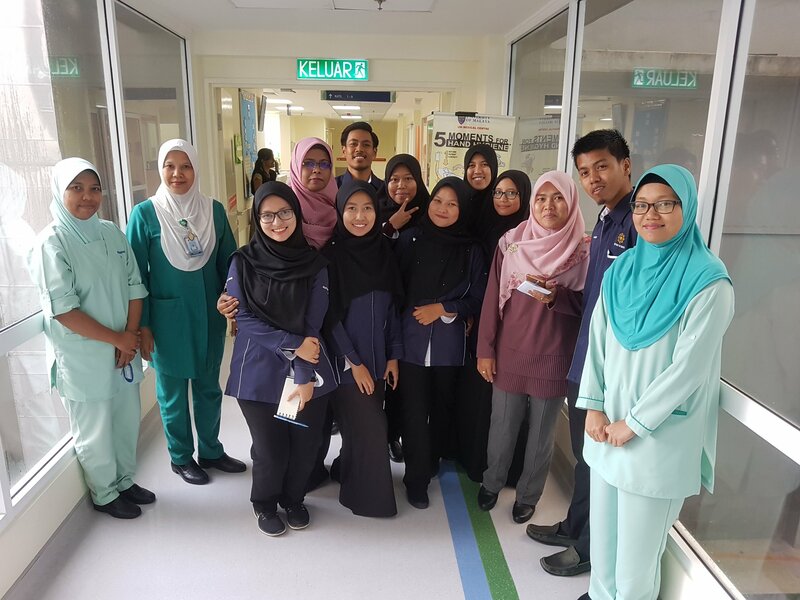 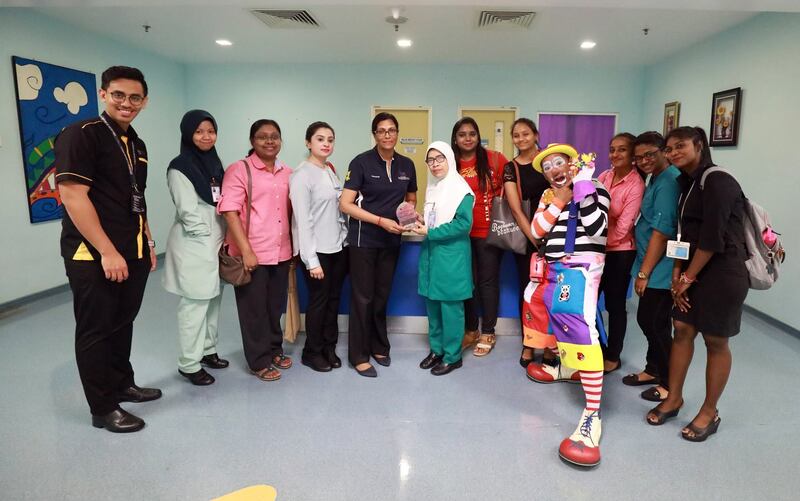 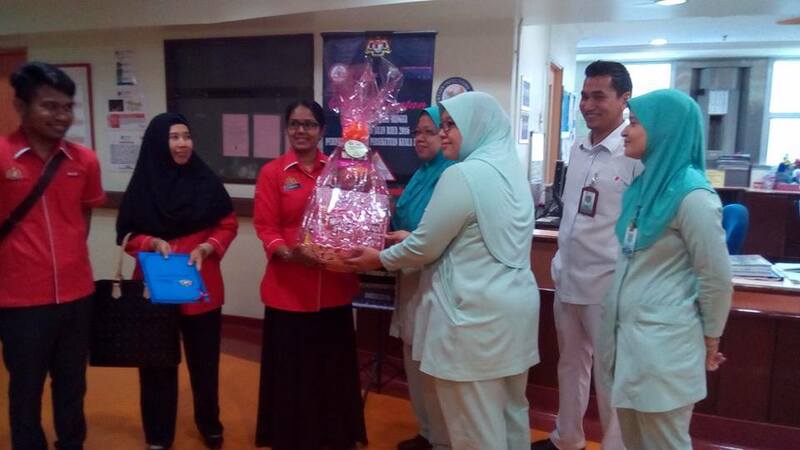 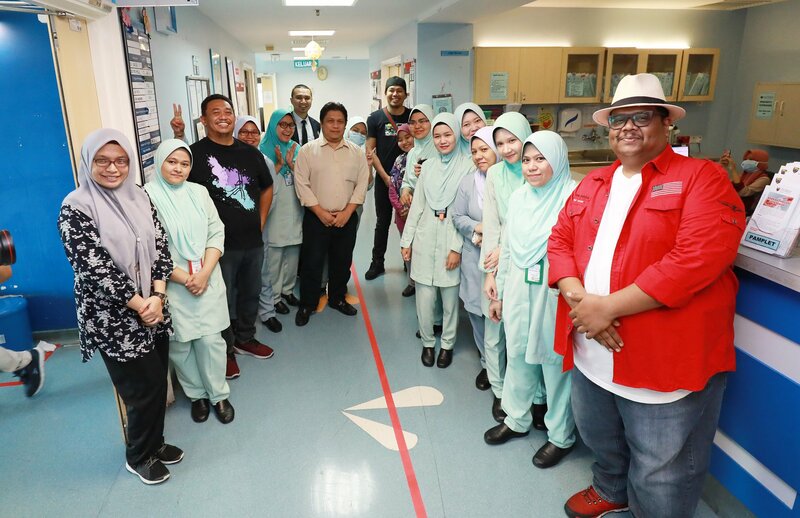 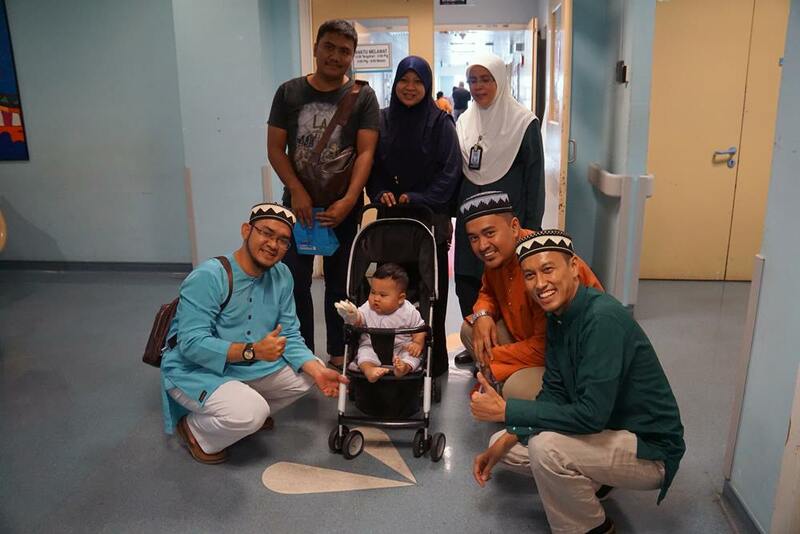 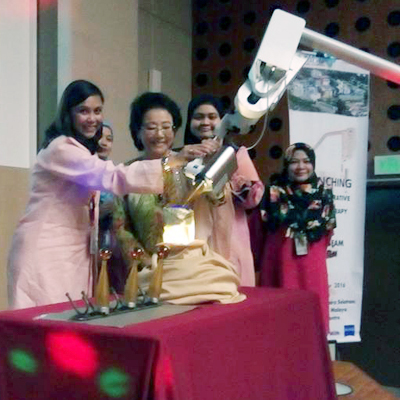 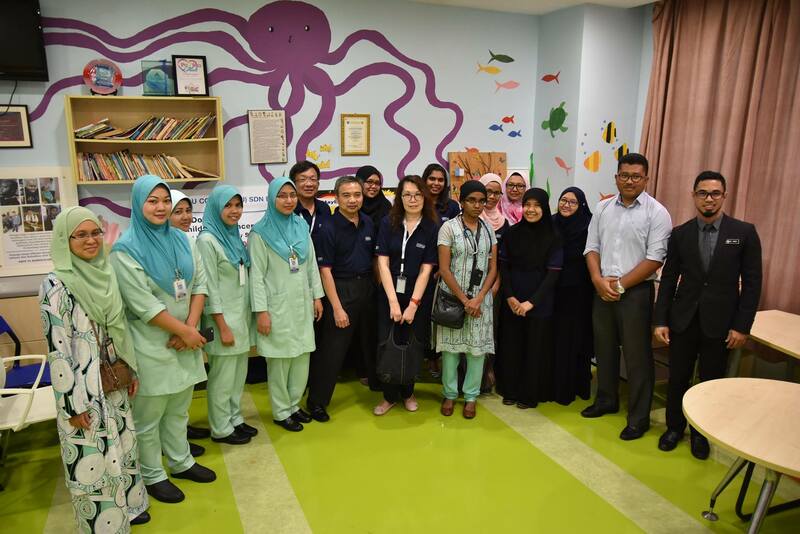 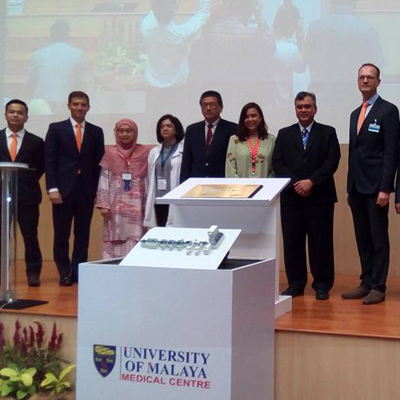 UMMC have received a visit from UNiSZA Terengganu, which currently building their own Teaching Hospital. 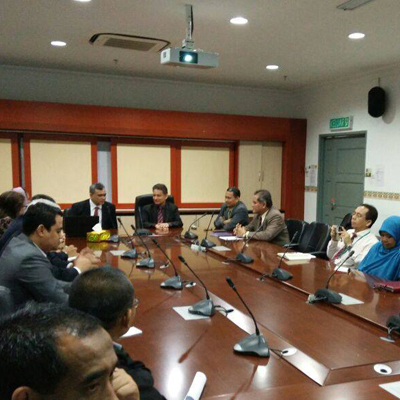 May this visit will give a valuable knowledge and experience to the committee. 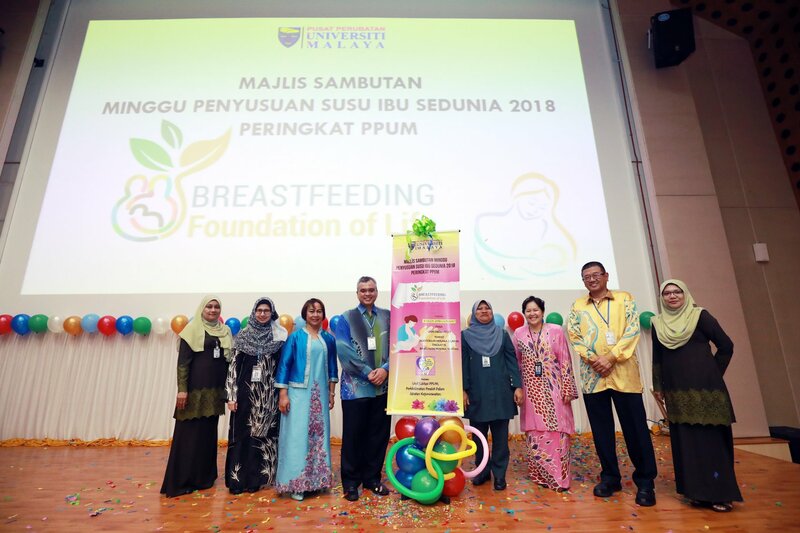 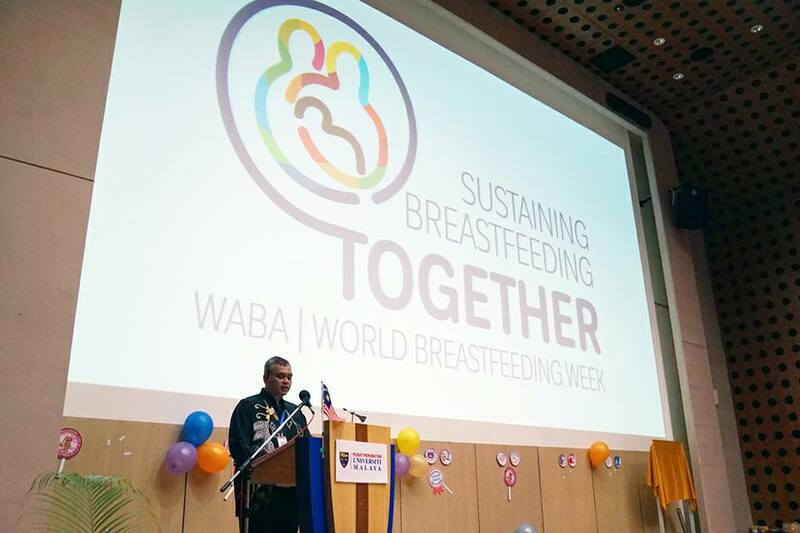 In conjunction with world Breastfeeding week, UMMC''s lactations unit have organized UMMC Breastfeeding Week on 3rd August 2017 with theme Sustaining Breastfeeding Together. 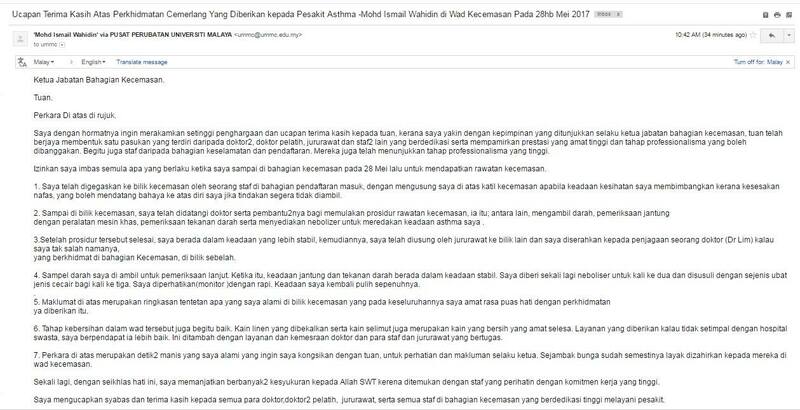 MAJLIS PENYAMPAIAN SUMBANGAN AIDILFITRI KEPADA ASNAF MAIWP TAHUN 2017M/1438H. 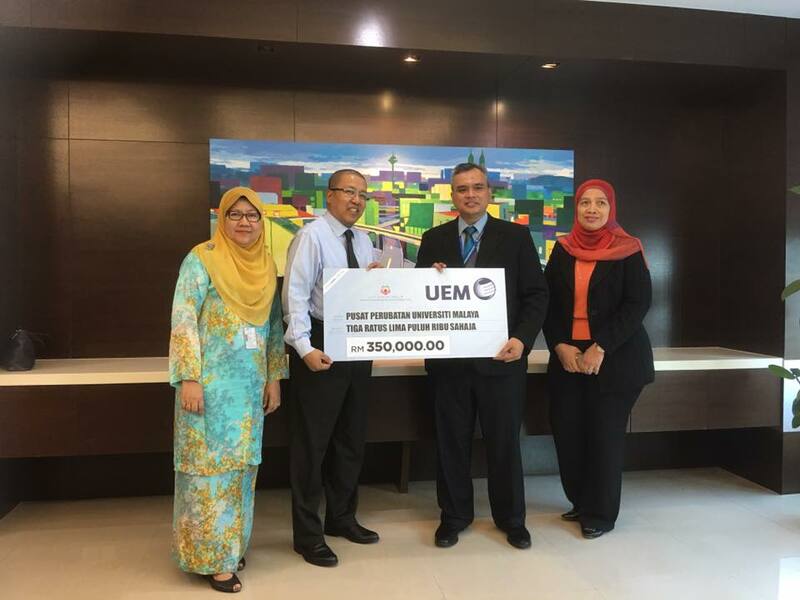 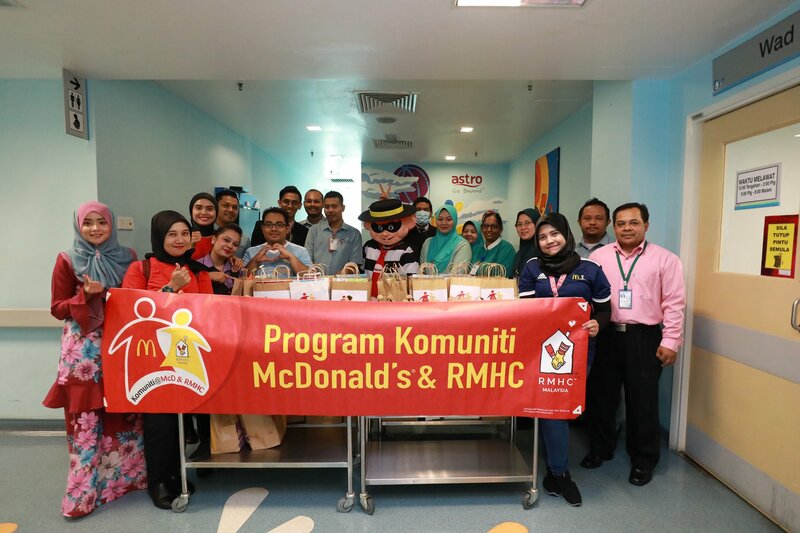 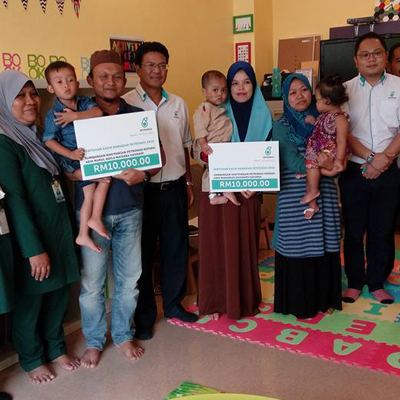 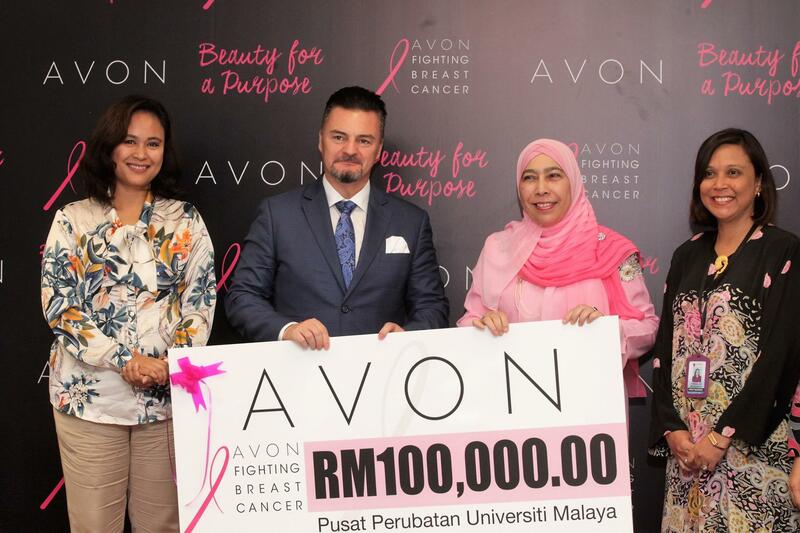 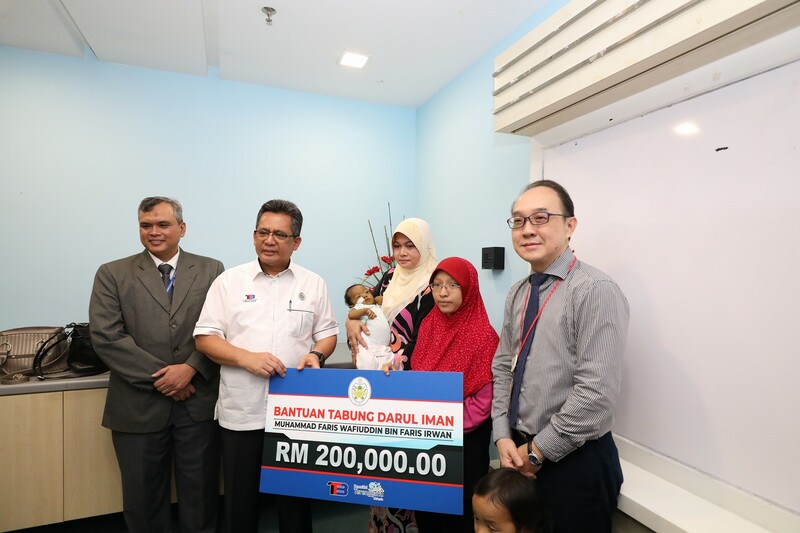 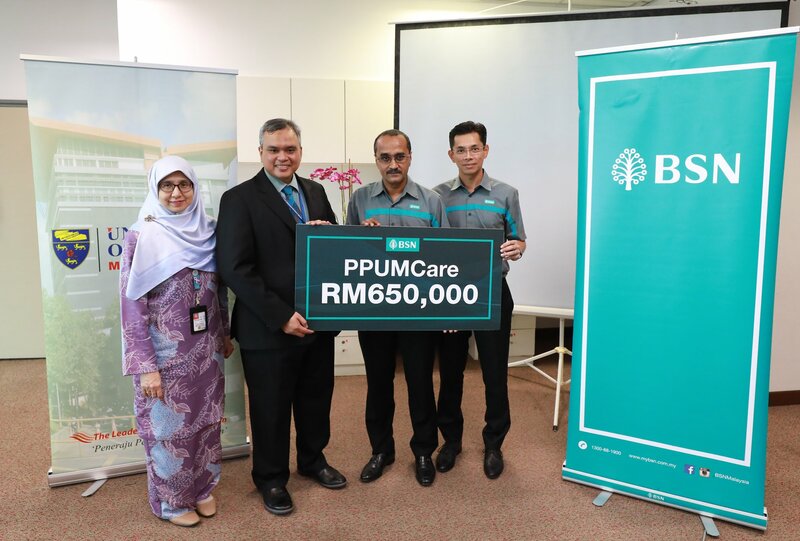 UMMC would like to thank UEM in their continuous support for our underprivileged patients by providing a donation this year of RM 350,000. 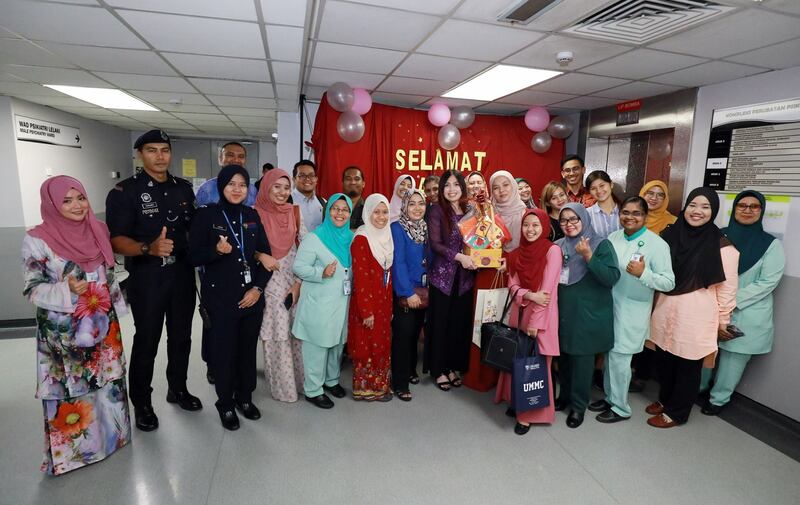 The UMMC Management team would like to congratulate and thank all the staff that has been contributing sincerely in serving the patients. 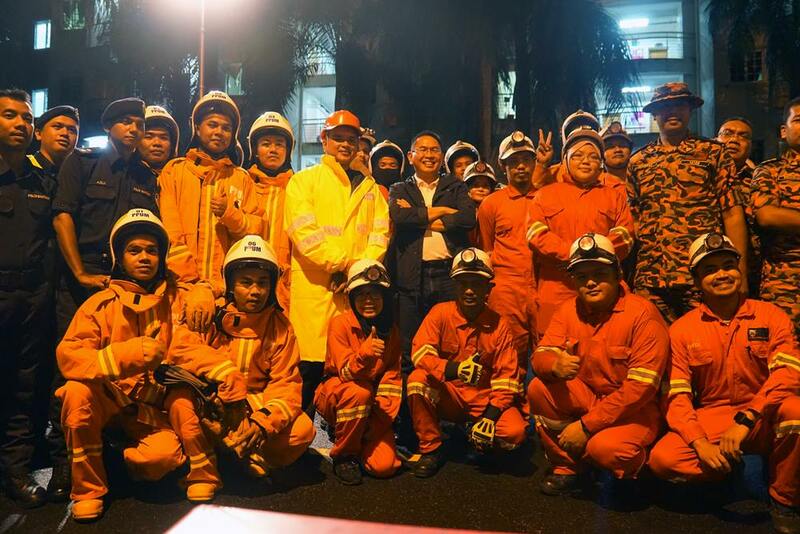 Keep up the good work and spirit in serving the nation. 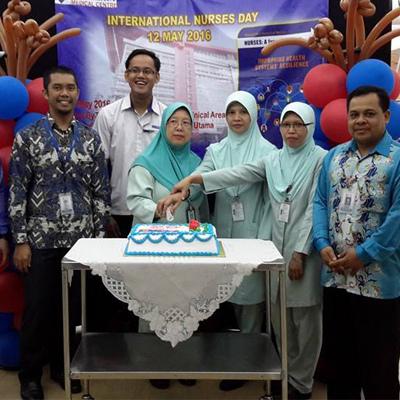 Happy Nurses Day 2017 to all awesome nurses all around the globe. 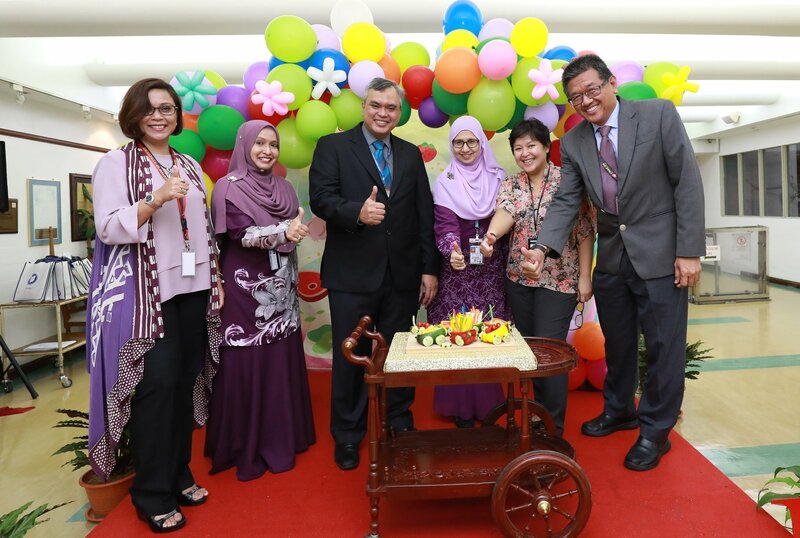 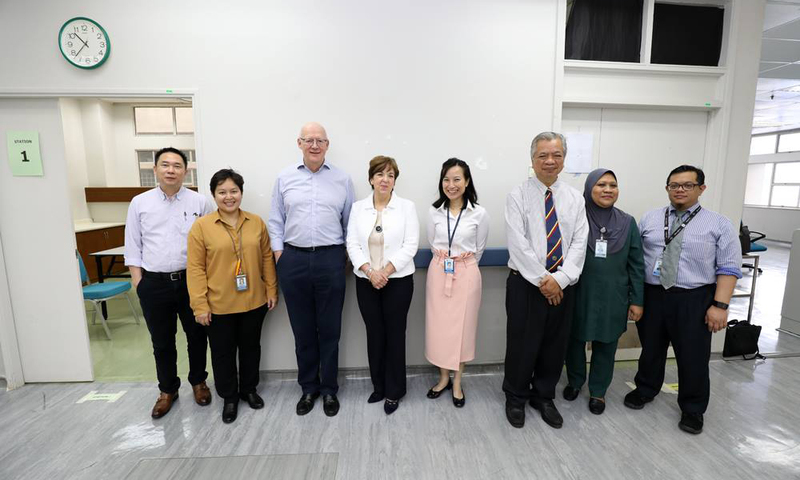 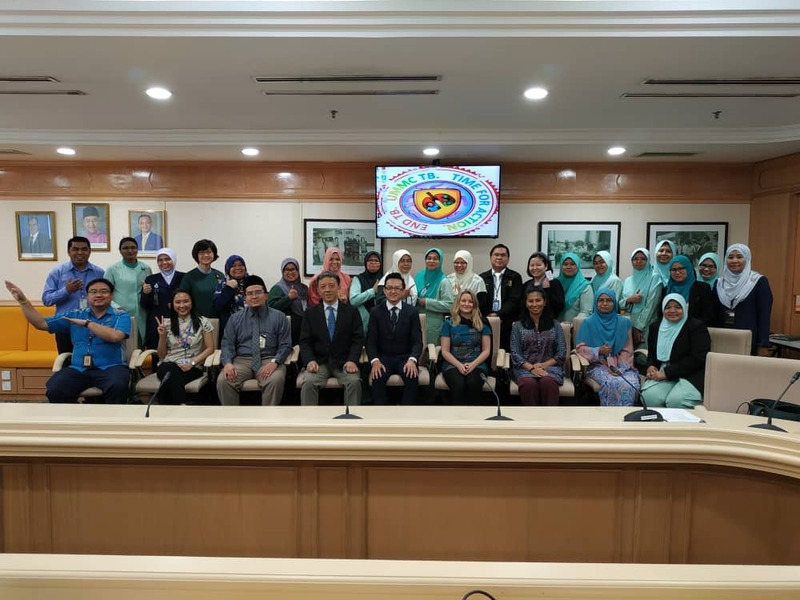 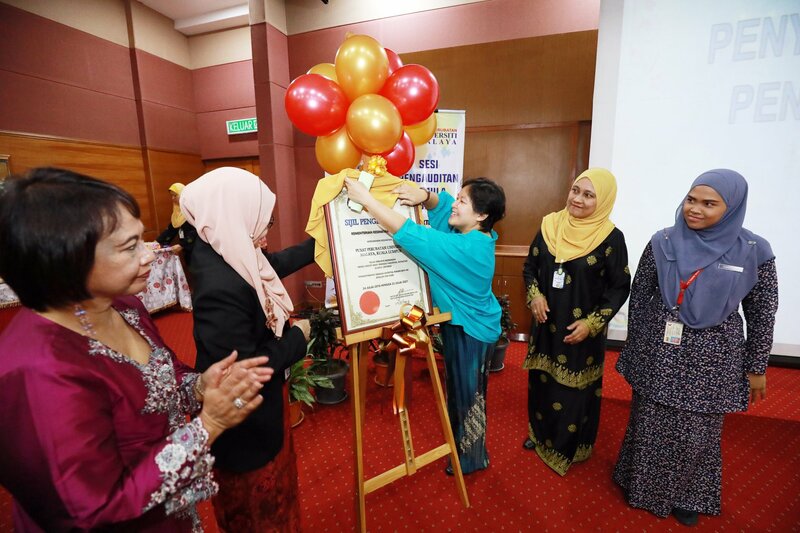 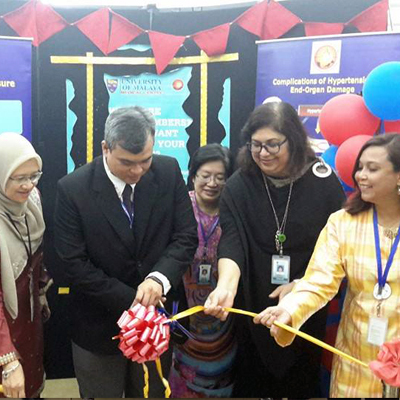 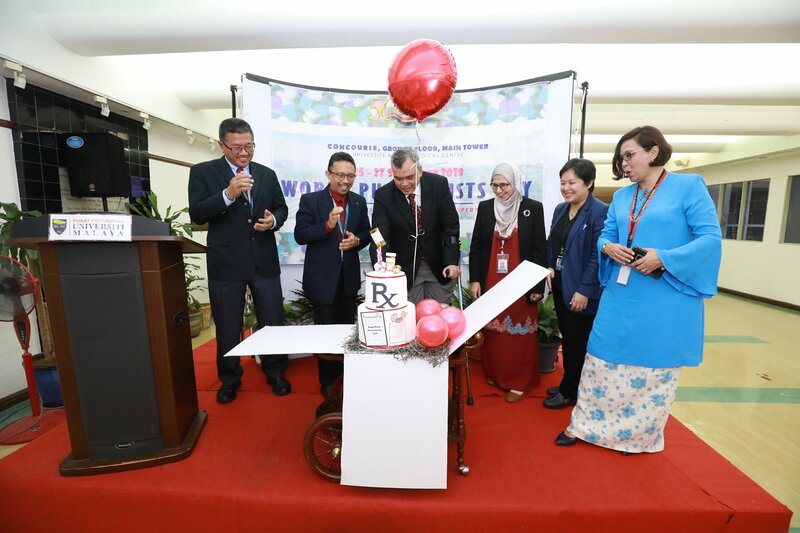 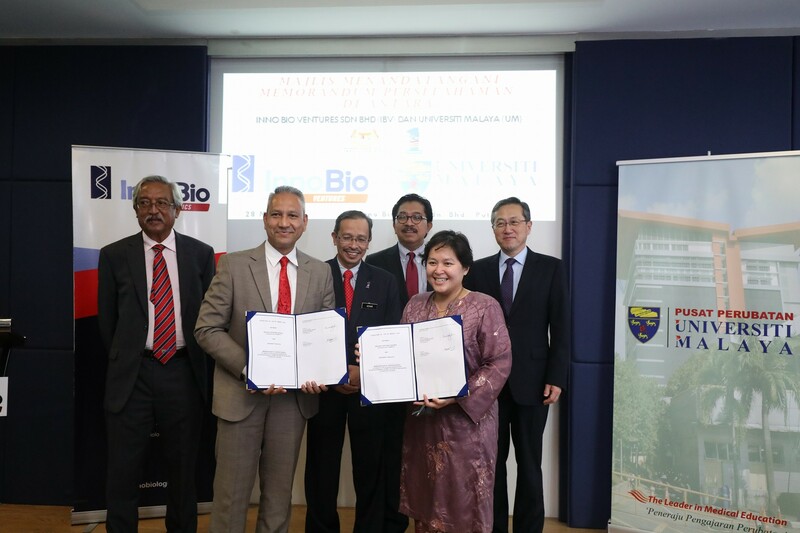 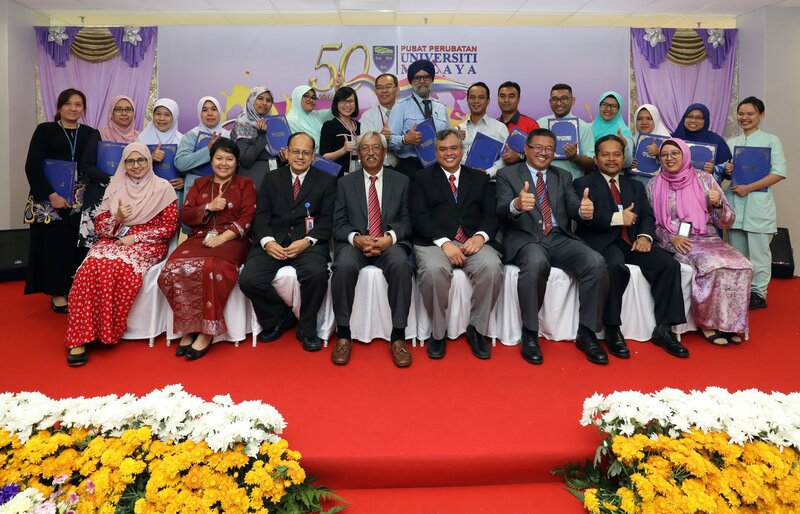 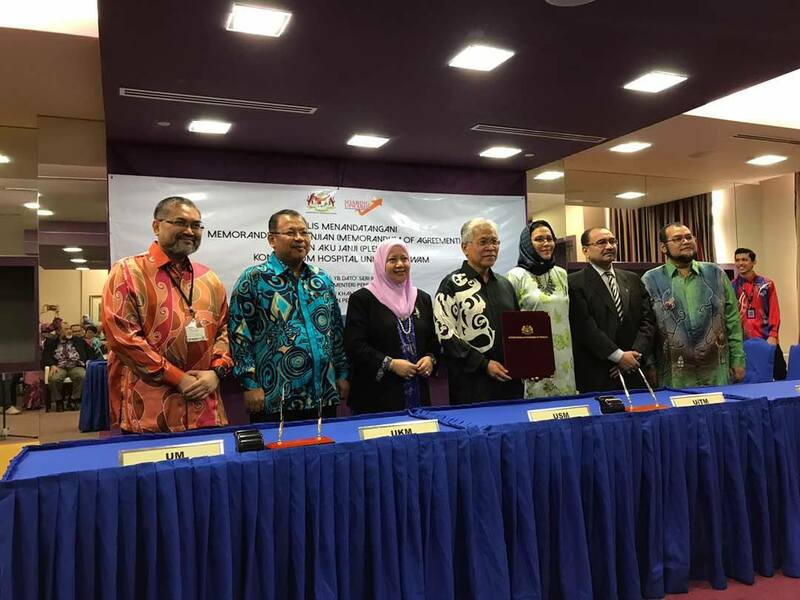 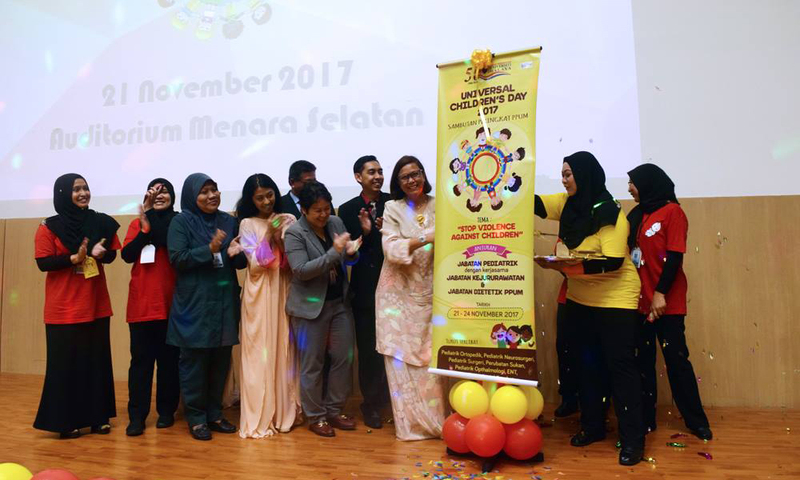 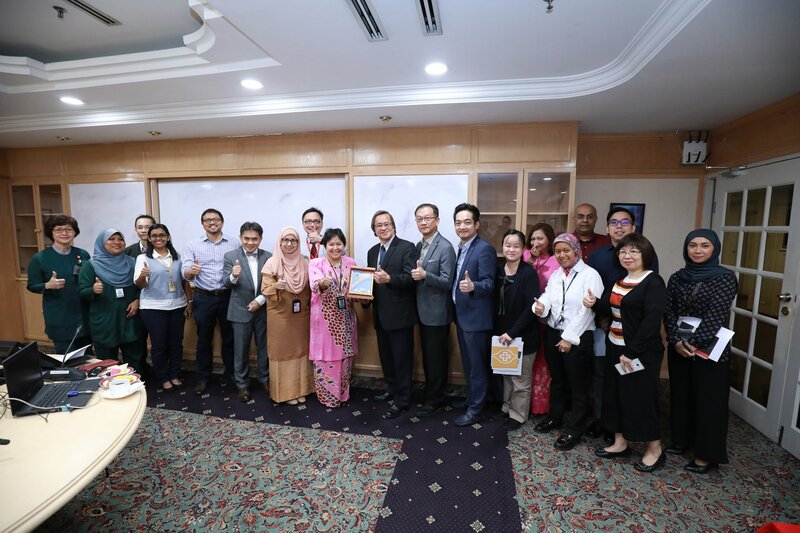 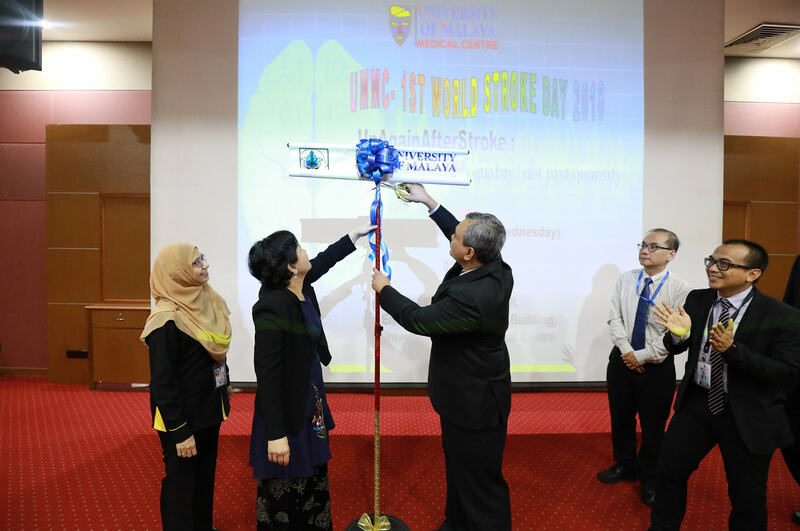 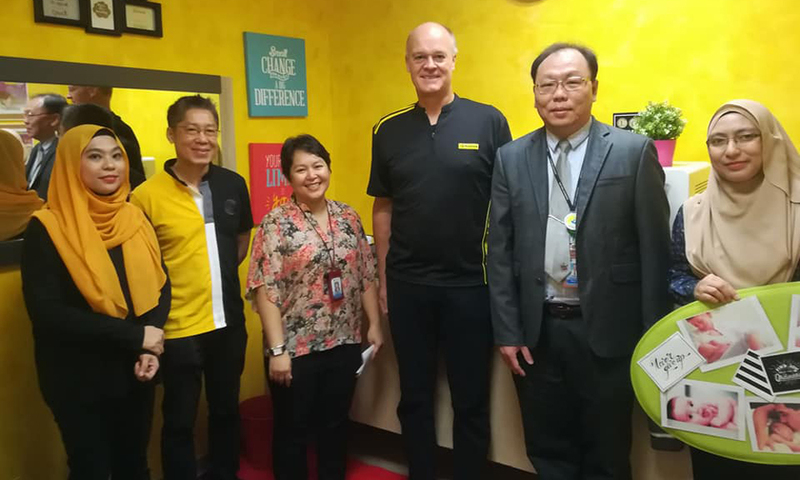 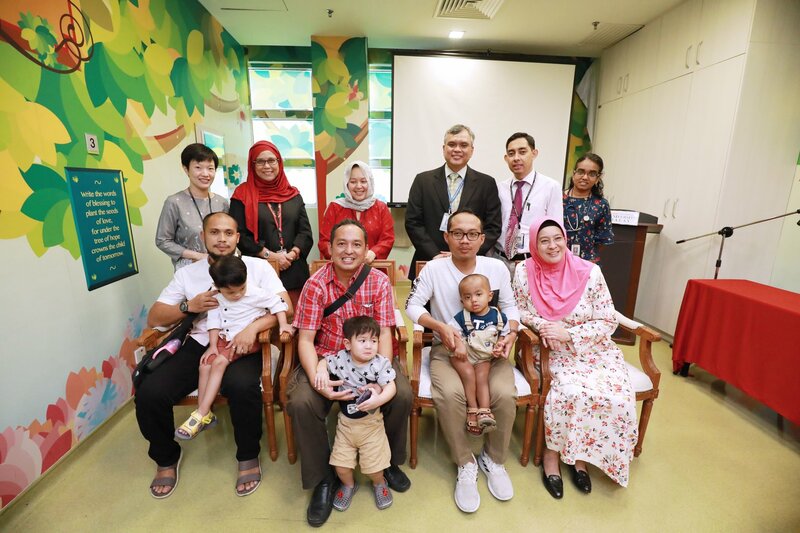 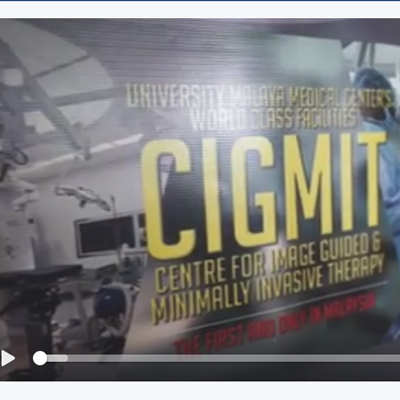 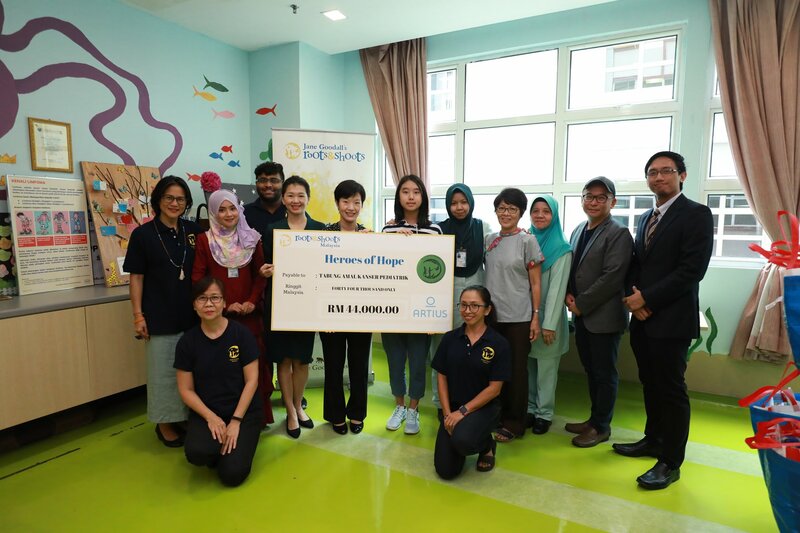 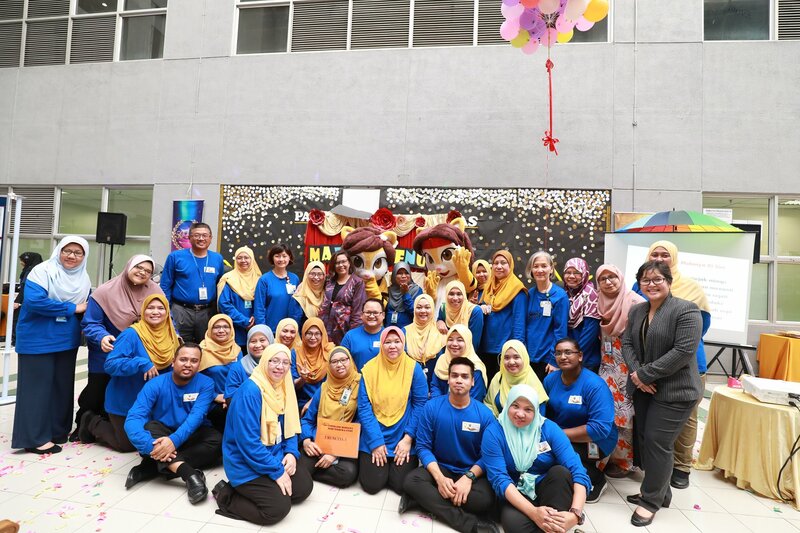 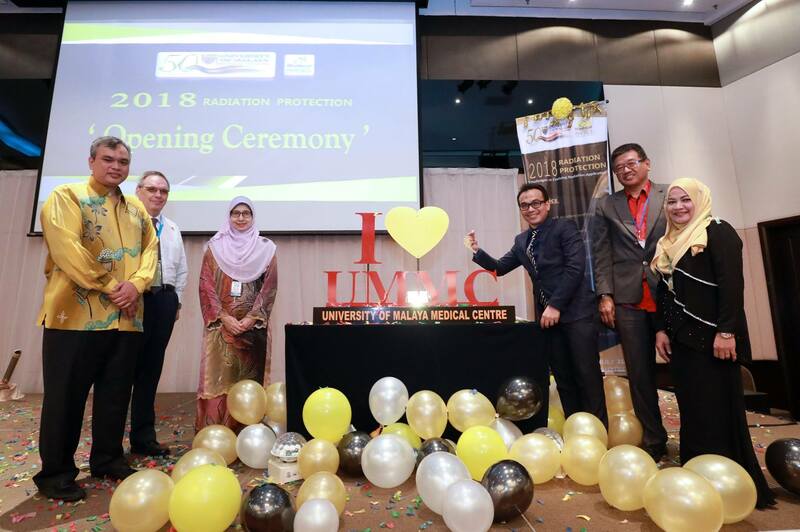 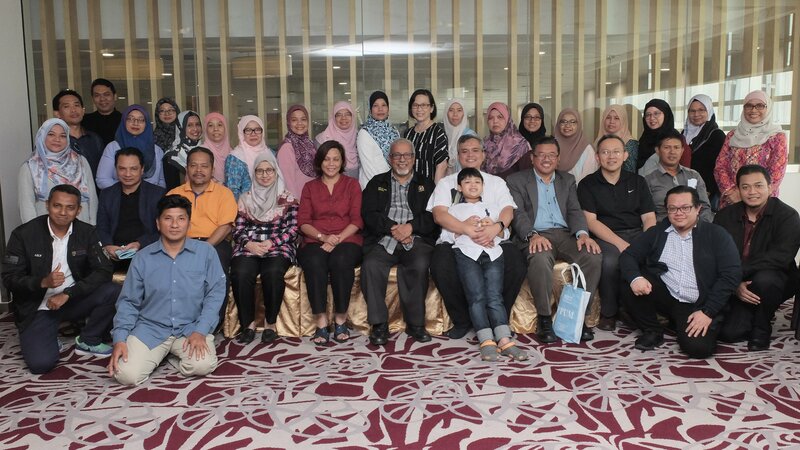 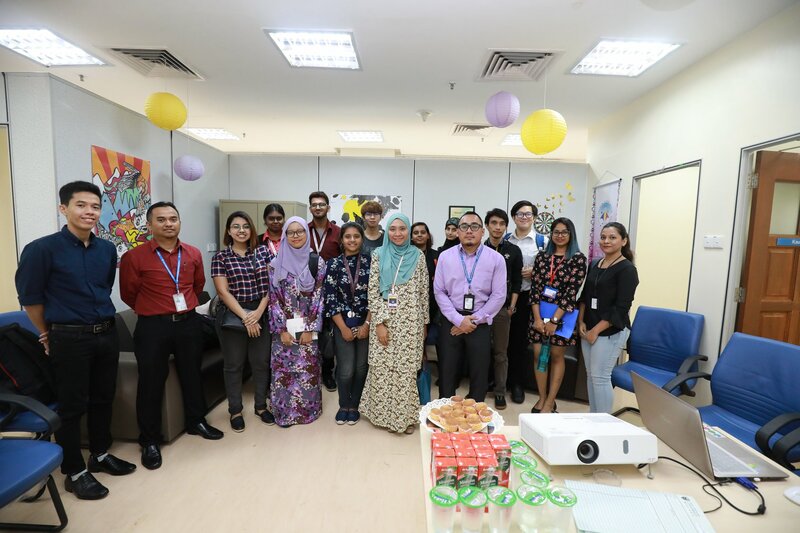 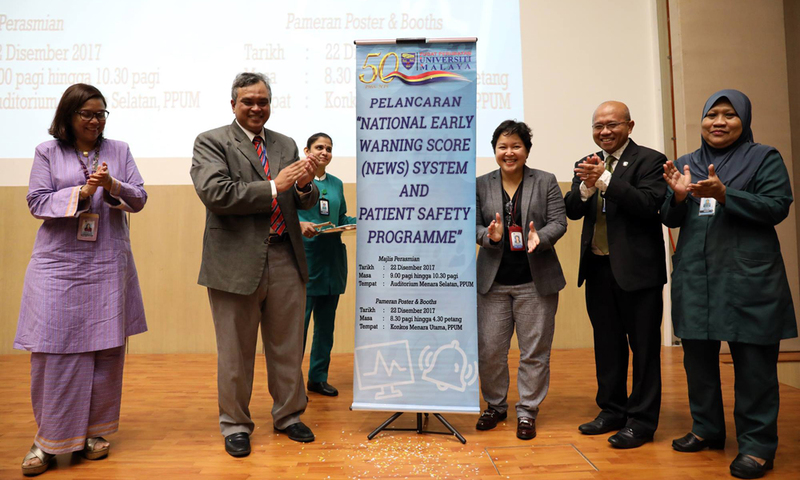 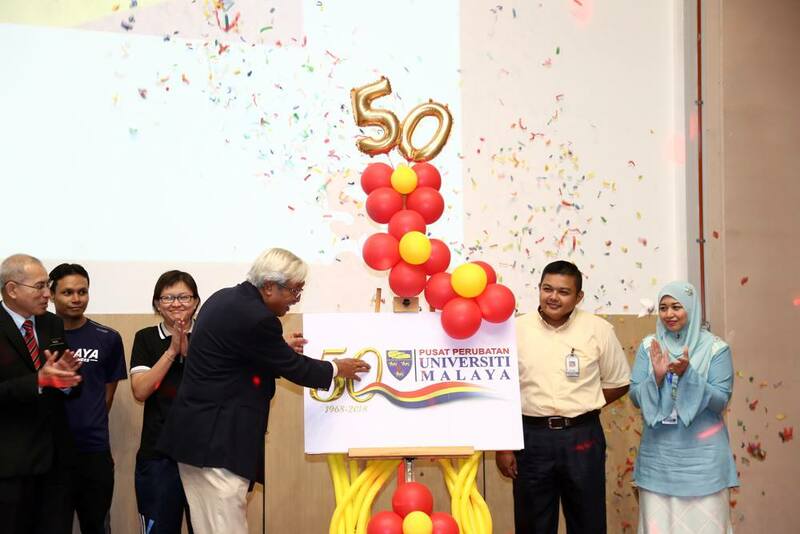 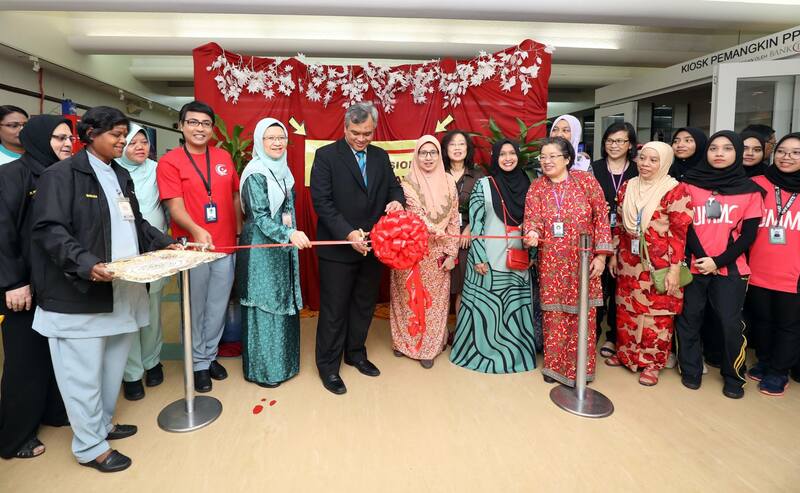 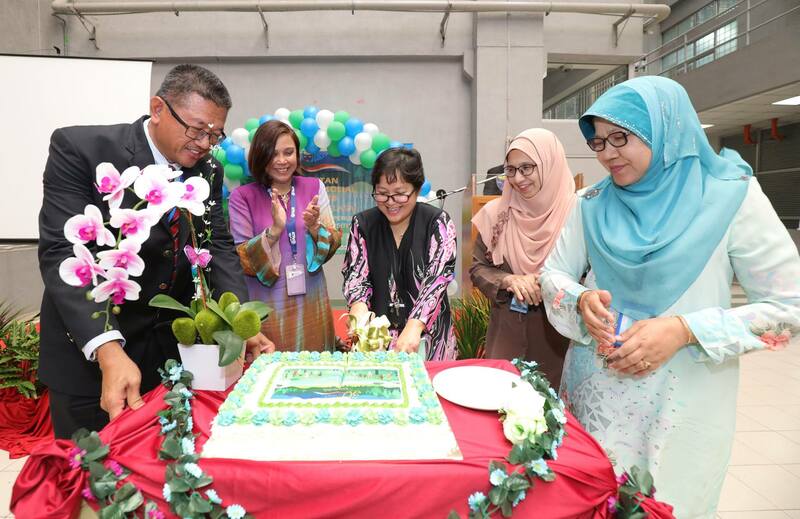 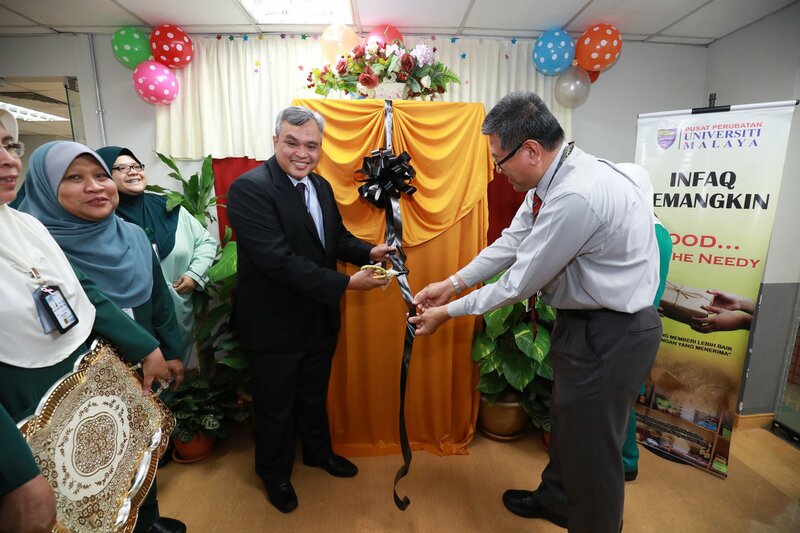 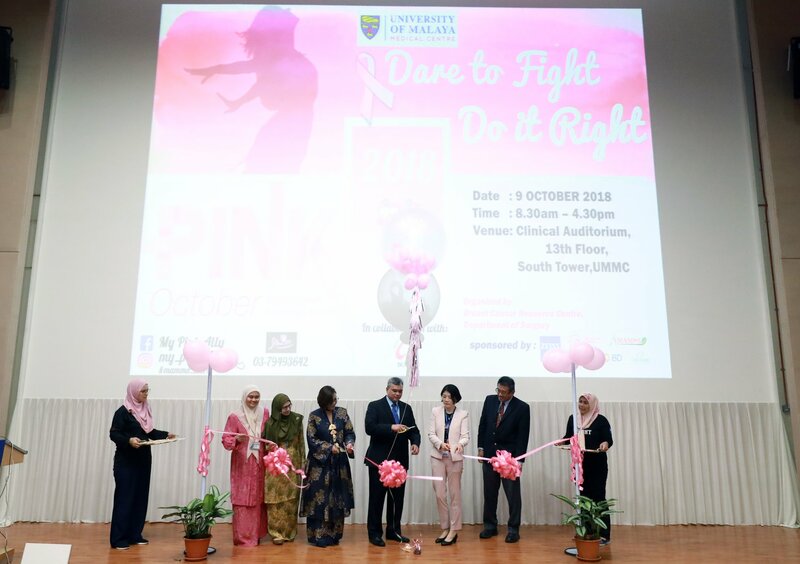 First Anniversary of BMT Haplo-Identical Celebration, And MoU Signing Between University of Malaya Medical Centre (UMMC) and Childhood Cancer Foundation (CCF). 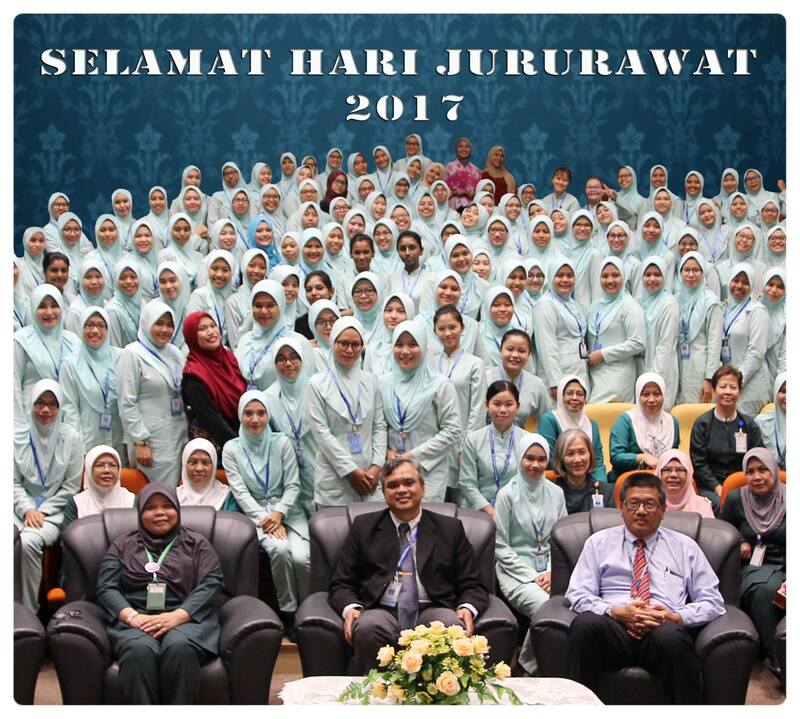 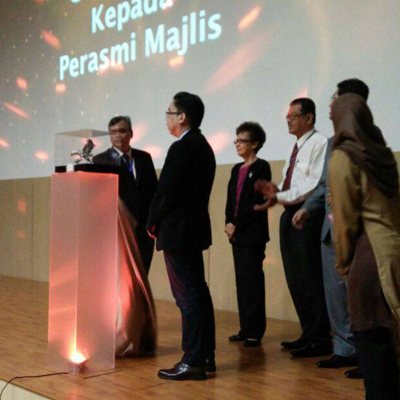 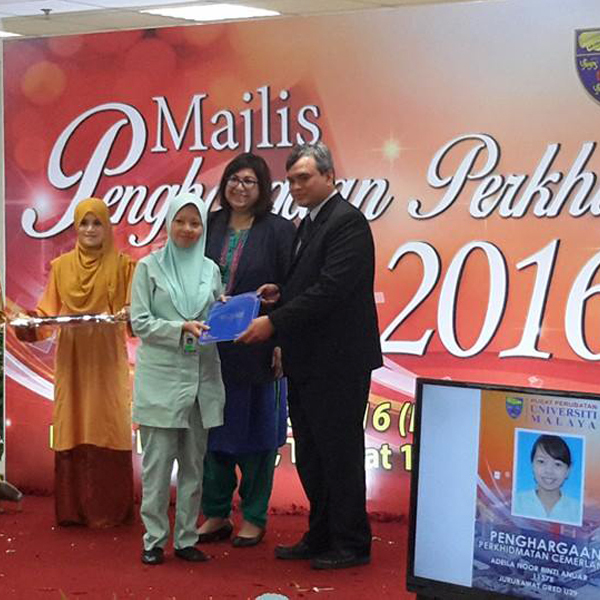 Congratulations to all staff that received Anugerah Perkhidmatan Cemerlang 2017. 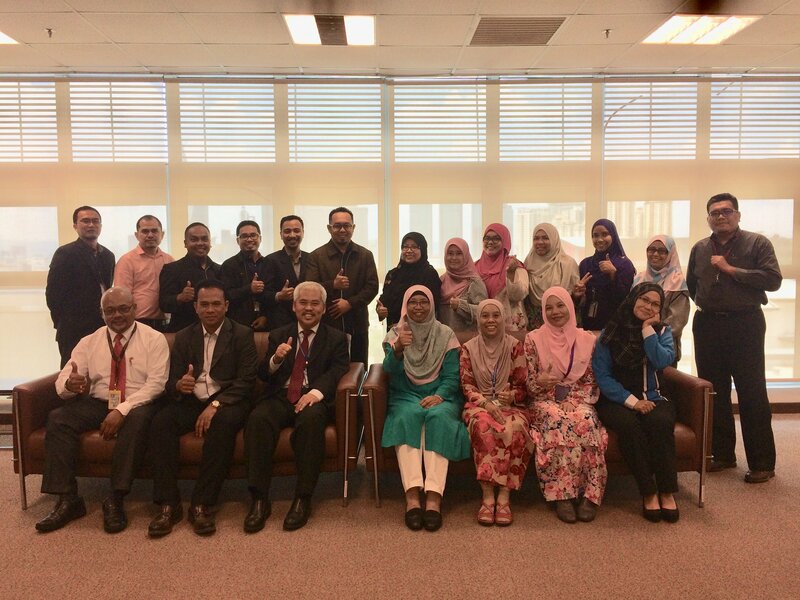 Keep up the positive vibes and your excellence services. 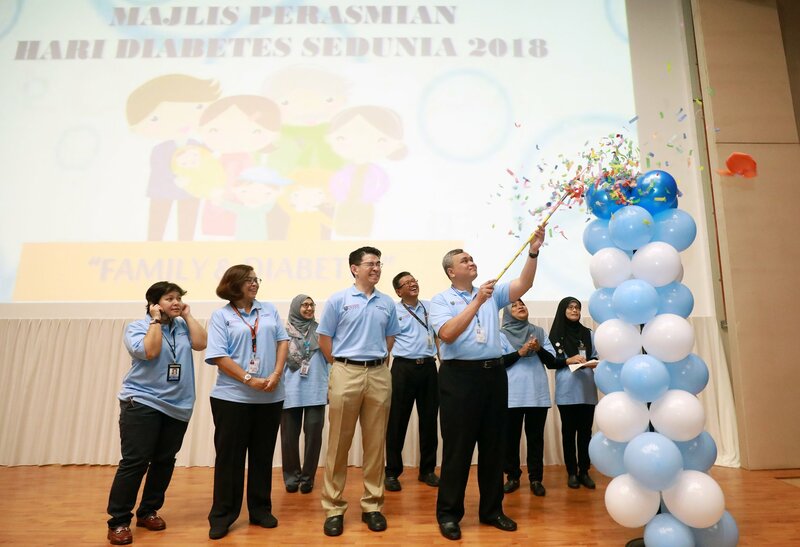 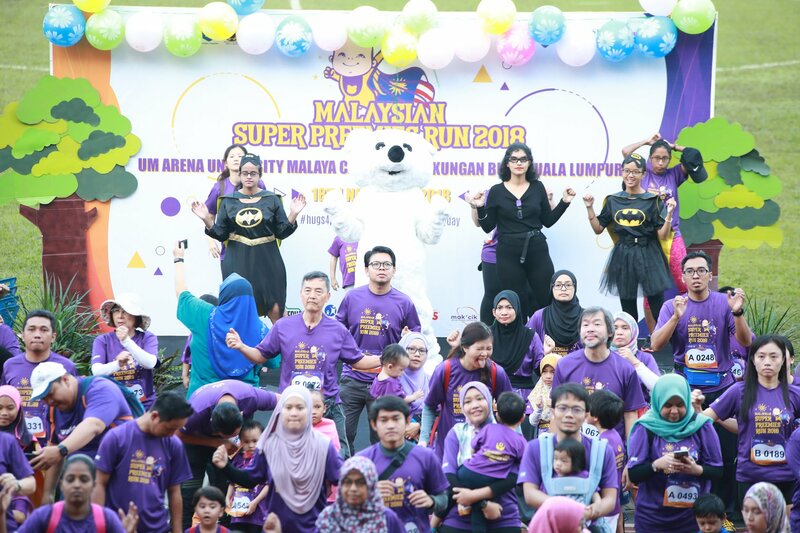 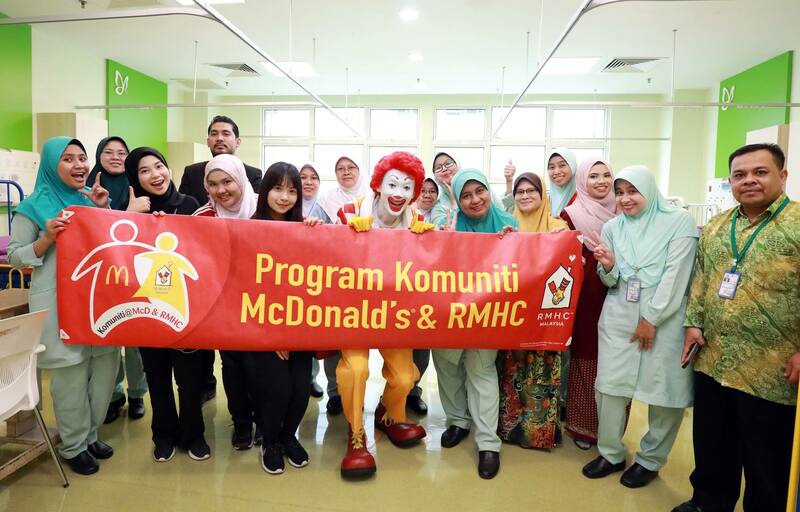 Do you know that Malaysia is the leader in number of overweight people South East Asian, with a alarming prevalence of high blood pressure, high blood cholesterol and diabetes? 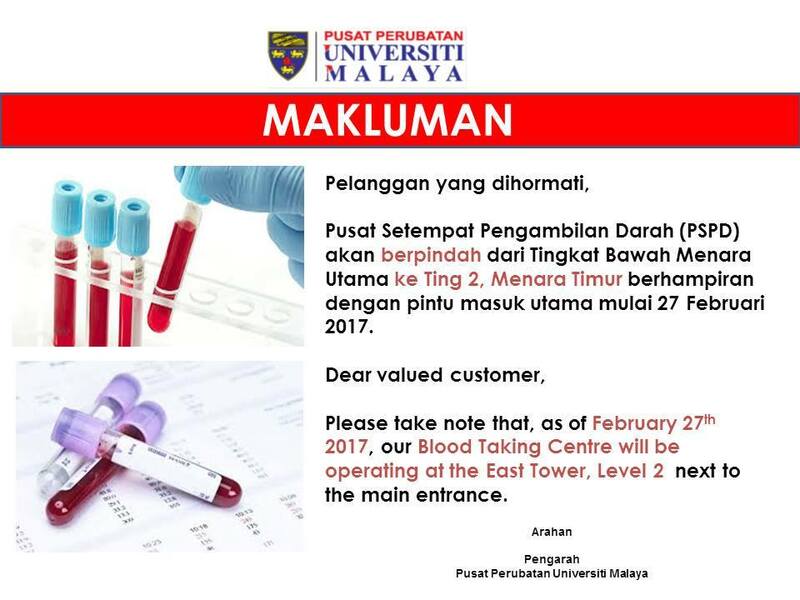 Please take note that our Blood Taking Centre will be moving to the East Tower, Level 2, next to the main entrance as of February 27th, 2017. 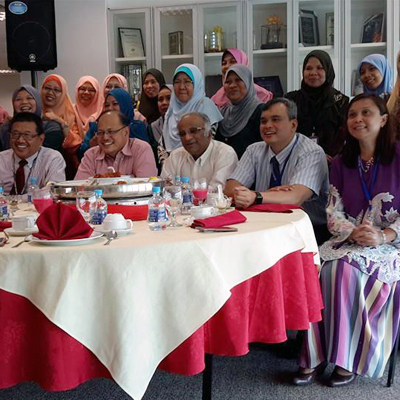 Sharing some light moments of our former Deputy Director (Professional) farewell lunch today. 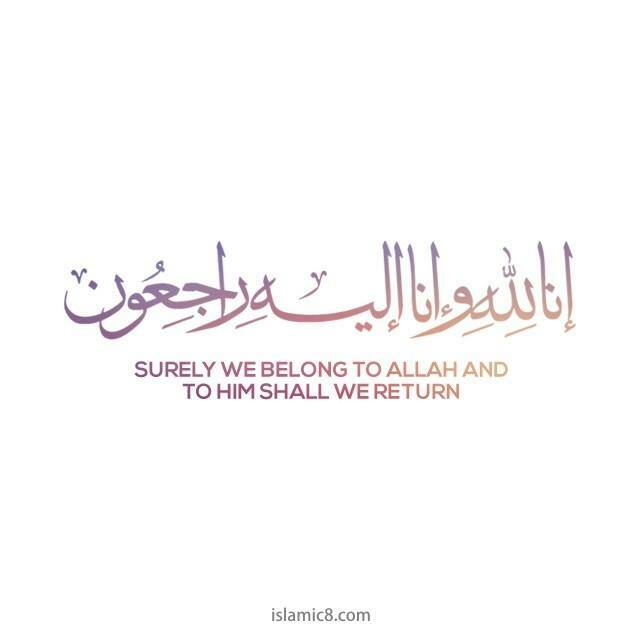 Mrs. Dhillon, you will be dearly missed. 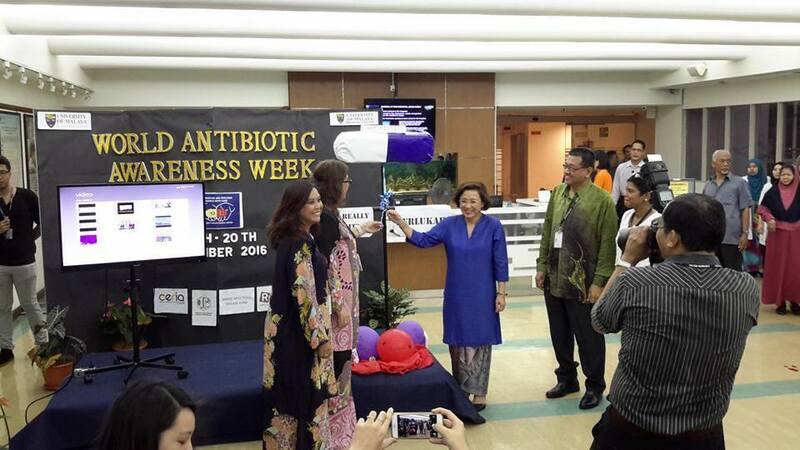 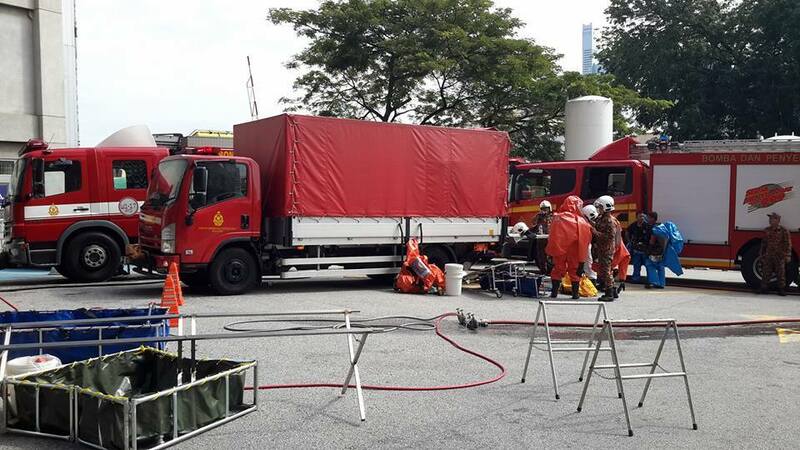 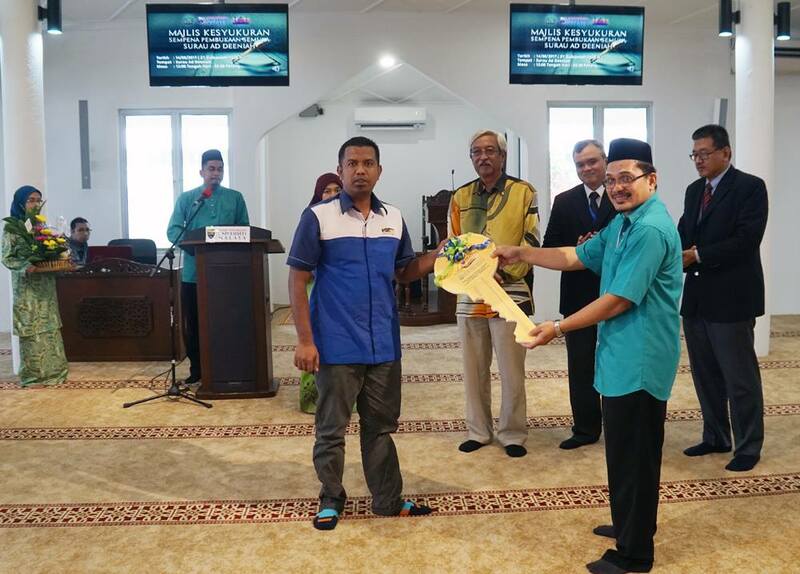 Pengurusan Tertinggi PPUM dibawa mengunjungi Pelabuhan terbesar dan paling sibuk di Malaysia iaitu Pelabuhan Barat. 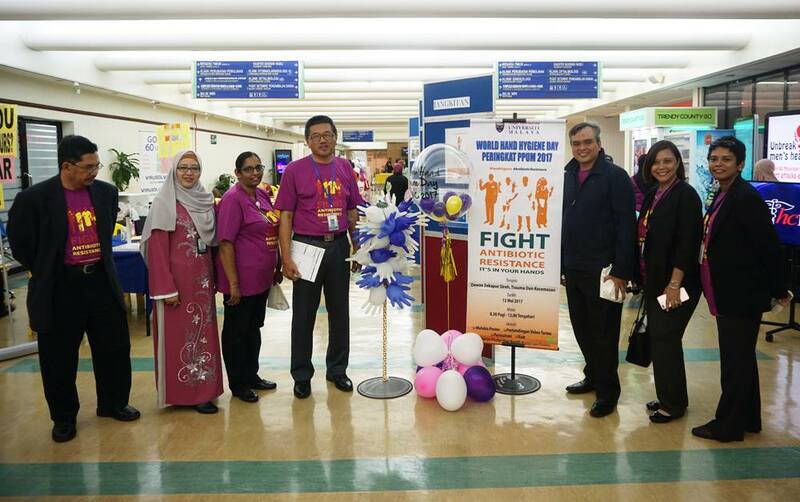 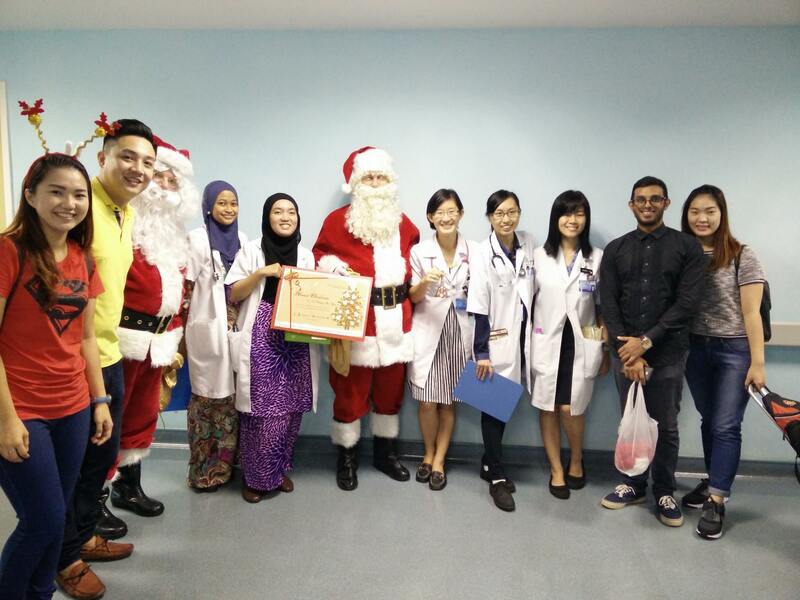 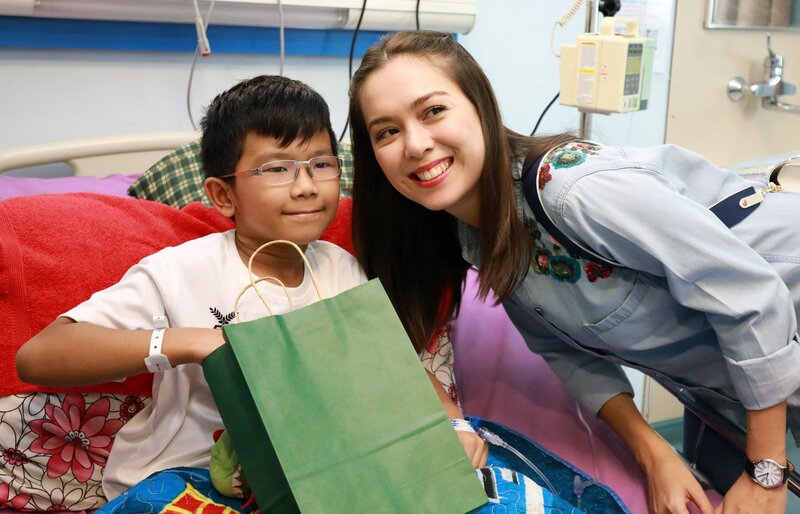 MORE VISITS TO UMMC AS YEAR END APPROACHES! 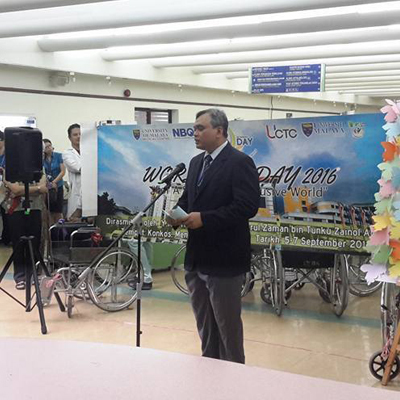 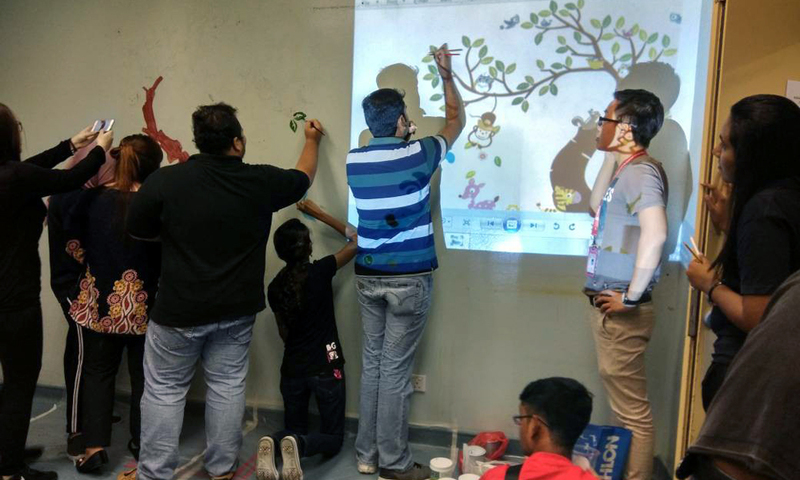 We launched our recycle day celebration this morning with the objective to instill recycle routine among the public. 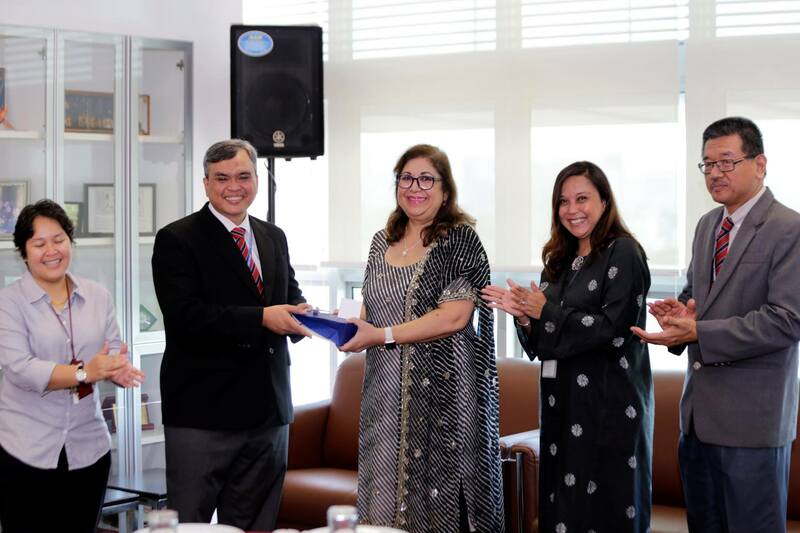 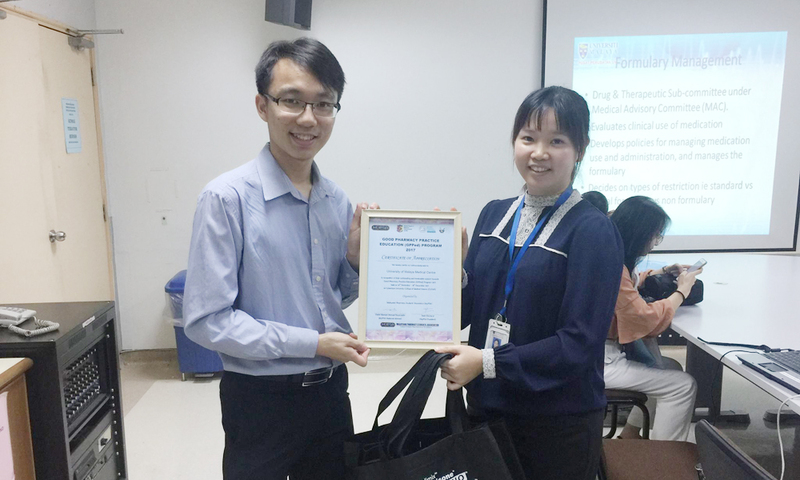 We are proud to announce UMMC-Medical Research Ethics Committee (UMMC-MREC) has recently been awarded recognition by SIDCER-FERCAP at a ceremony in Bangkok on 23 November 2016. 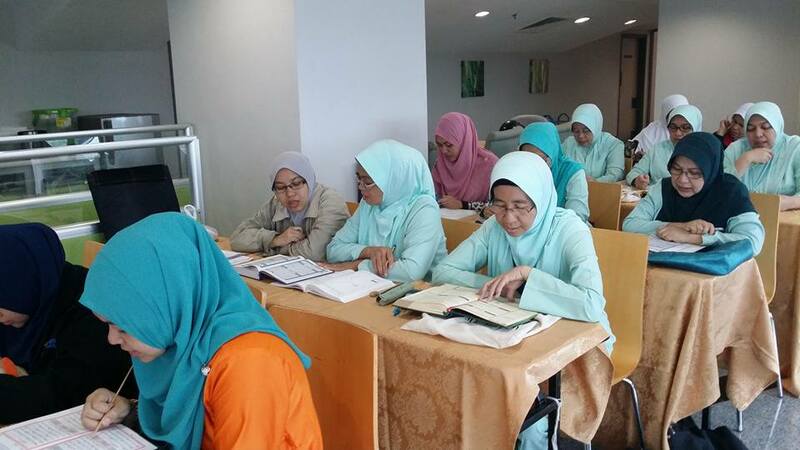 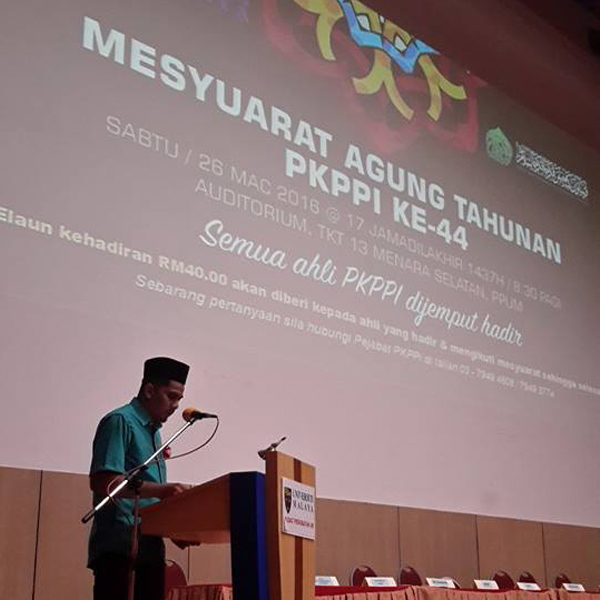 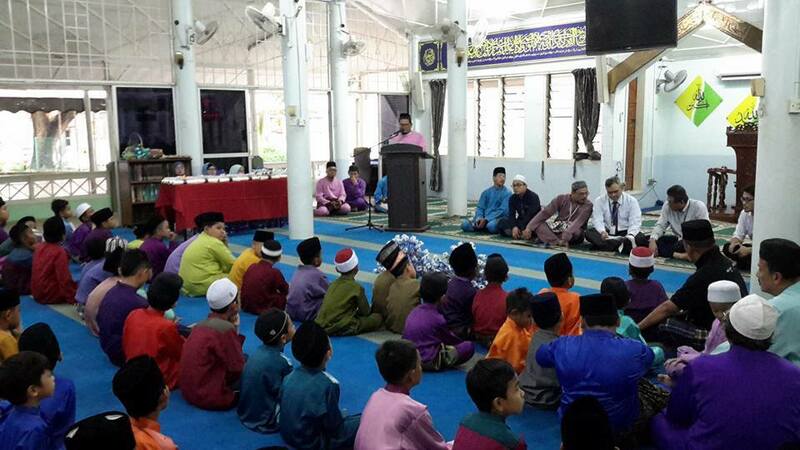 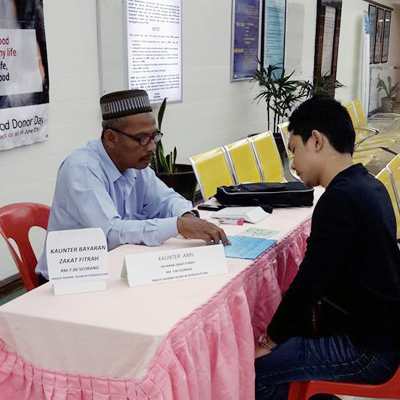 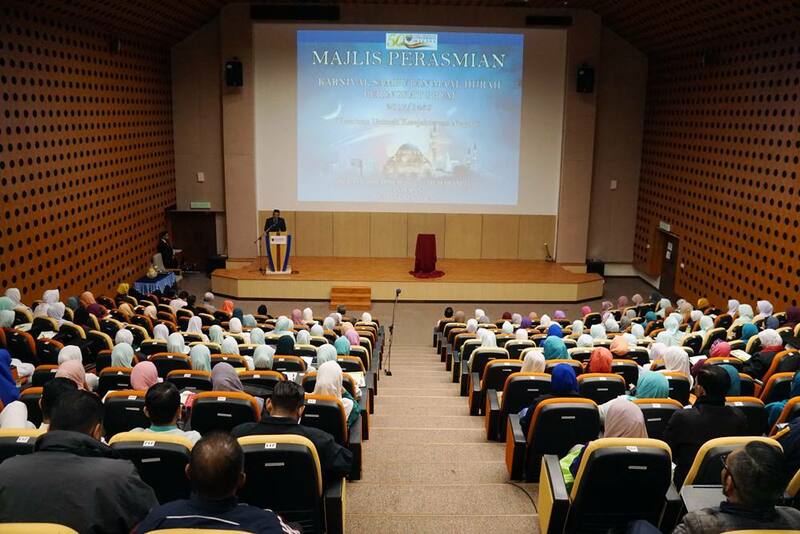 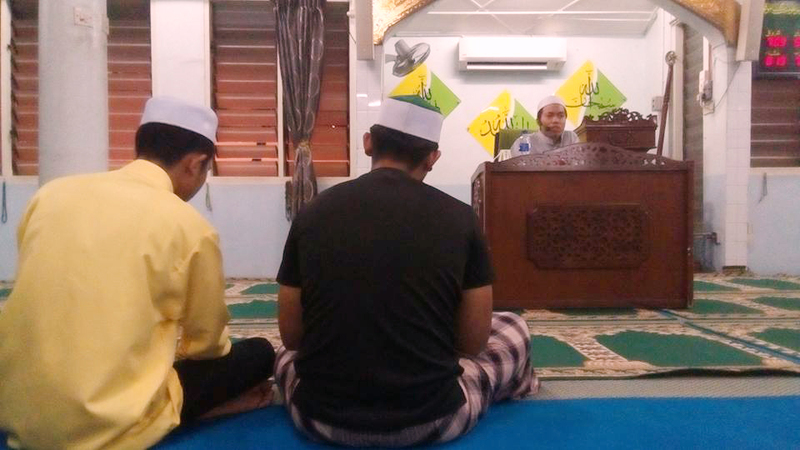 Sesi kuliah berkitab oleh Pegawai Hal Ehwal Islam menjadi rutin mingguan setiap pagi Jumaat bersama para Pegawai Kejururawatan. 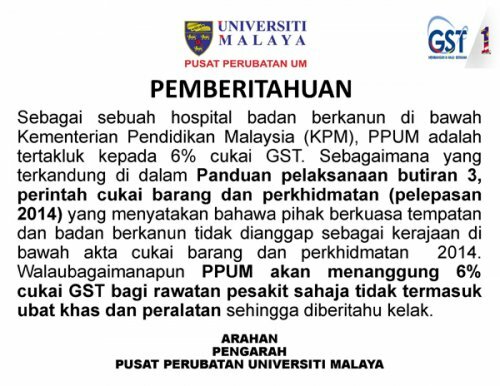 Dear valued customers, Please be informed, starting from November 7th, 2016, Surgery Clinic will be operating in the Old Exam Ward, Level 1, Main Tower. 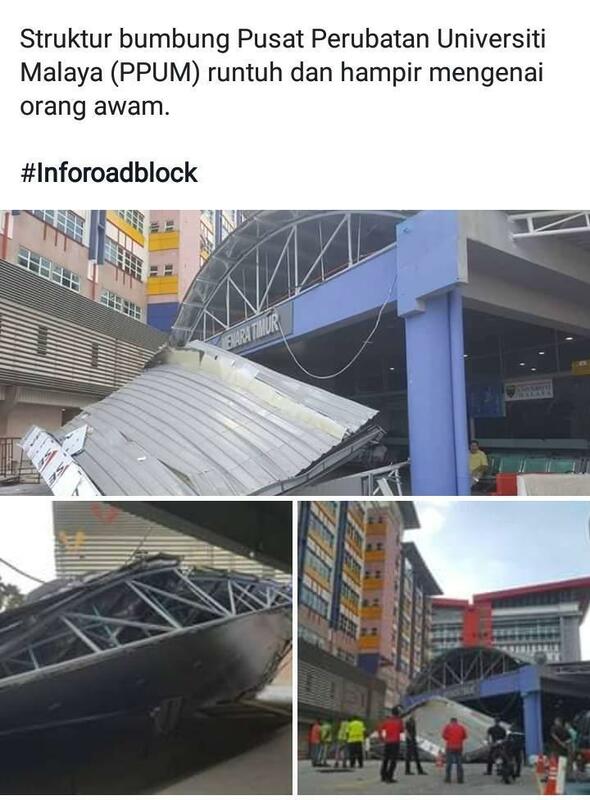 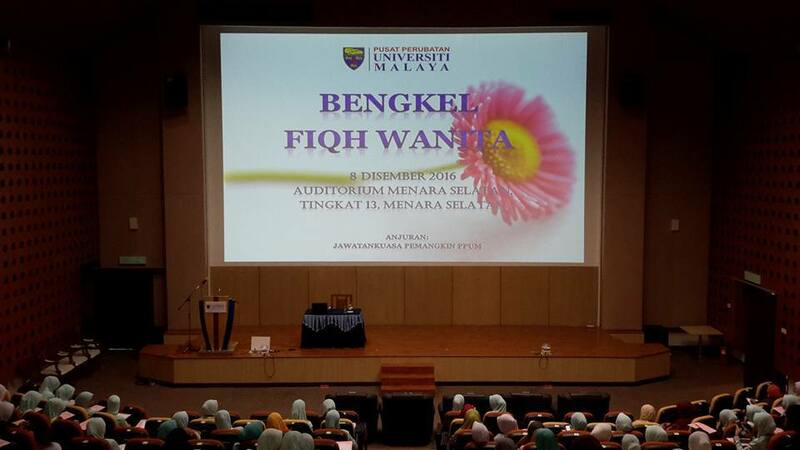 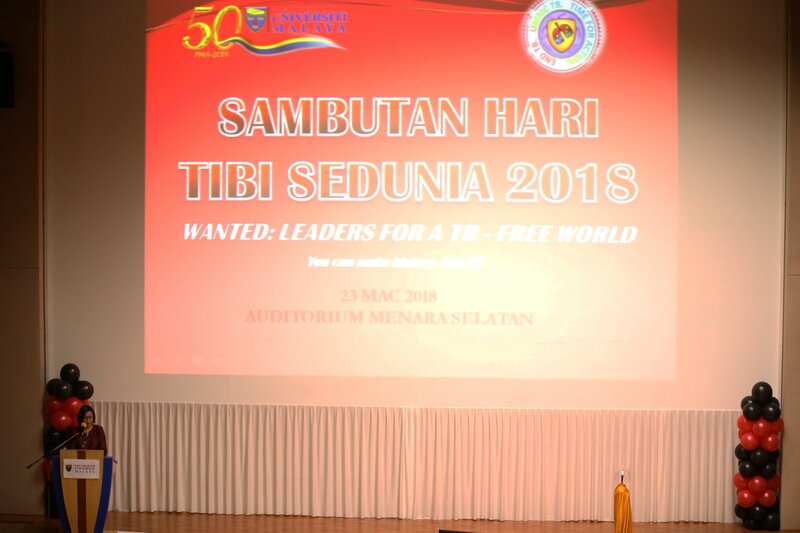 Sedang berlangsung di Dewan Tunku Canselor, Universiti Malaya. 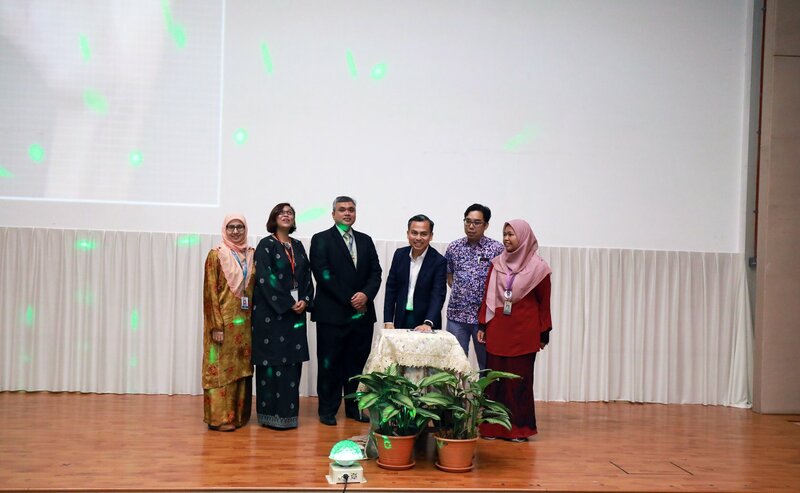 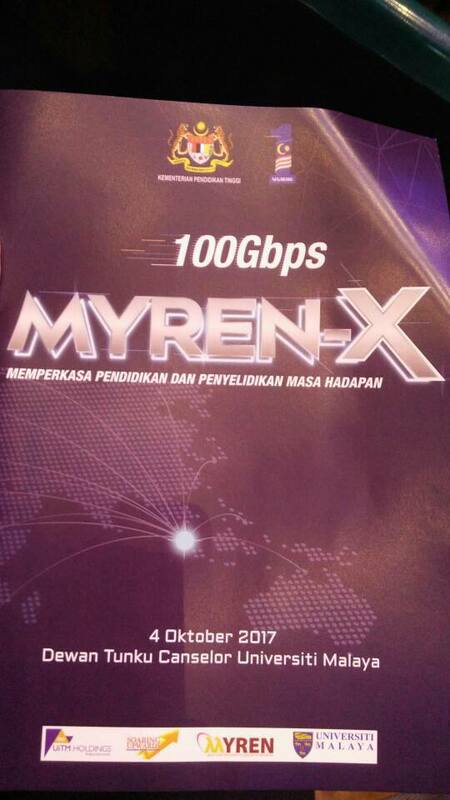 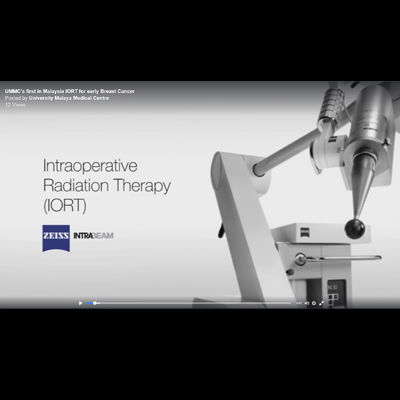 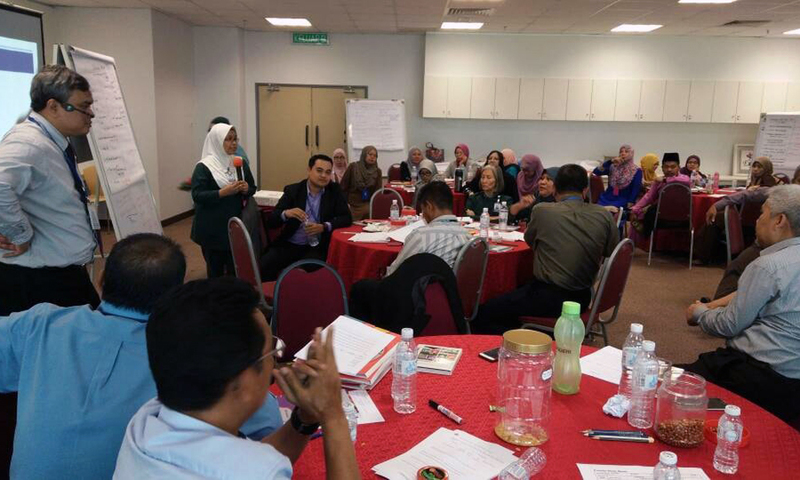 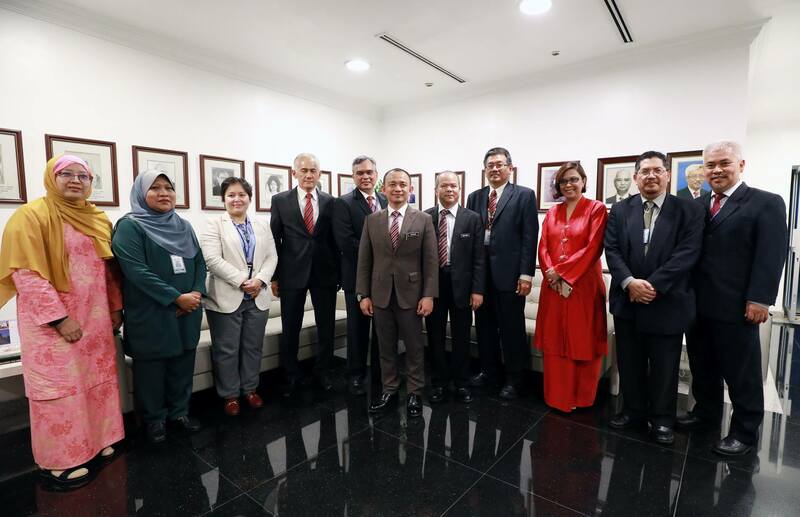 PELANCARAN IORT PERTAMA DI MALAYSIA UNTUK KANSER PAYUDARA TAHAP AWAL MENGGUNAKAN SISTEM INTRABEAM. 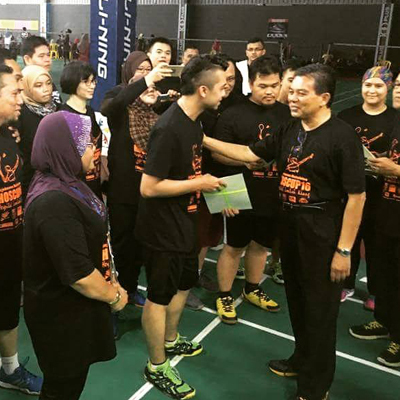 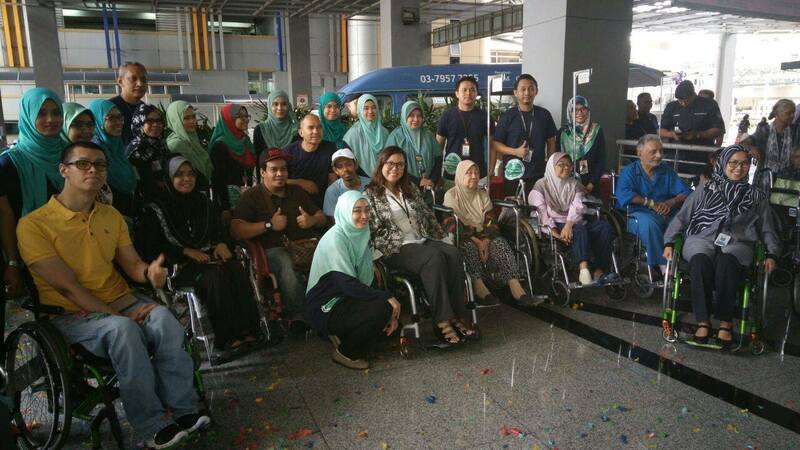 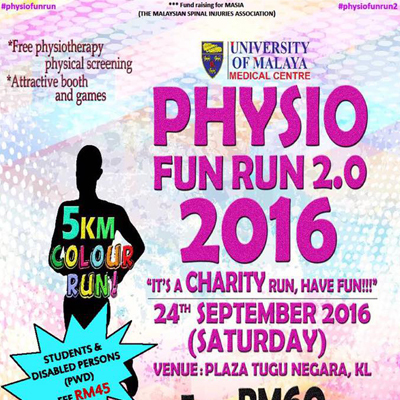 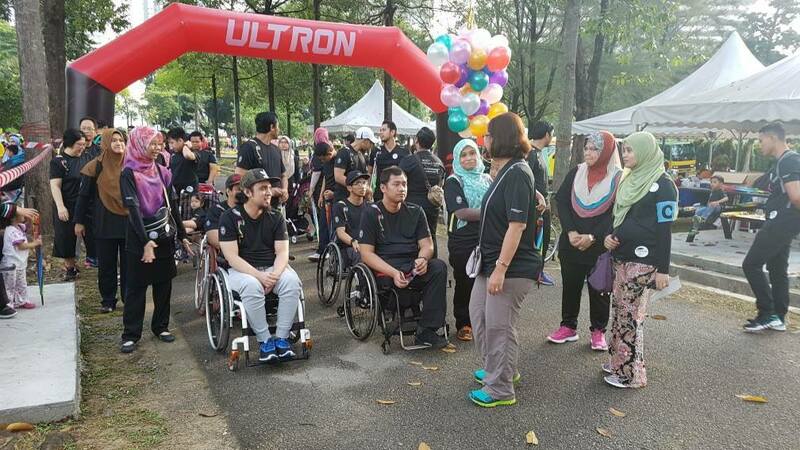 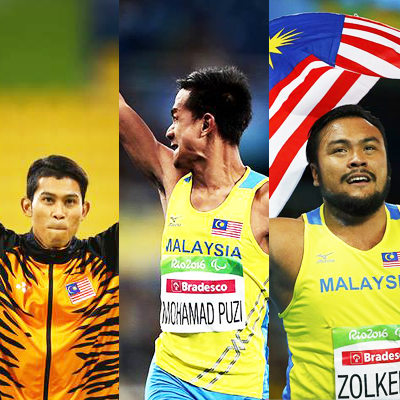 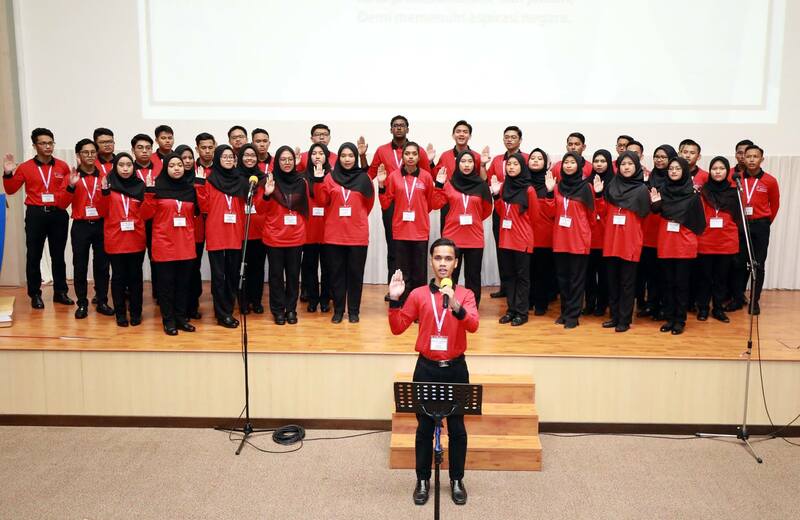 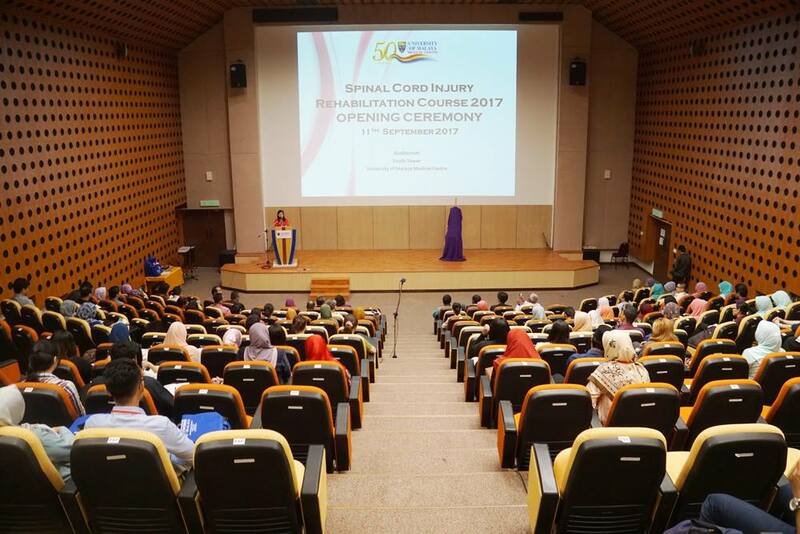 Seluruh warga Pusat Perubatan Universiti Malaya turut berbangga dengan pencapaian hebat wira-wira negara di Temasya Sukan Paralimpik Rio 2016! 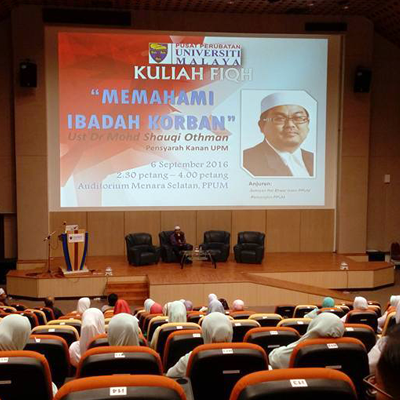 YDH Al-Fadhil Ustaz Dr Mohd Shauqi Othman menyampaikan ceramah sempena Aidiladha yang bertajuk "Memahami Ibadah Qurban" di Auditorium Menara Selatan. 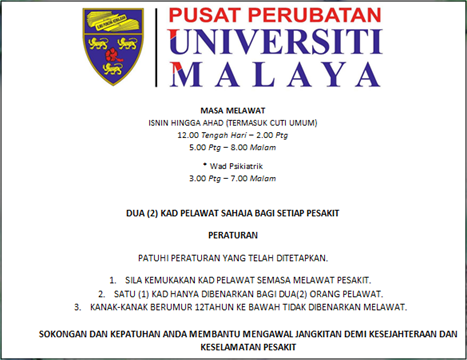 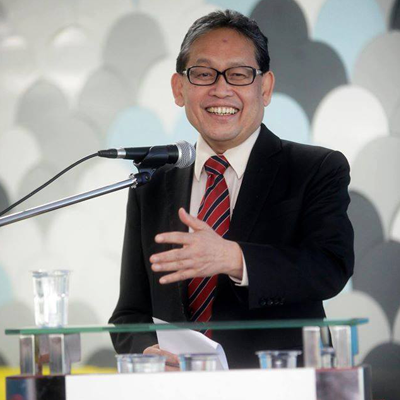 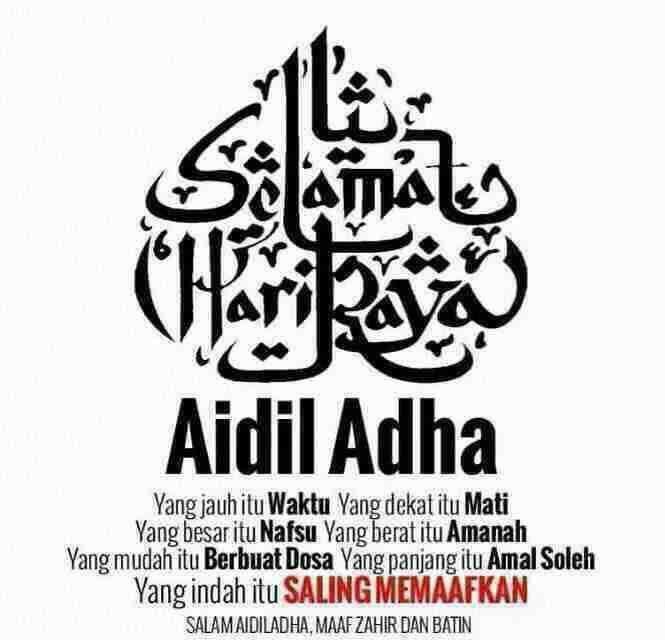 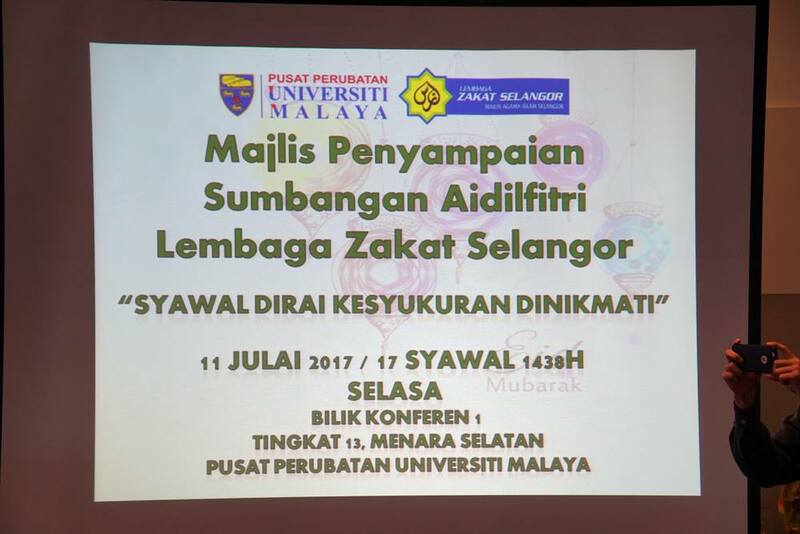 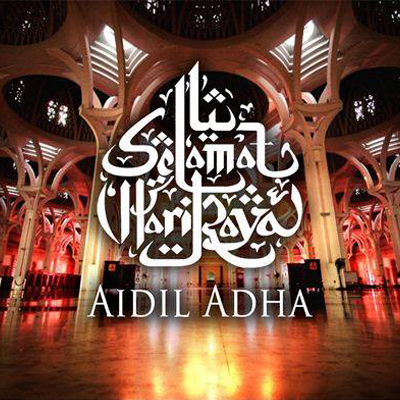 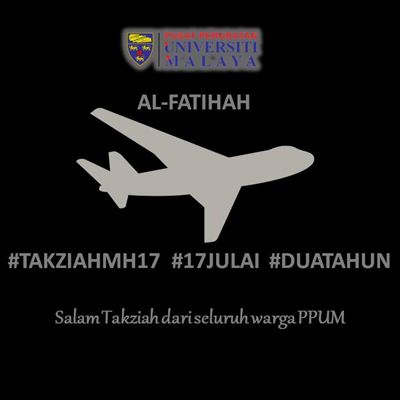 Seluruh warga Pusat Perubatan Universiti Malaya ingin mengucapkan Selamat Hari Raya Aidiladha kepada semua umat Islam. 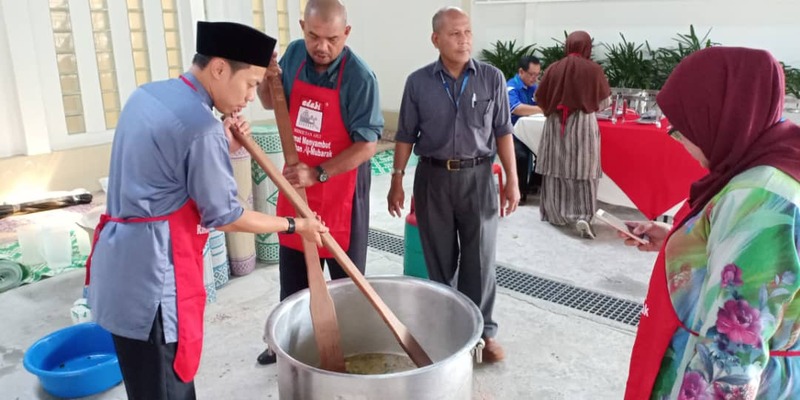 Selamat menunaikan ibadah Haji dan Qurban. 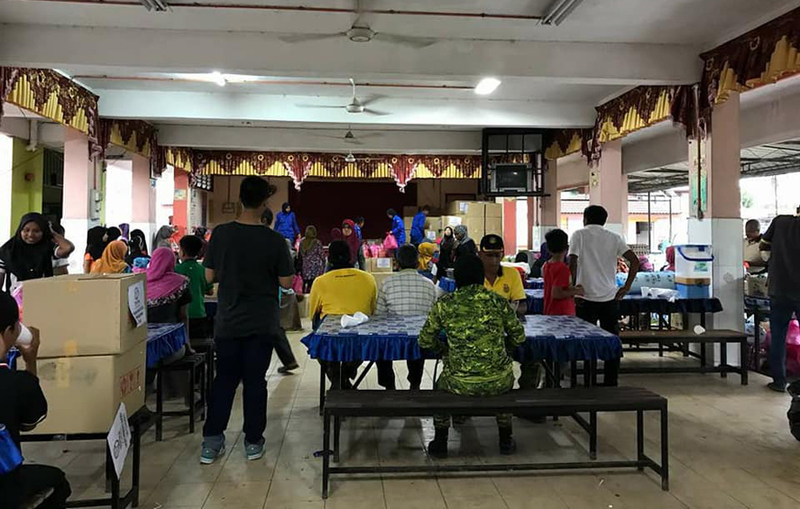 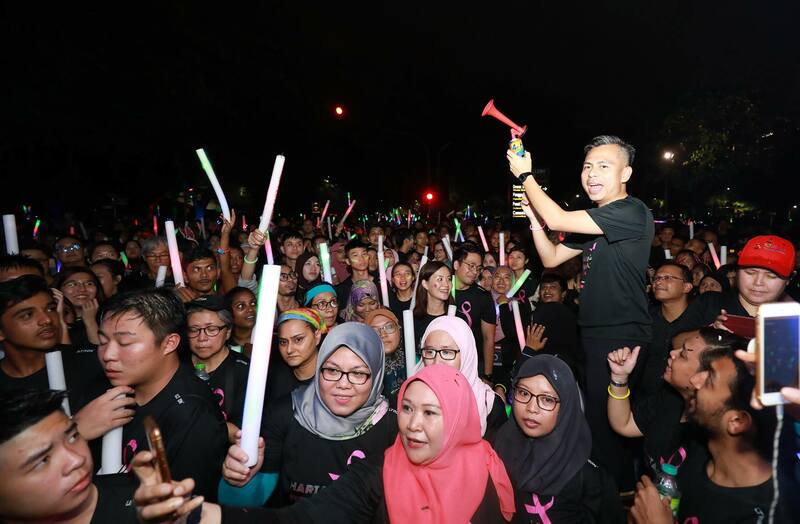 Kepada anda yang berada di sekitar Lembah Klang, jom sertai kami pada 24 September ini! 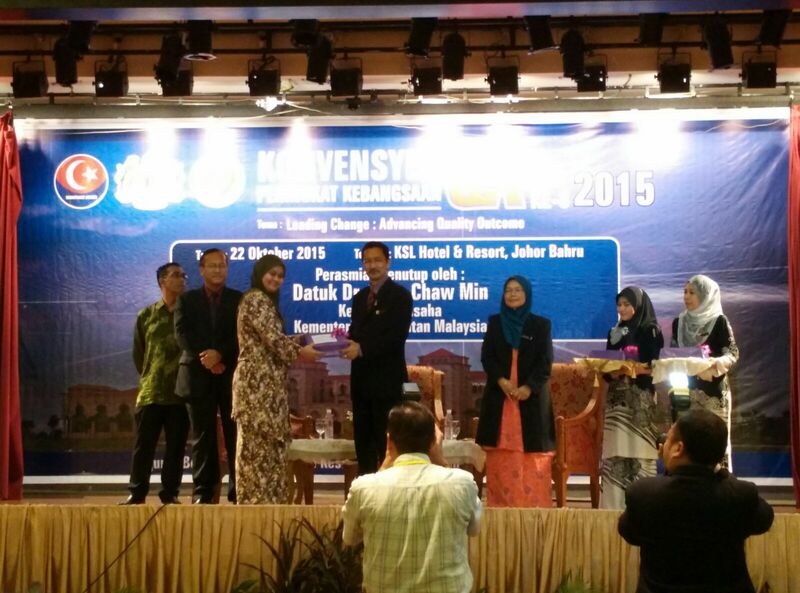 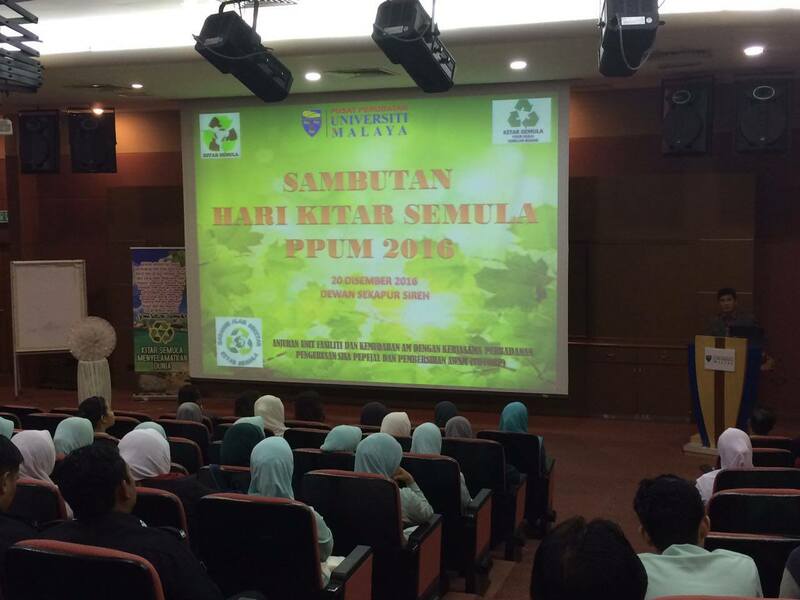 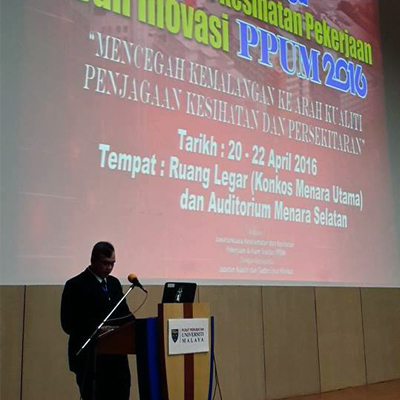 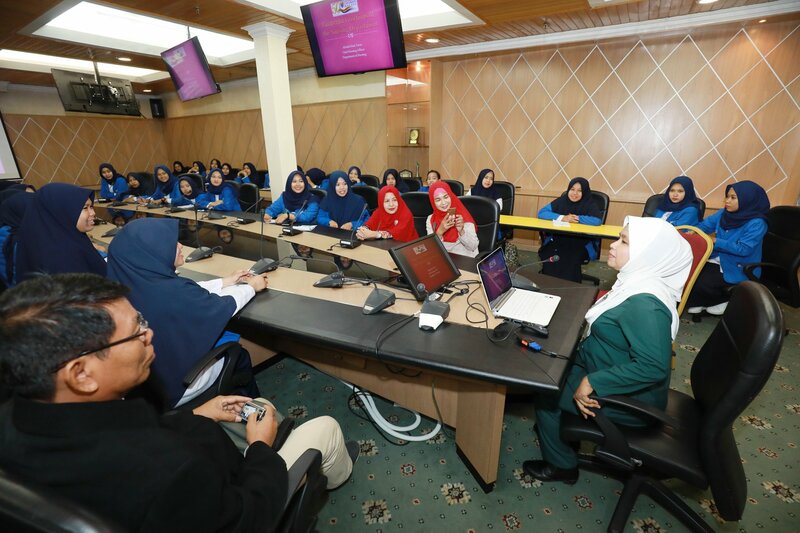 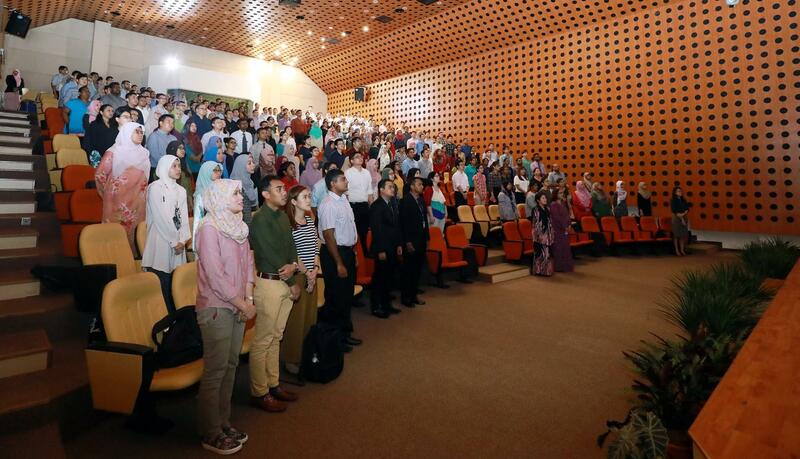 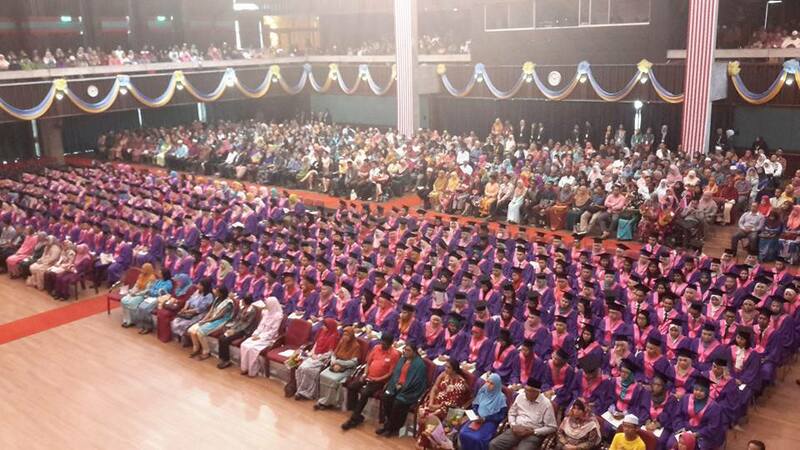 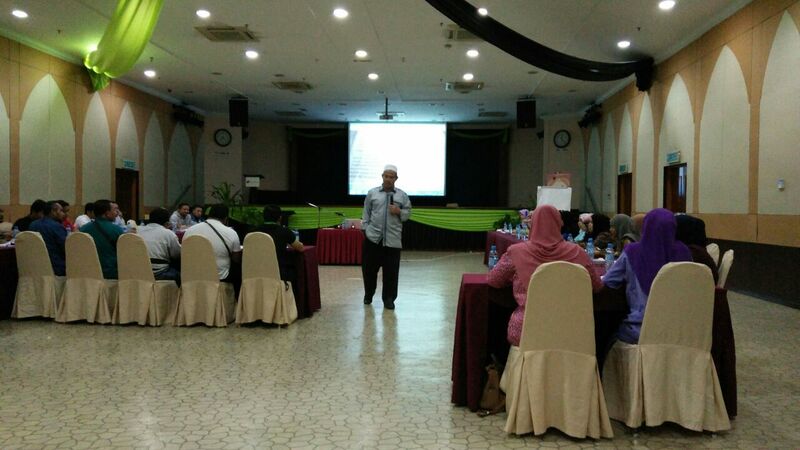 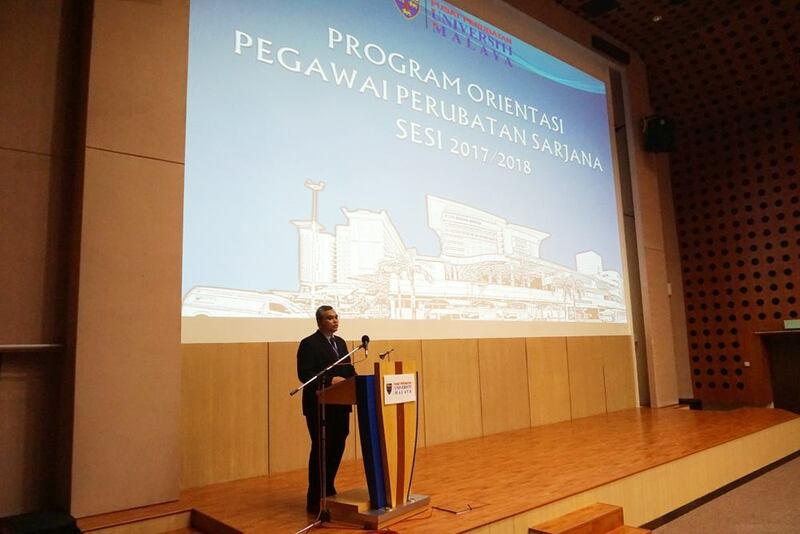 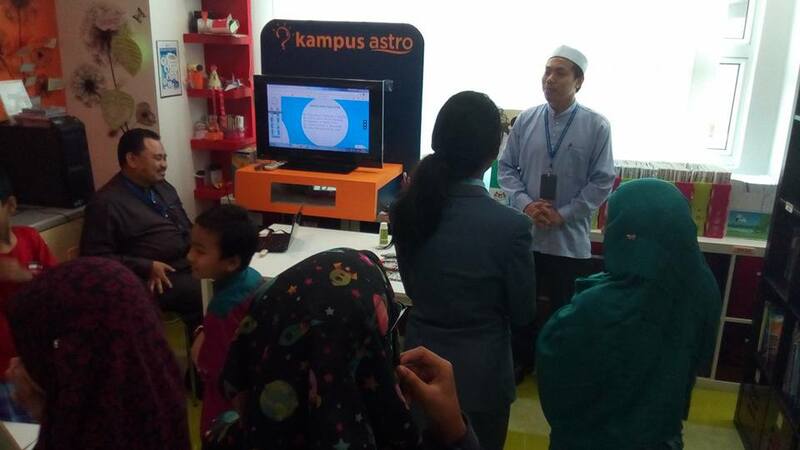 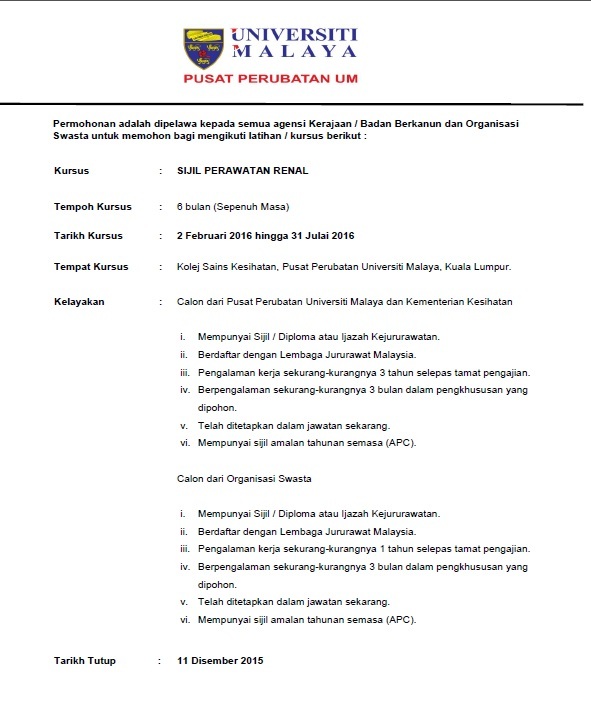 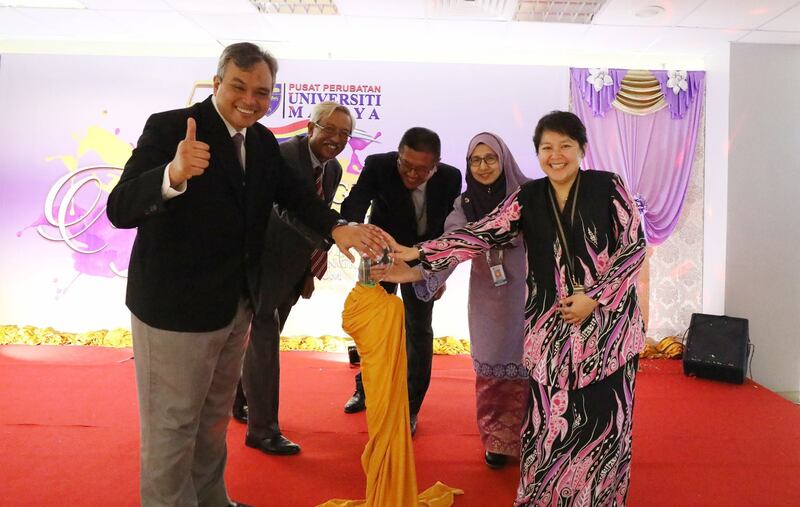 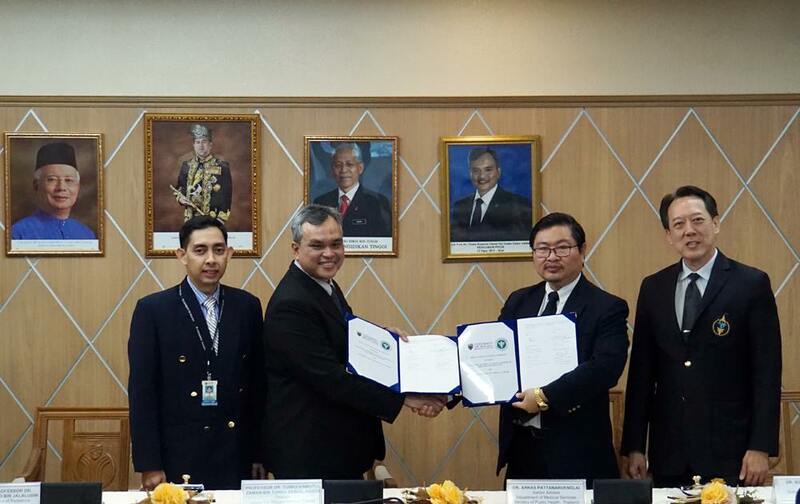 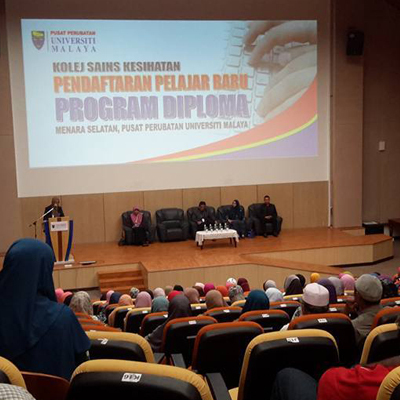 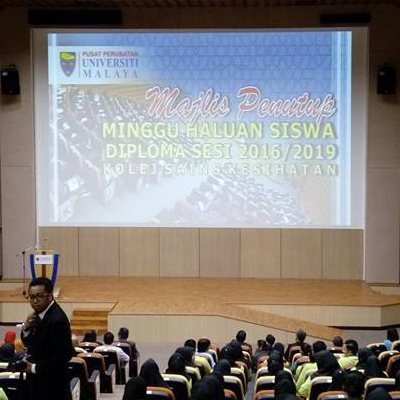 Delegasi Pusat Pakar Perubatan Universiti Teknologi Mara (PPPUiTM) hadir sempena lawatan penanda arasan ke PPUM. 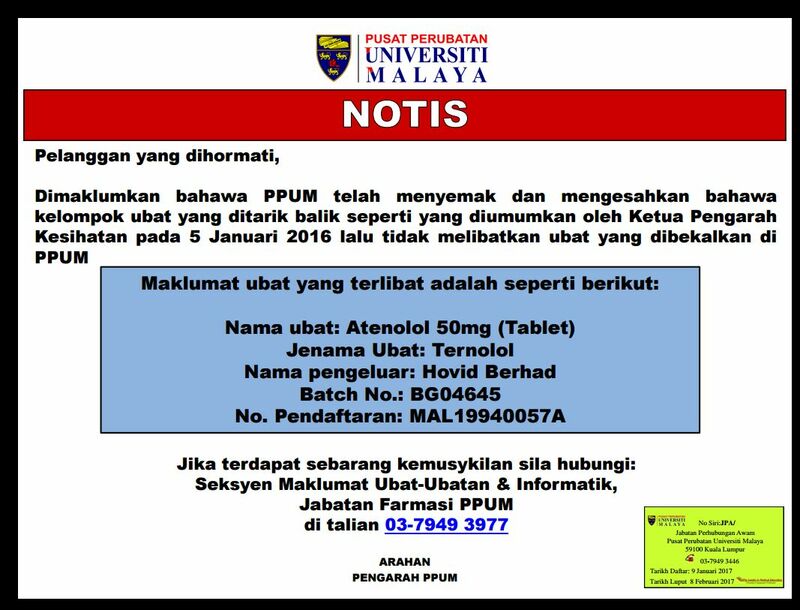 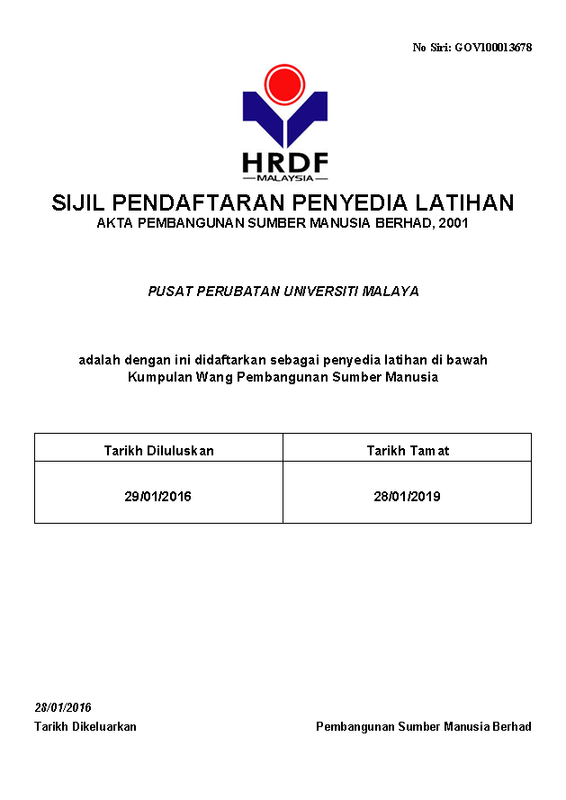 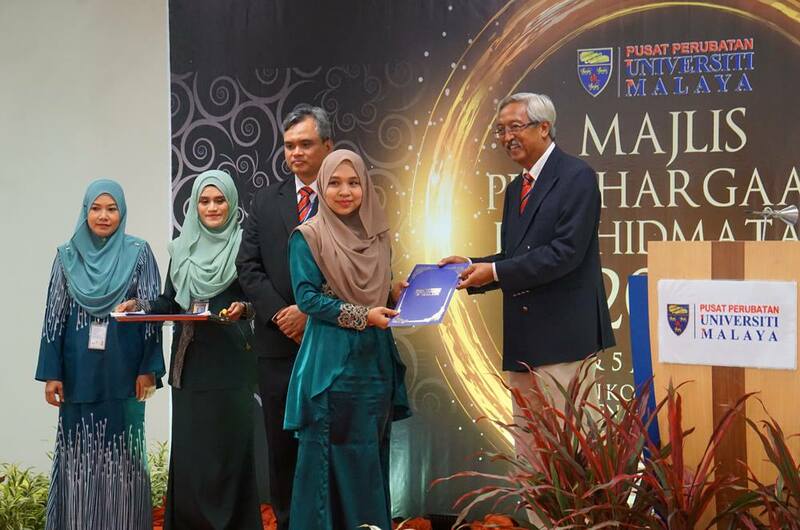 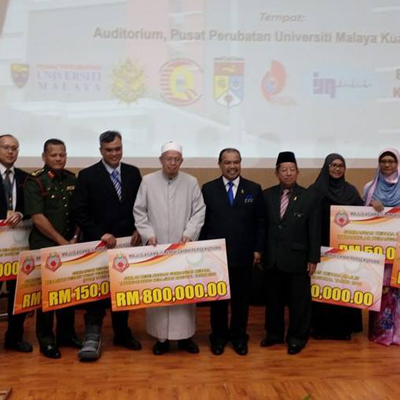 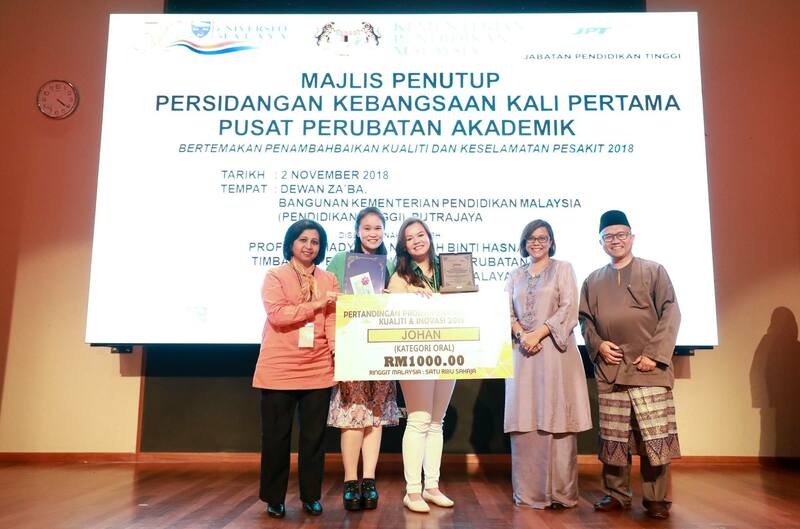 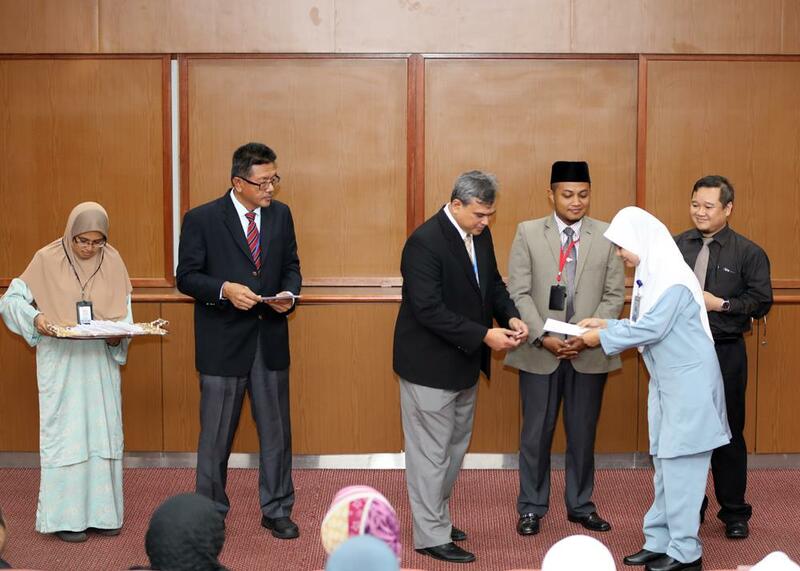 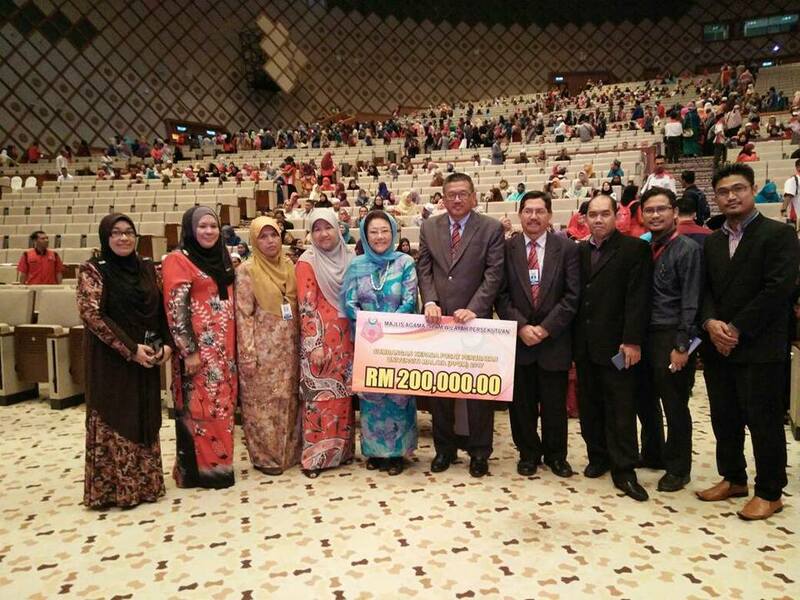 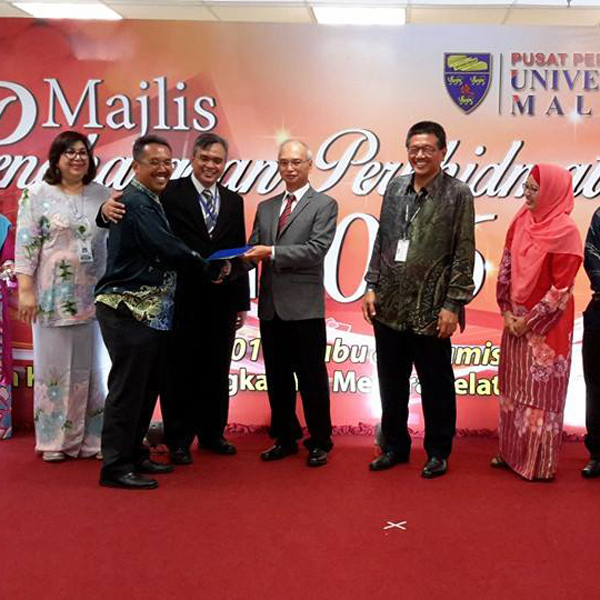 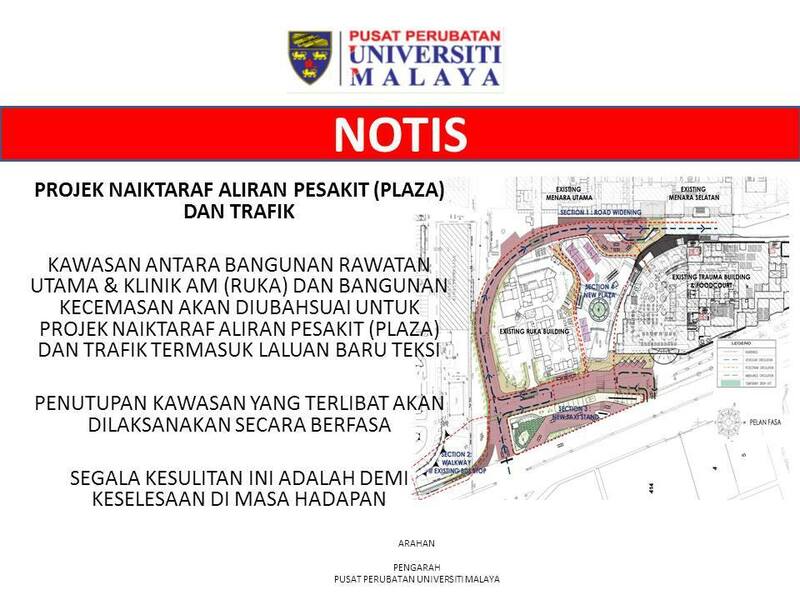 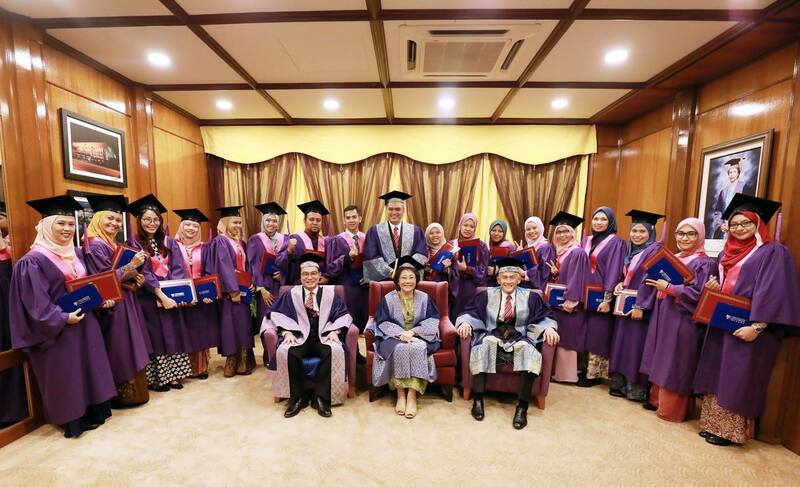 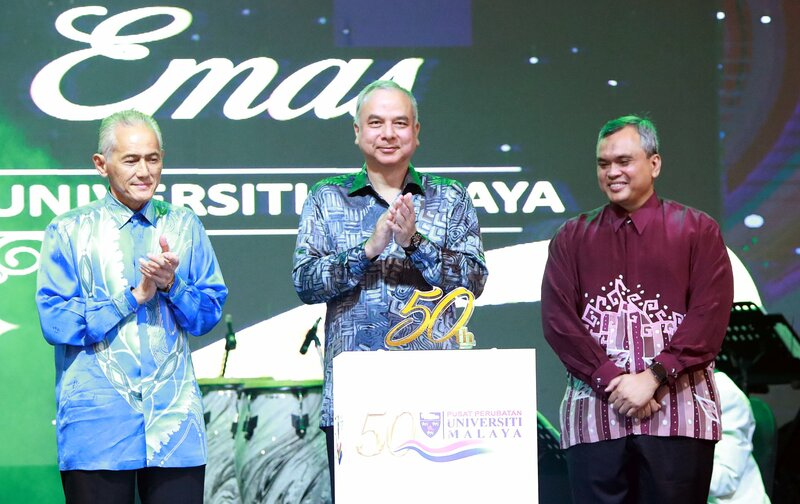 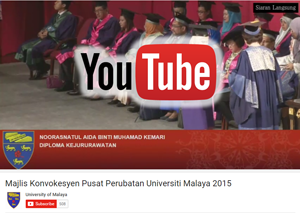 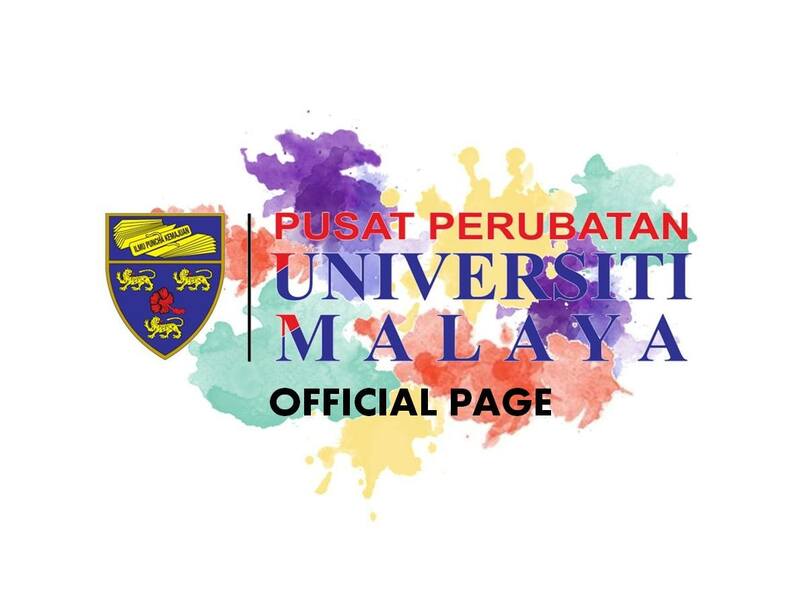 Ucapan tahniah buat Tan Sri Naib Canselor Universiti Malaya dari seluruh warga PPUM. 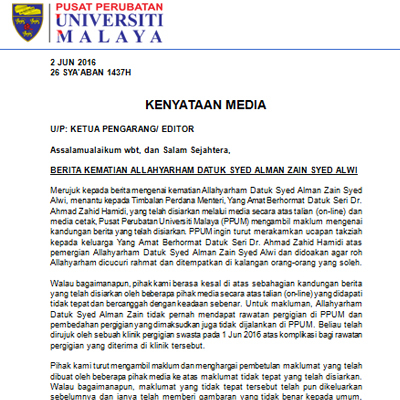 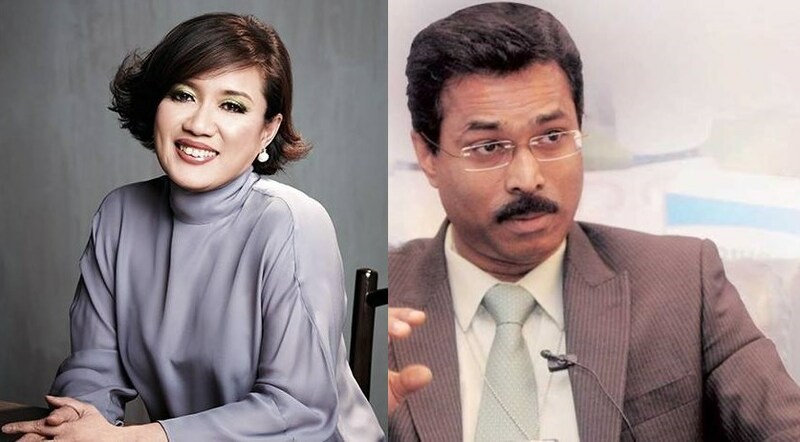 Seluruh Warga PPUM mengucapkan Salam Takziah kepada Allahyarham Datuk Syed Alman Zain Syed Alwi, menantu kepada YAB Datuk Seri Ahmad Zahid Hamidi, Timbalan Perdana Menteri Malaysia. 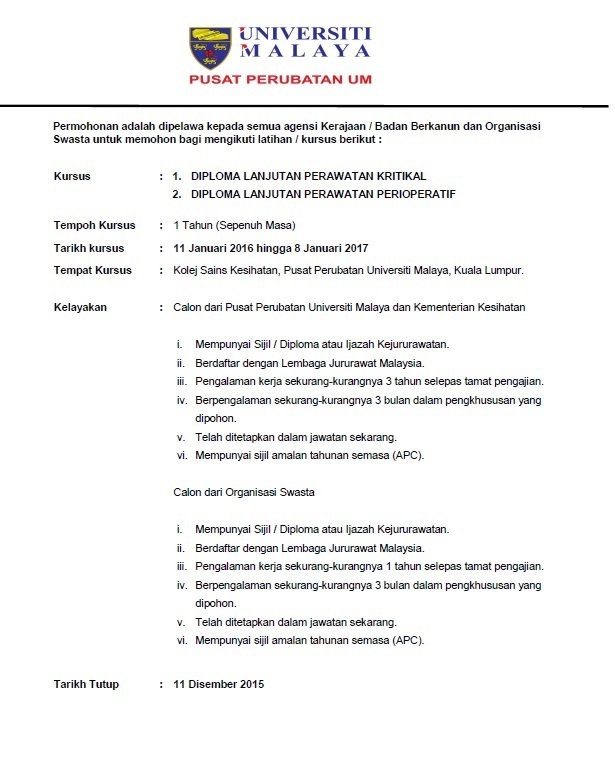 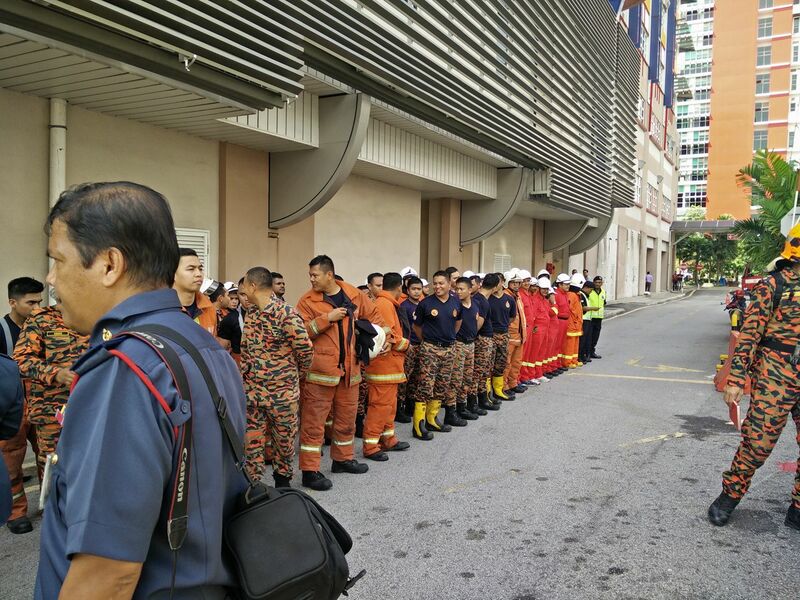 Pengurusan Tertinggi PPUM mengucapkan Selamat Hari Pekerja 2016 kepada seluruh warga PPUM! 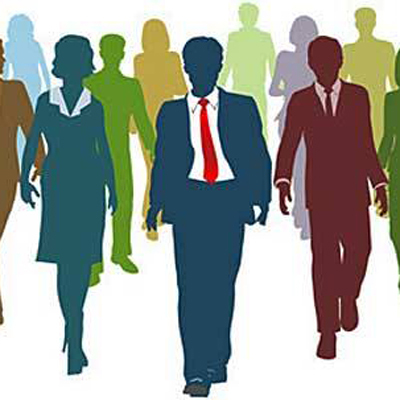 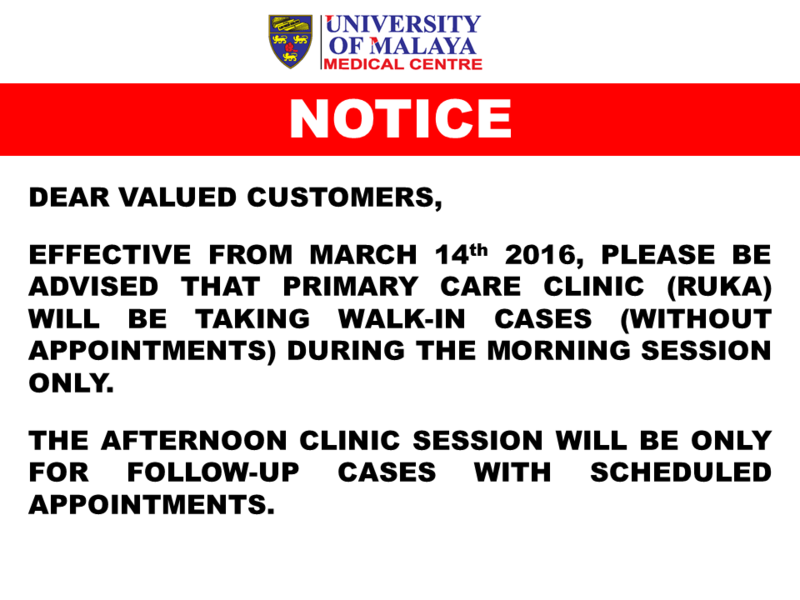 EFFECTIVE FROM MARCH 14th 2016, PLEASE BE ADVISED THAT PRIMARY CARE CLINIC (RUKA) WILL BE TAKING WALK-IN CASES (WITHOUT APPOINTMENTS) DURING THE MORNING SESSION ONLY. 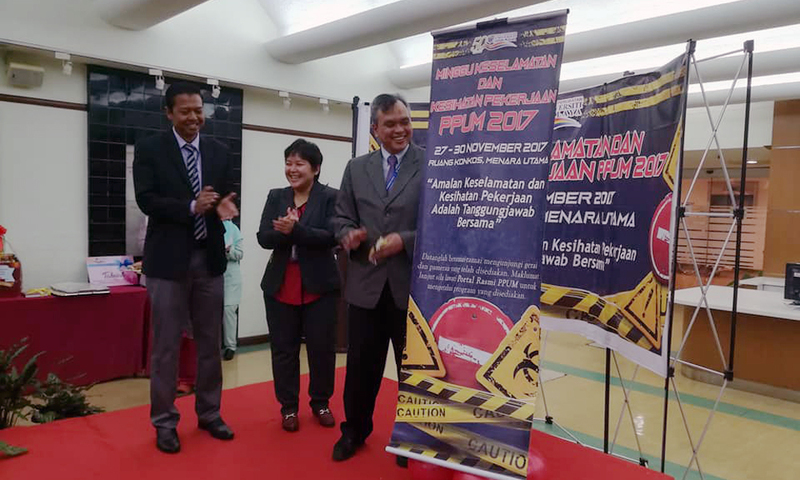 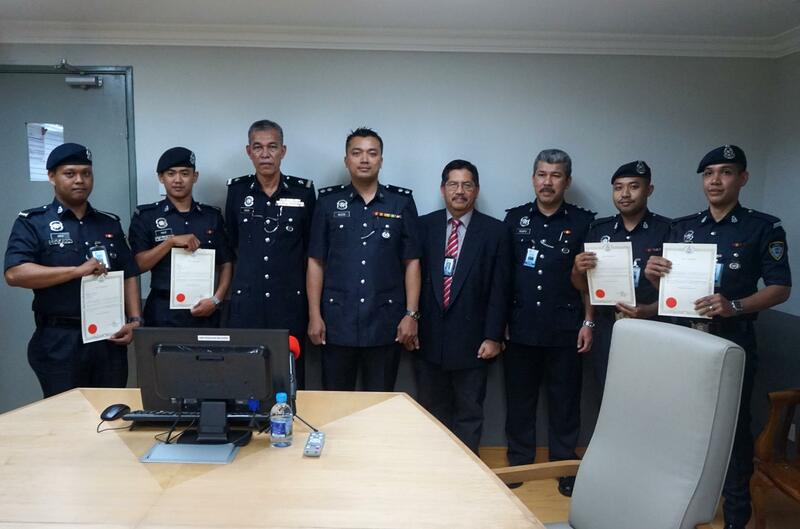 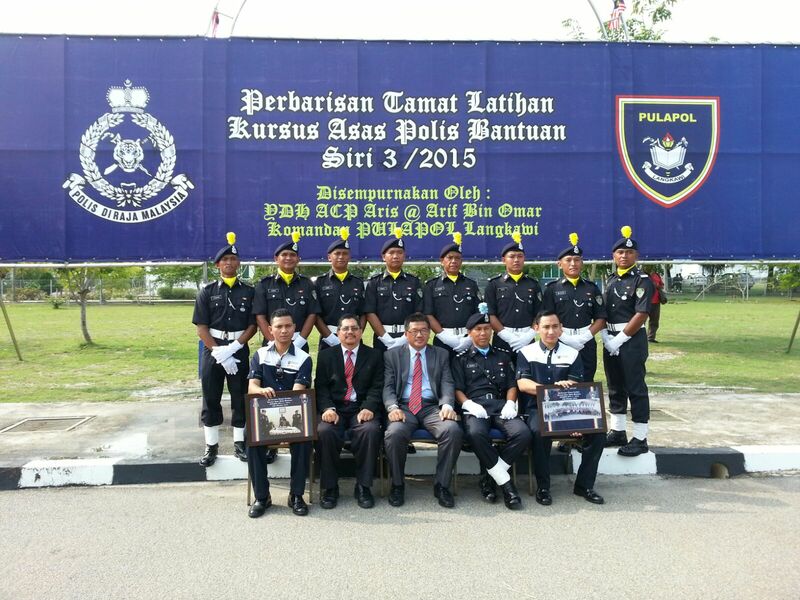 PPUM melalui JABATAN PEMBANGUNAN PERNIAGAAN secara rasmi pada 29/1/2016 telah berdaftar dengan HRDF @ Pembangunan Sumber Manusia Berhad (PSMB) sebagai TRAINING PROVIDER. 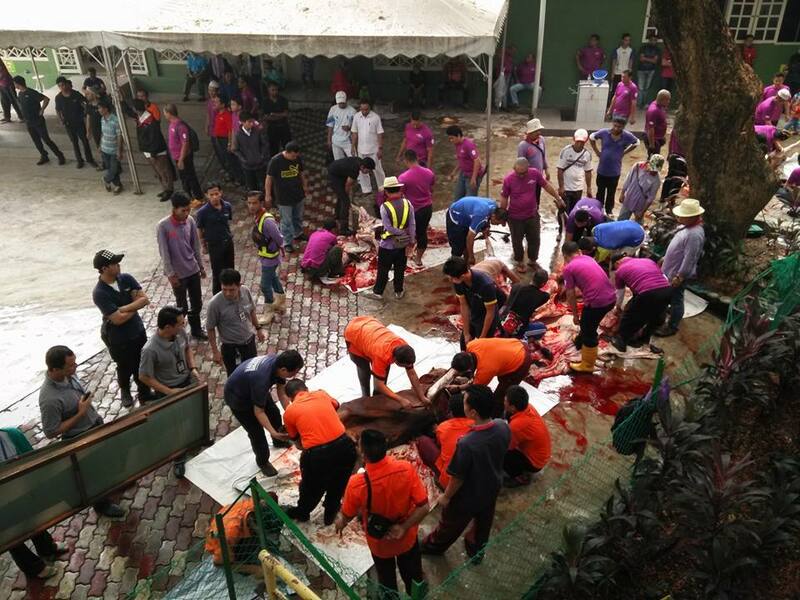 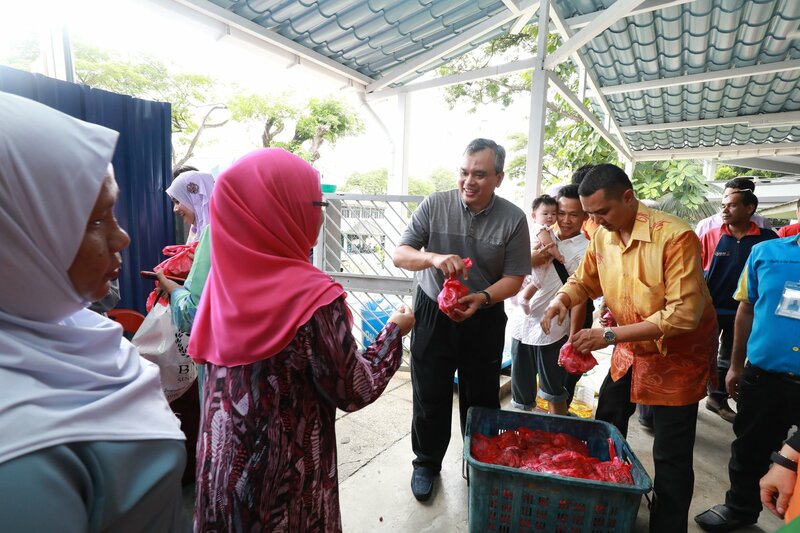 26 SEPTEMBER 2015 SEKITAR IBADAH QURBAN DAN AQIQAH YANG BERLANGSUNG DI SURAU ADDEENIAH PPUM SEMPENA AIDILADHA 1436H. 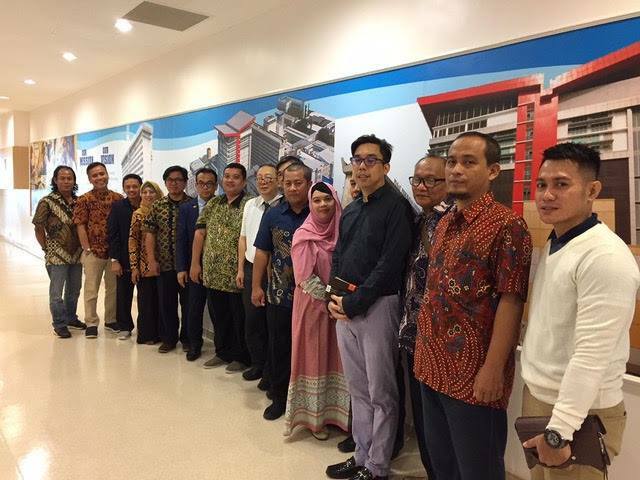 UMMC'S DEEPEST CONDOLENCES GO OUT TO THE FAMILIES AND RELATIVES OF THE PILGRIMS WHO DIED IN THE MINA INCIDENT EARLIER TODAY.